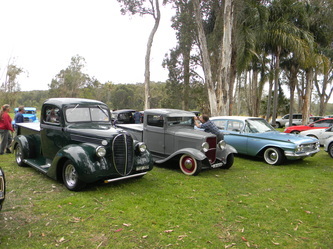 The following events are featured on this page. 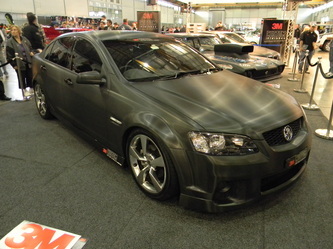 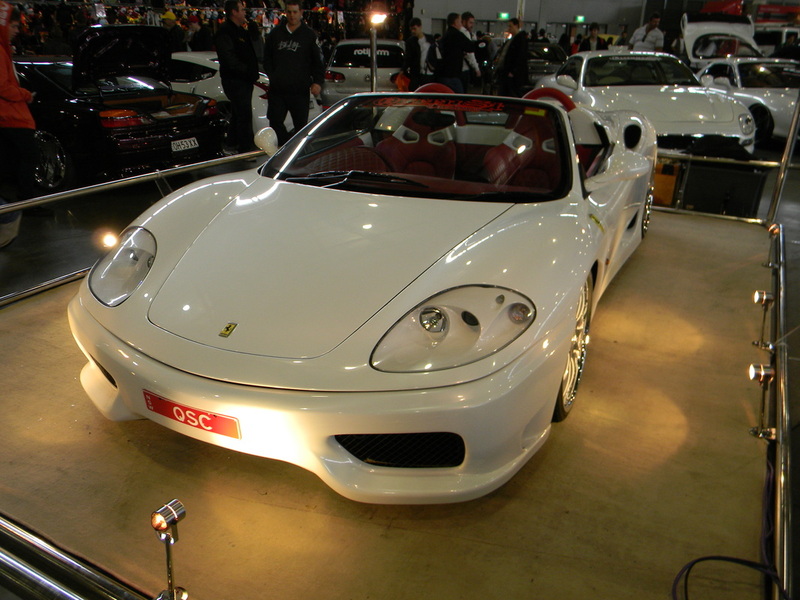 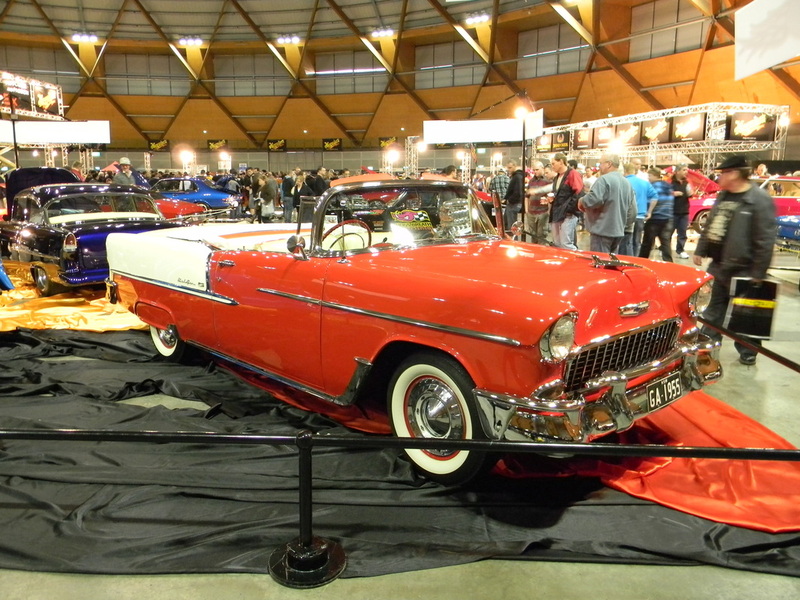 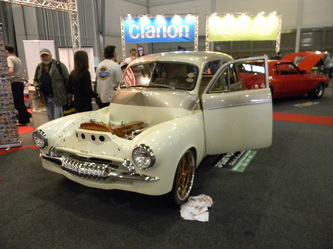 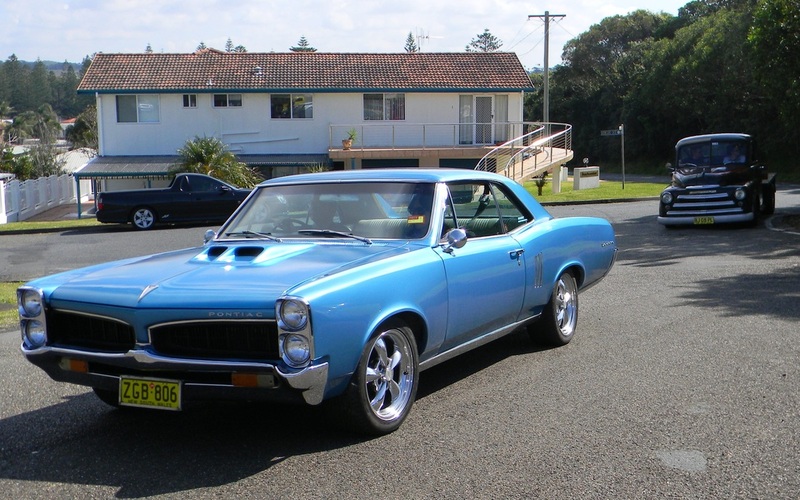 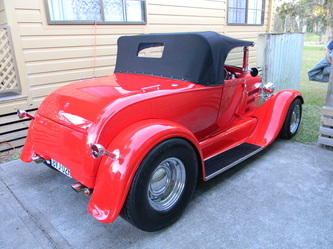 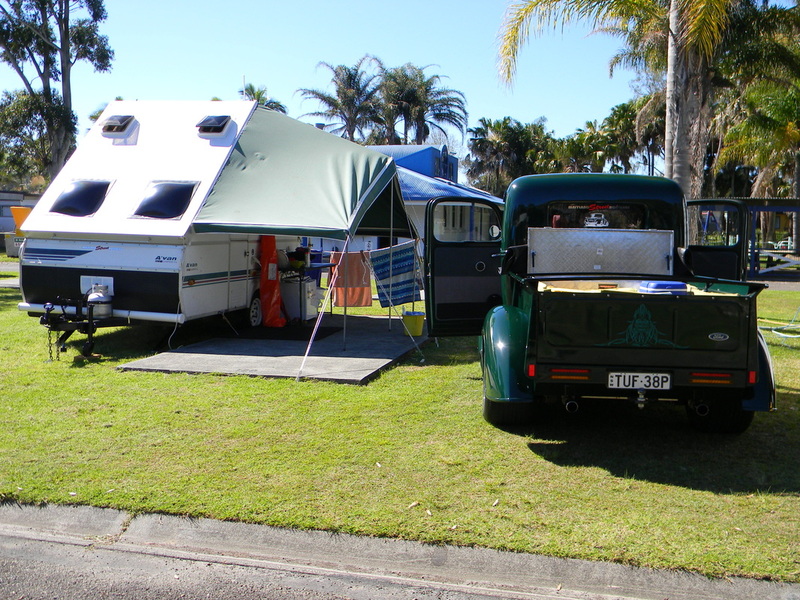 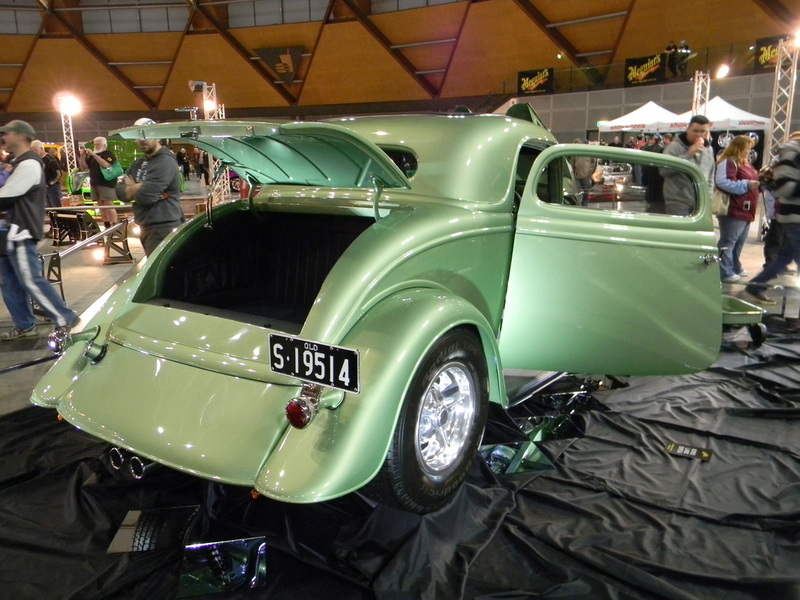 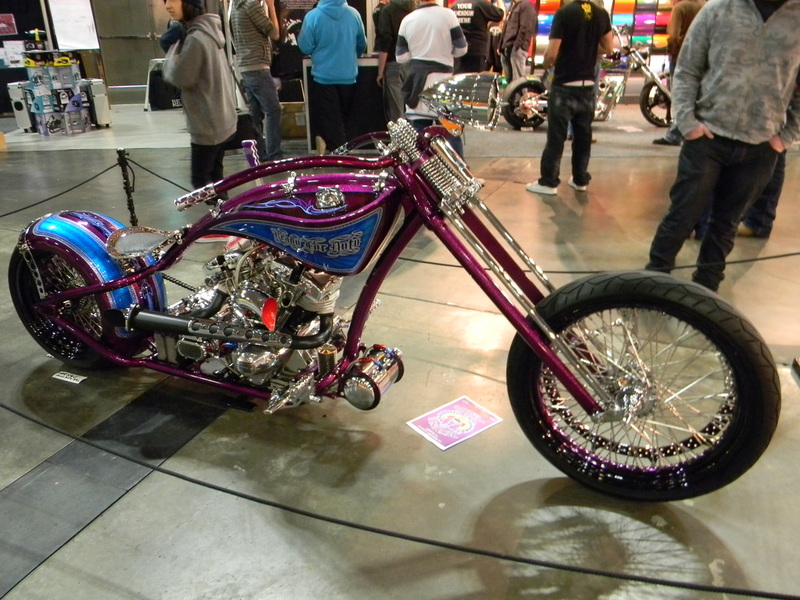 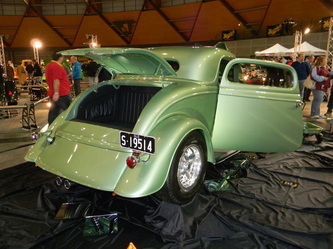 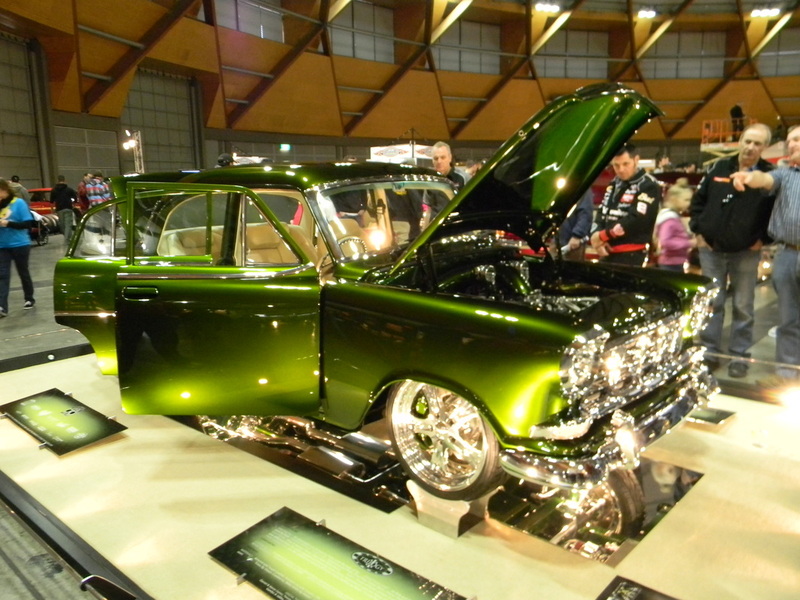 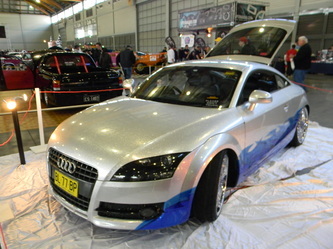 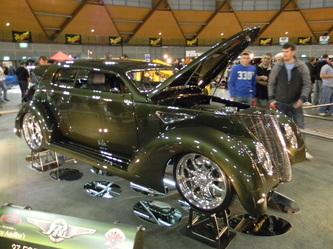 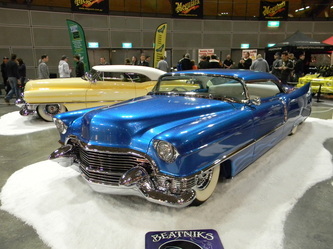 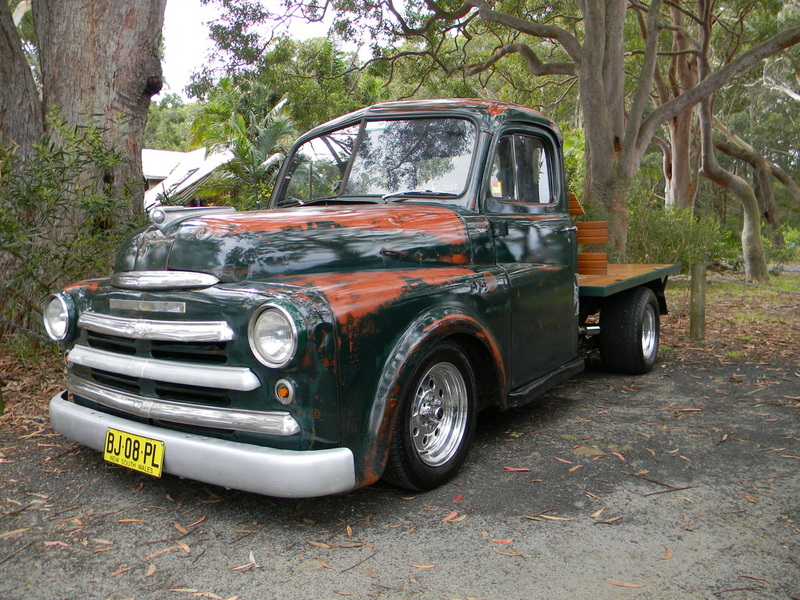 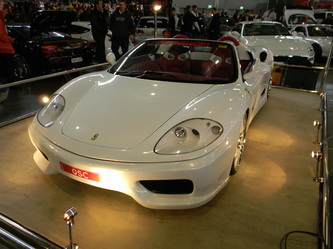 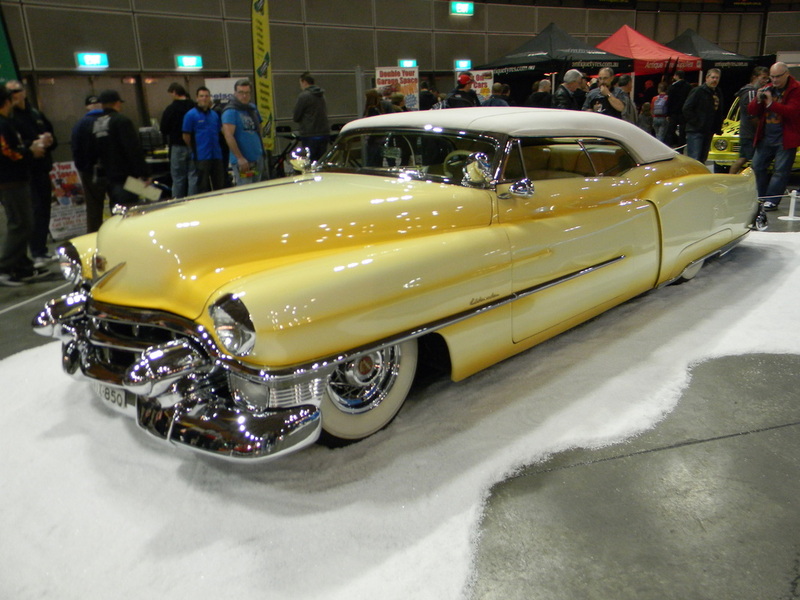 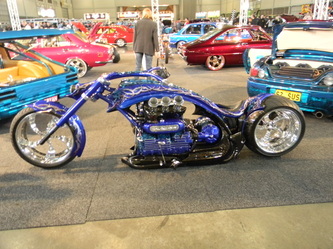 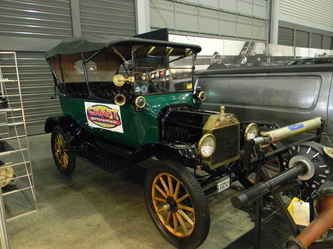 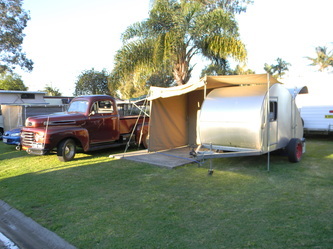 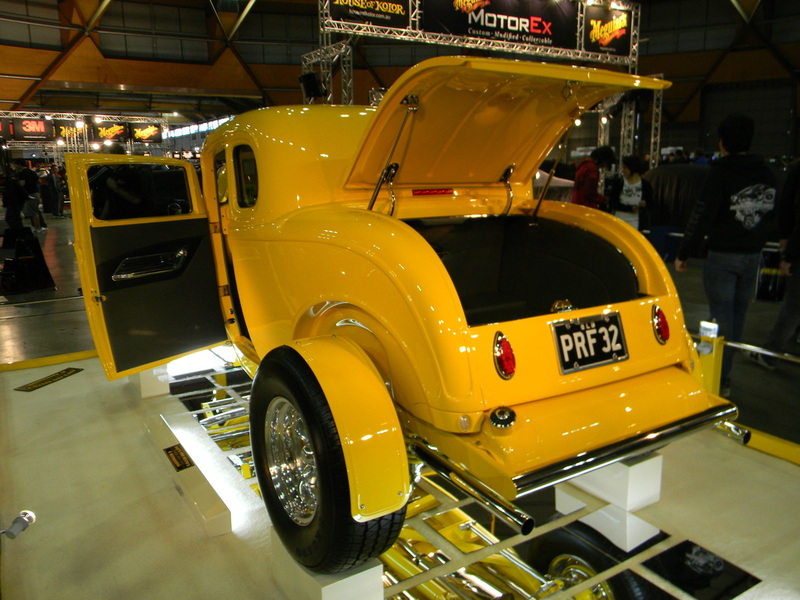 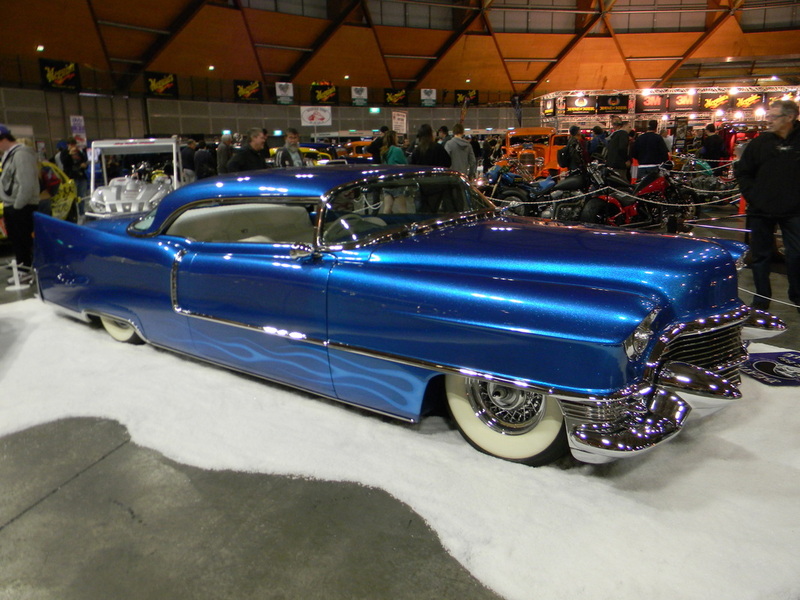 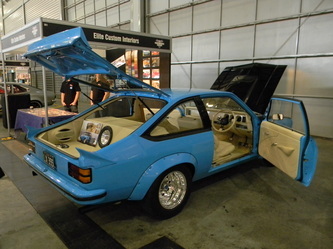 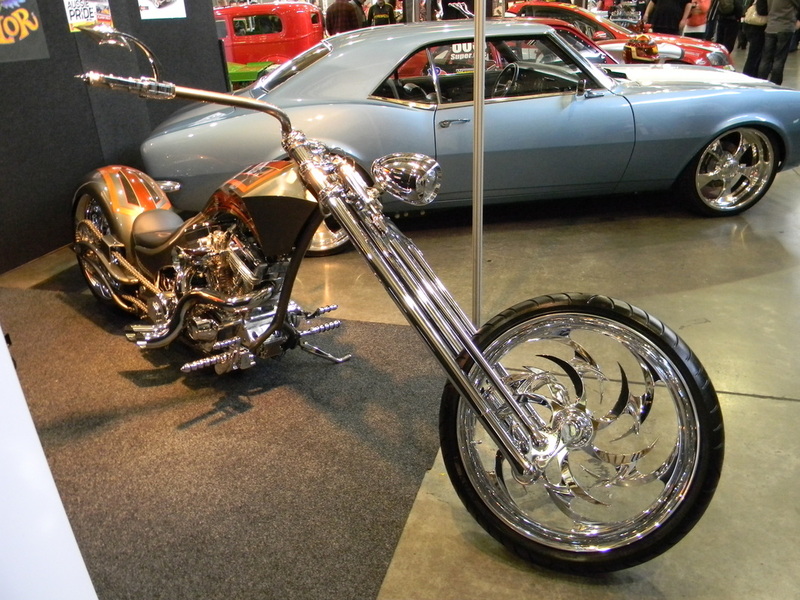 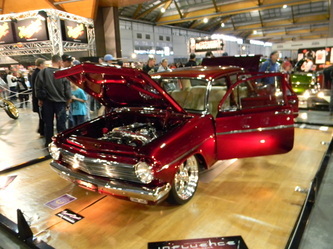 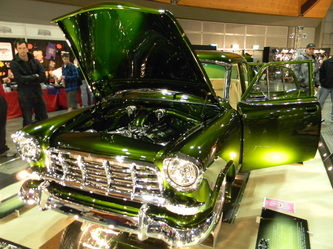 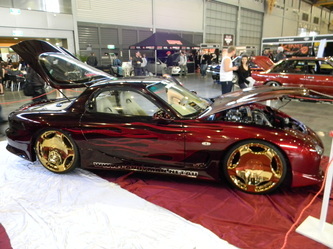 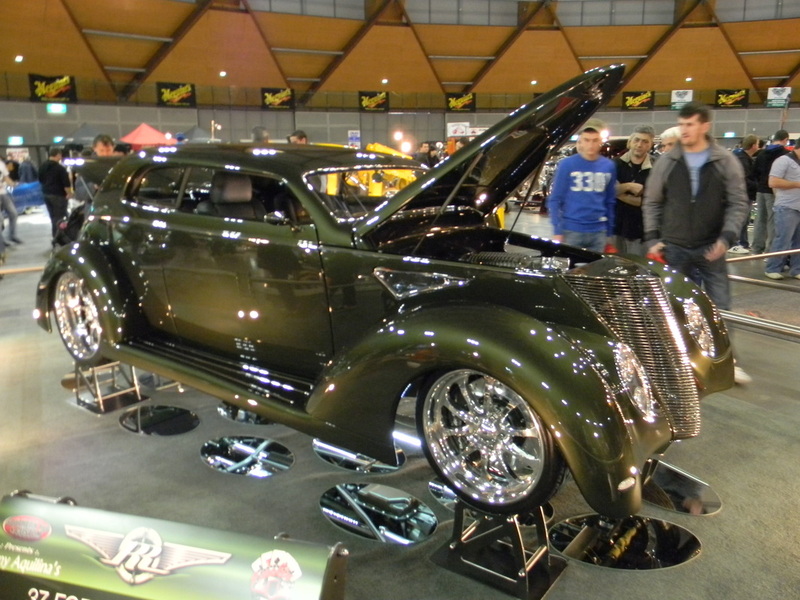 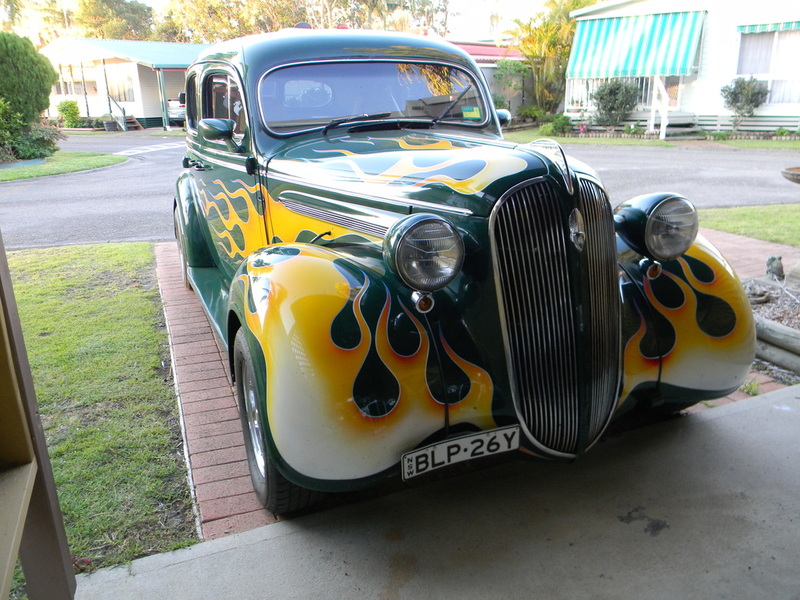 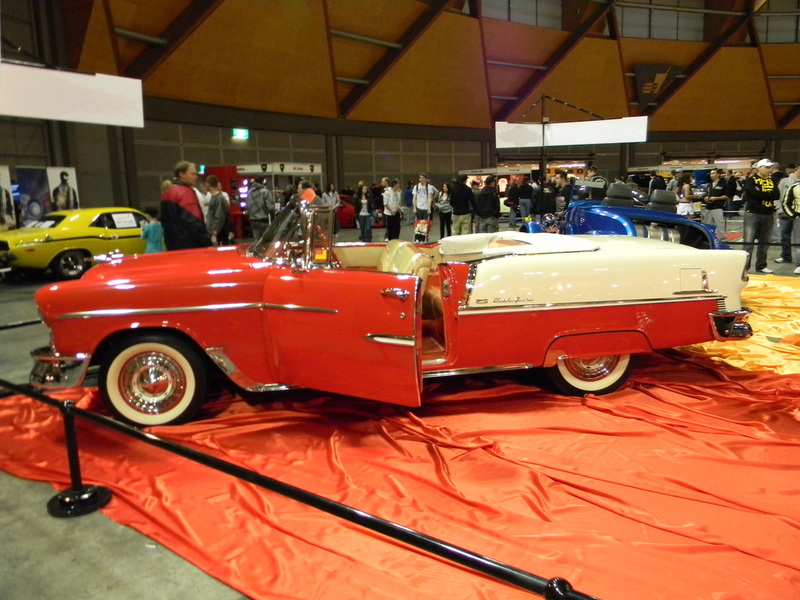 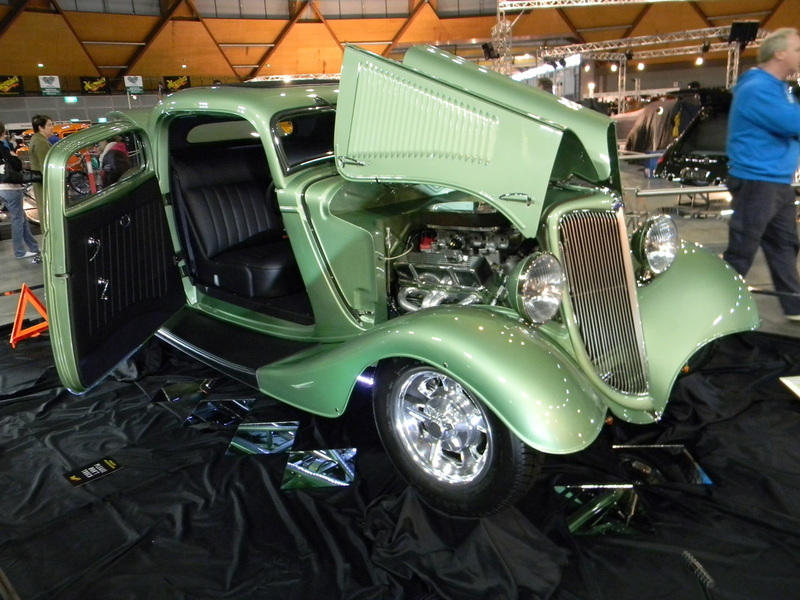 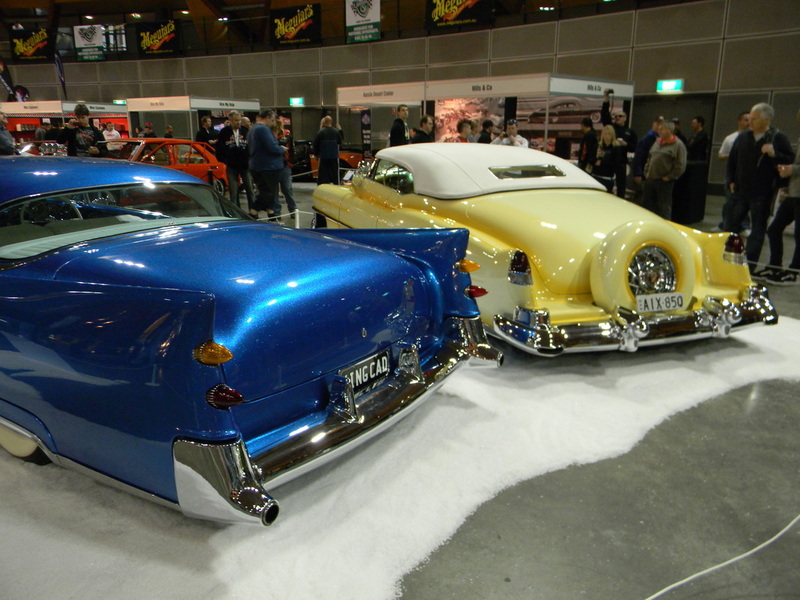 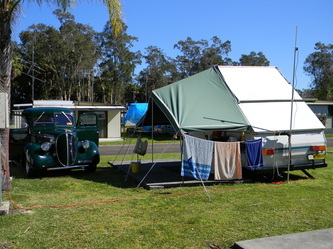 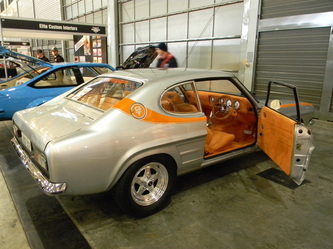 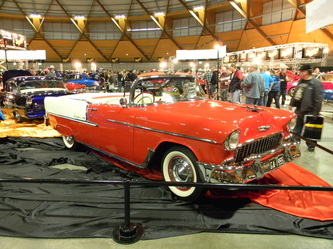 Meguiar's MotorEx, Morisset Mega Giggle, Mountains to the Sea. 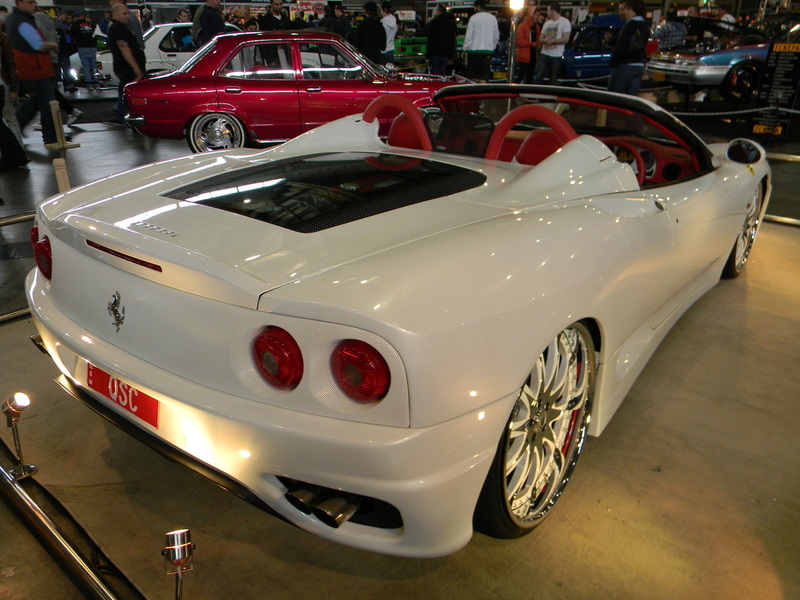 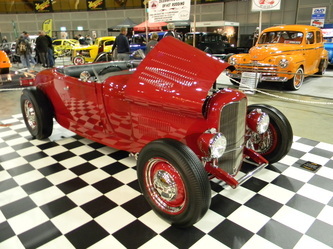 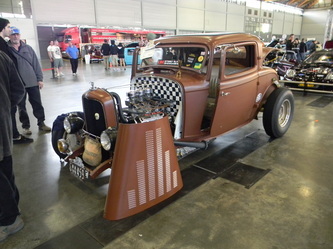 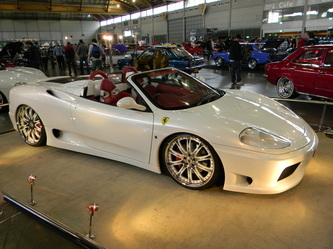 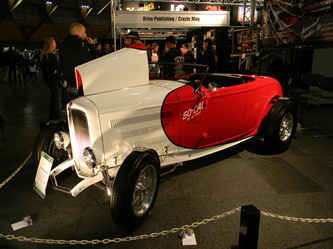 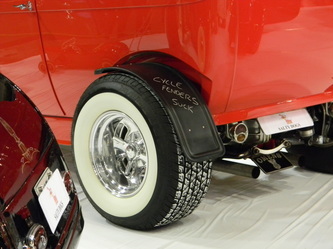 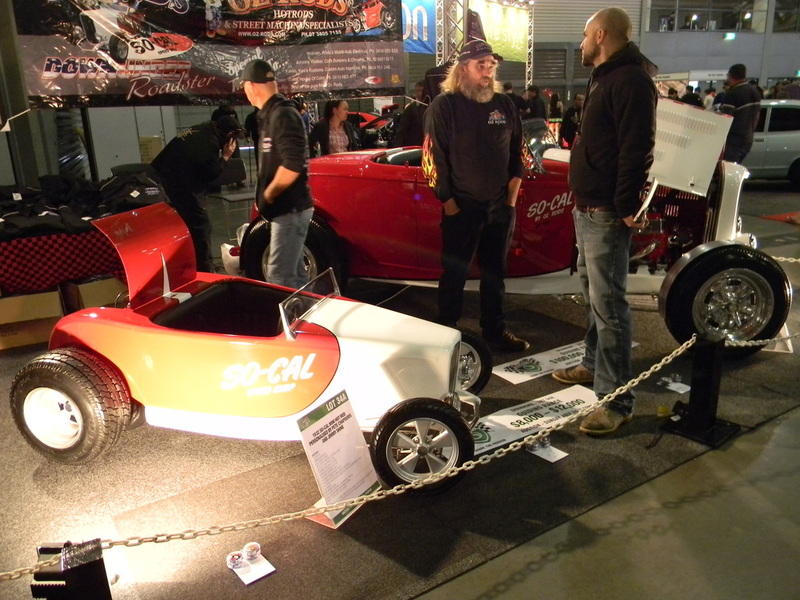 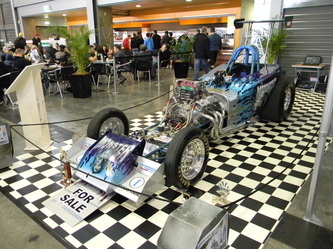 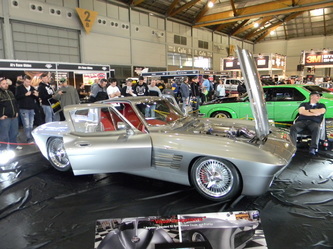 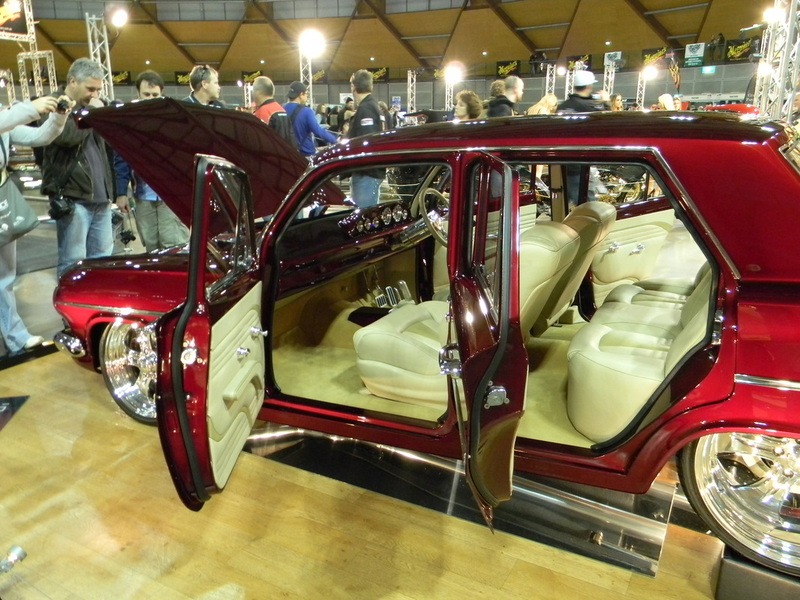 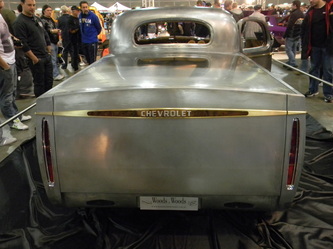 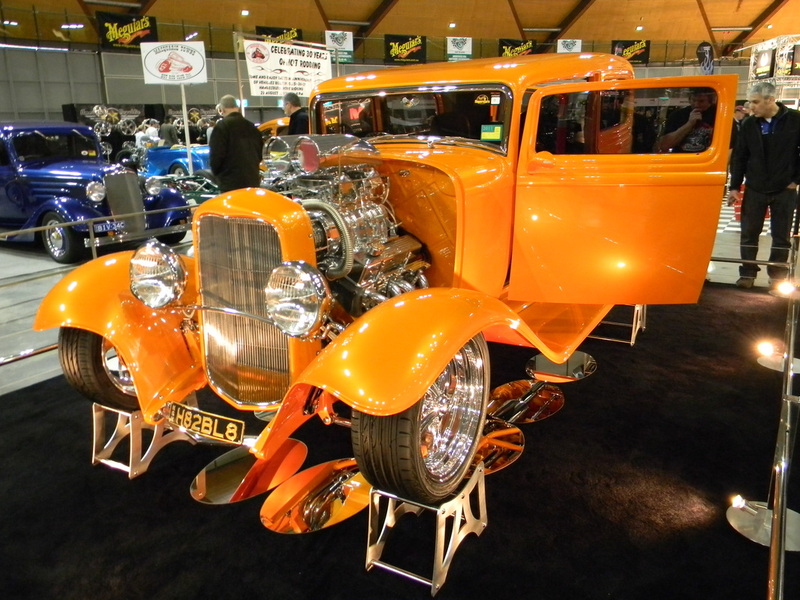 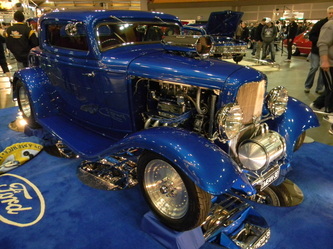 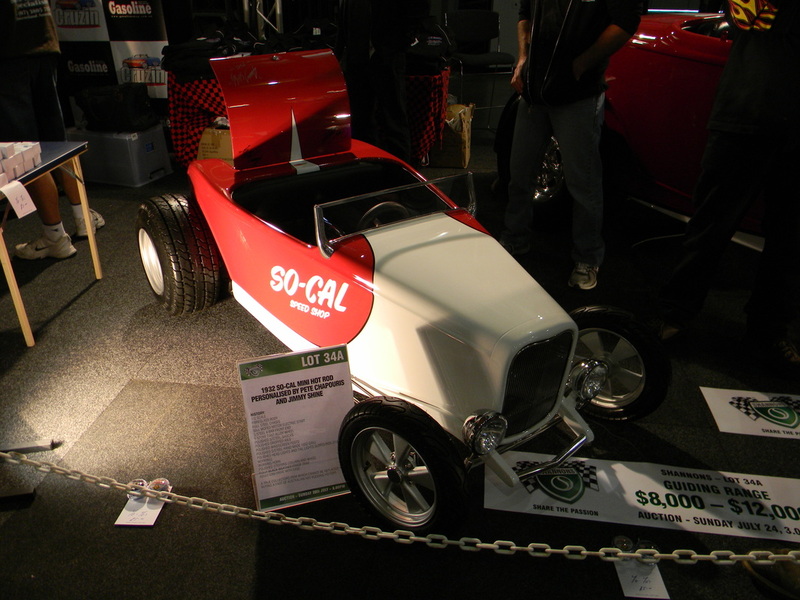 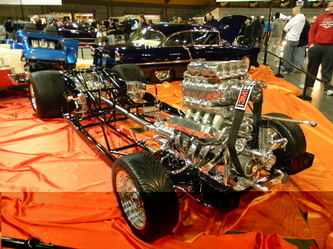 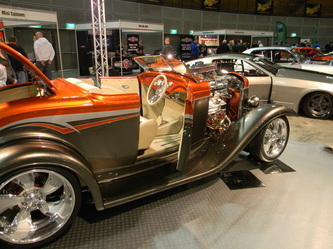 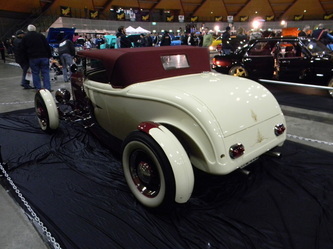 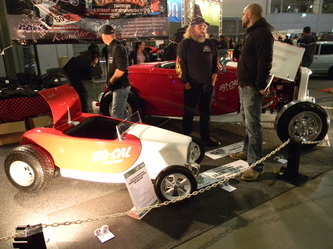 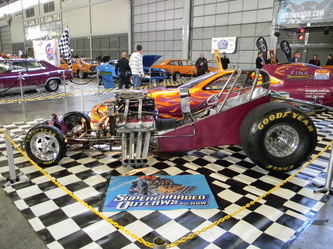 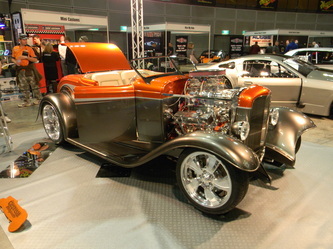 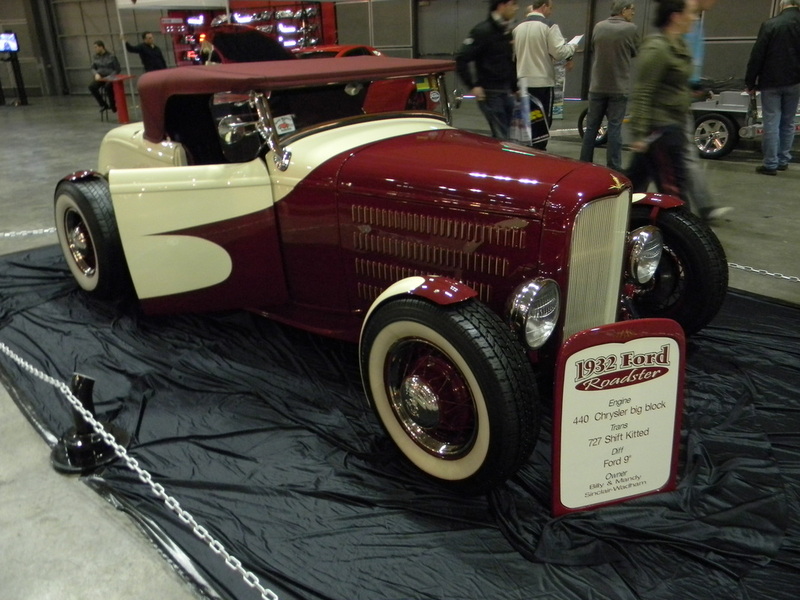 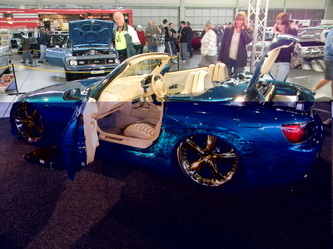 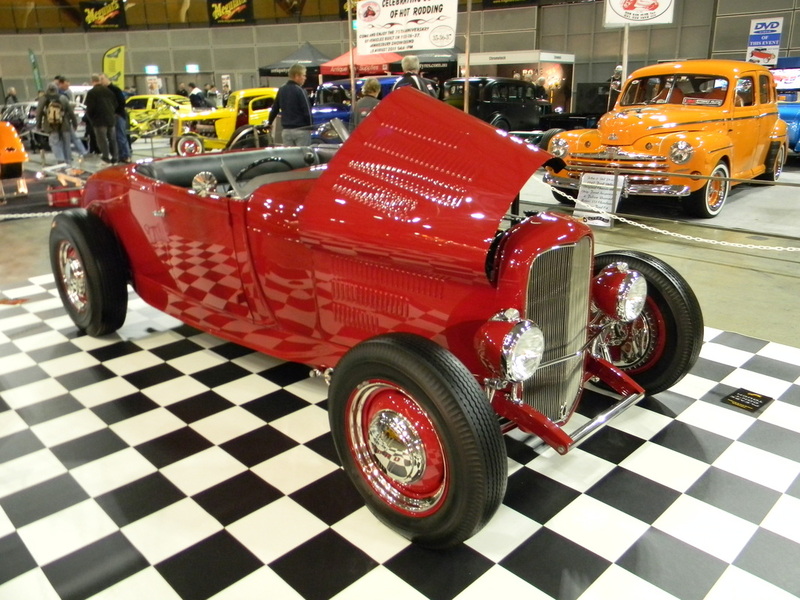 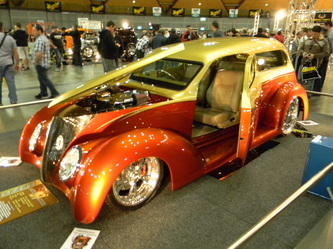 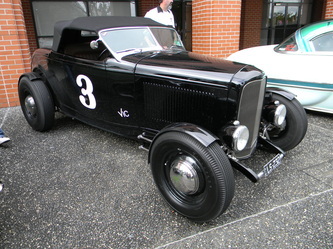 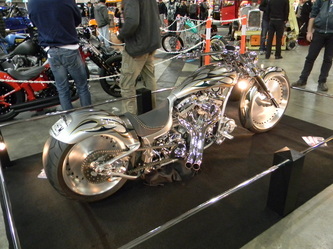 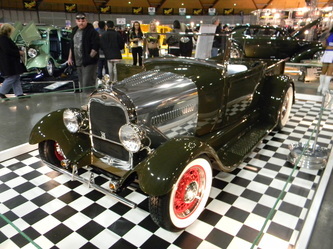 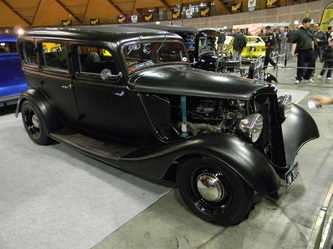 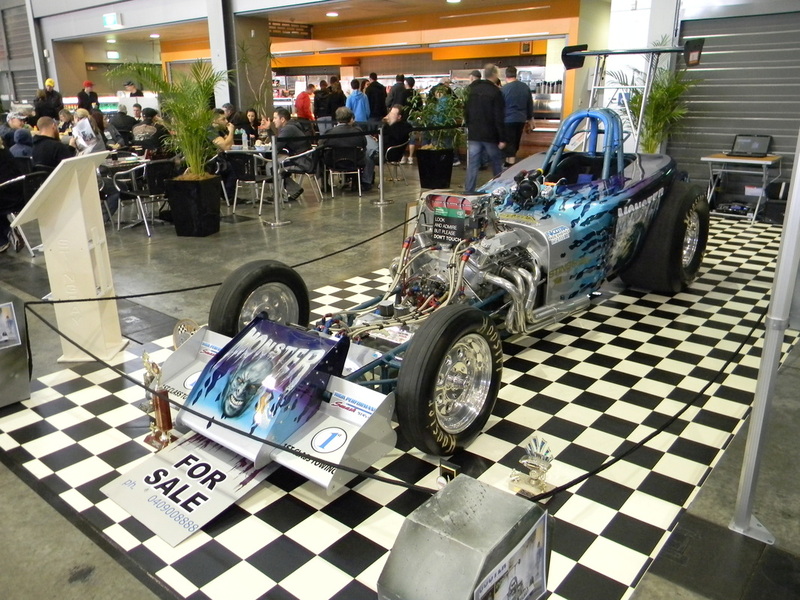 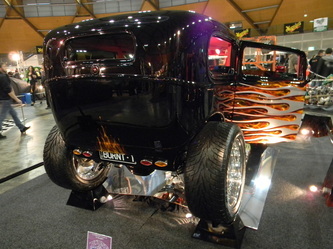 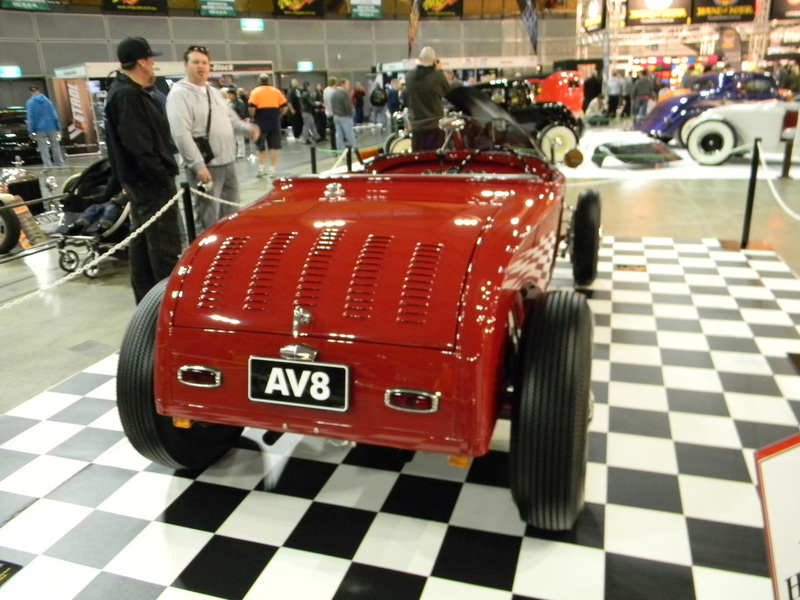 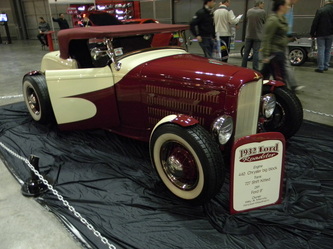 Another great year for this event where the big dollar cars show their stuff. 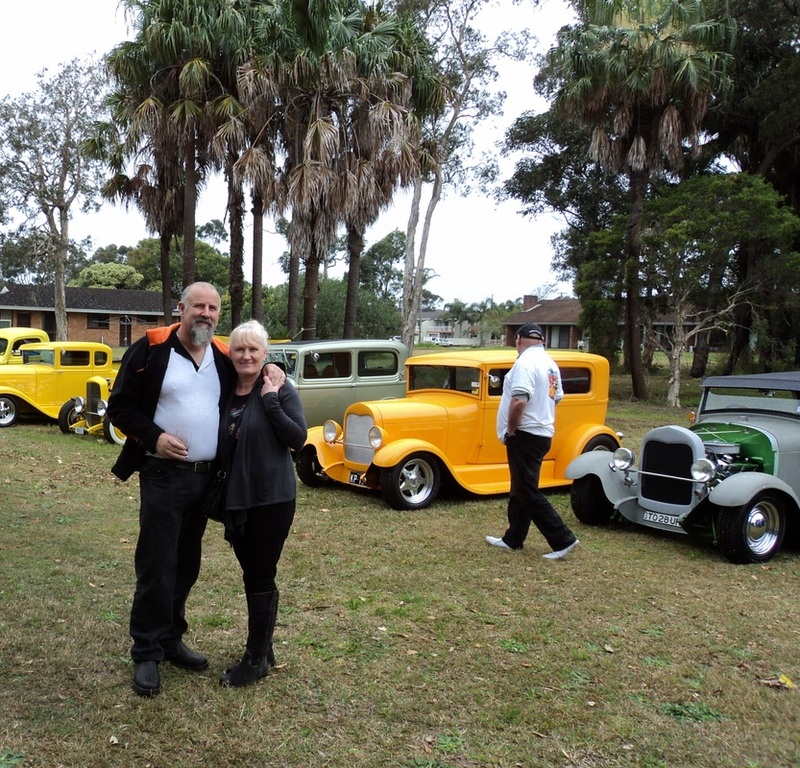 A lot of hard work and money has been sunk into these vehicles and it is great to have an event like this where those of us who just dream can go and see these awesome machines. 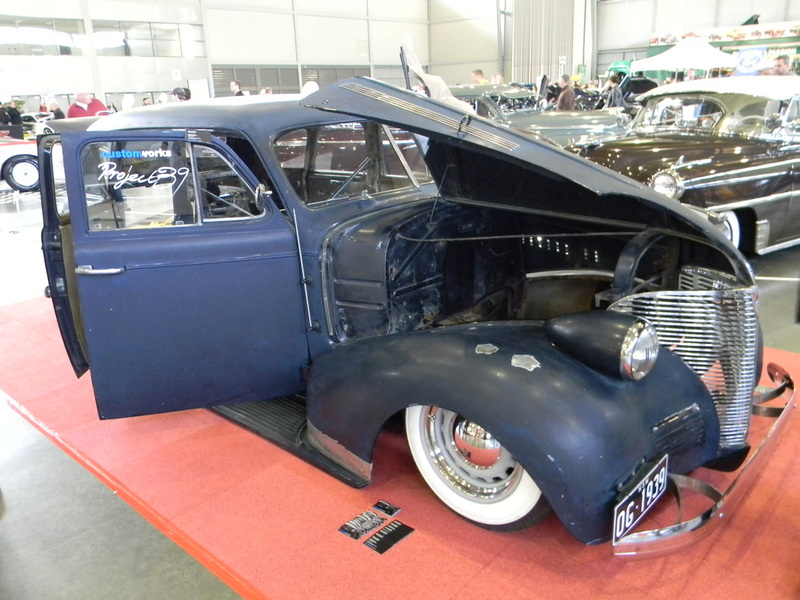 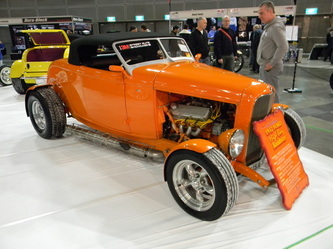 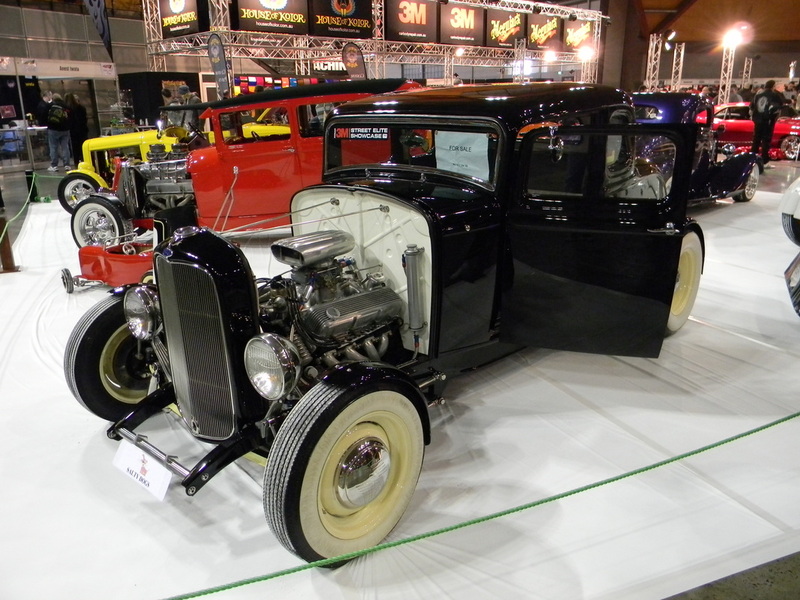 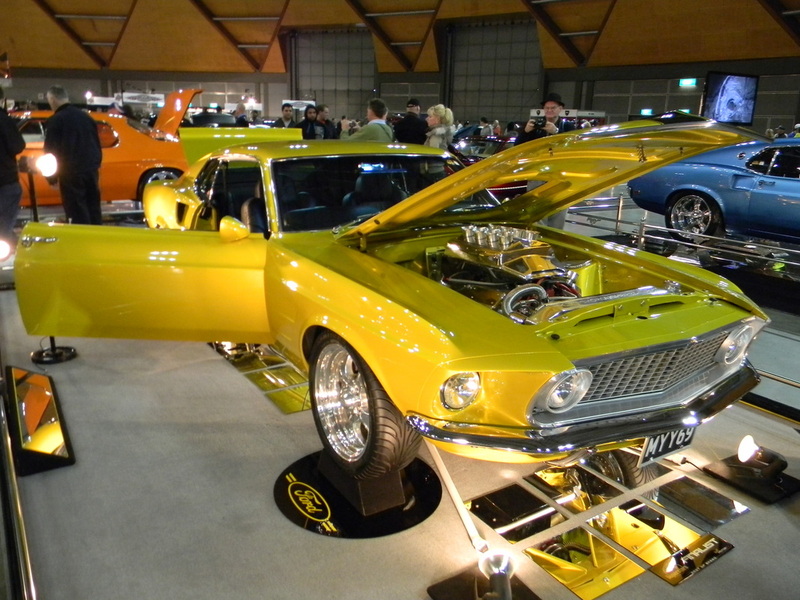 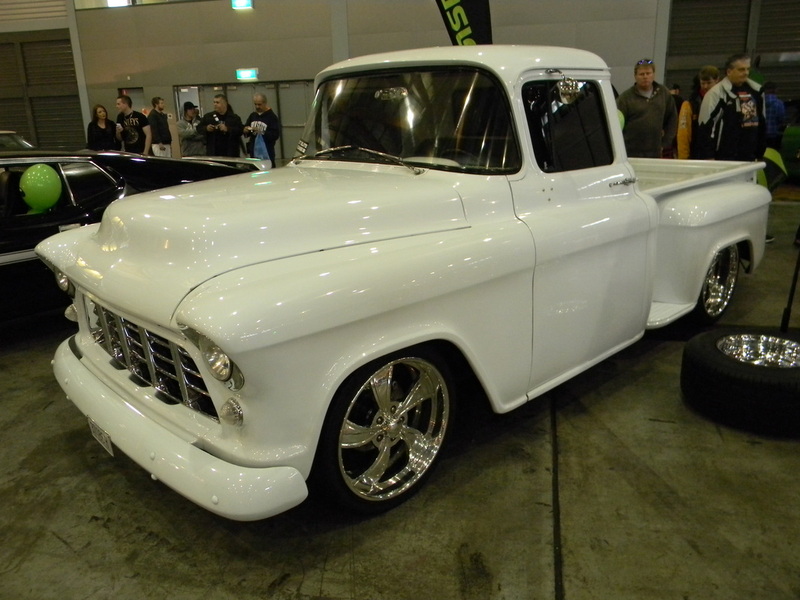 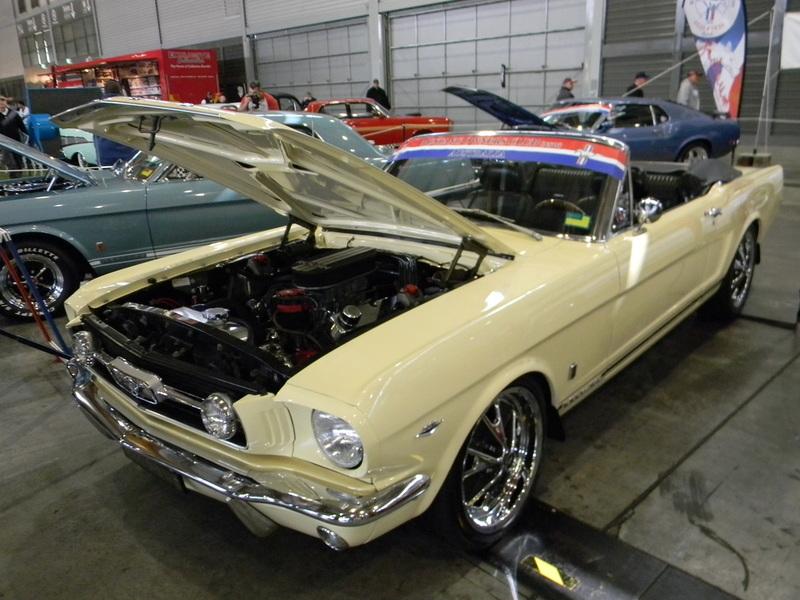 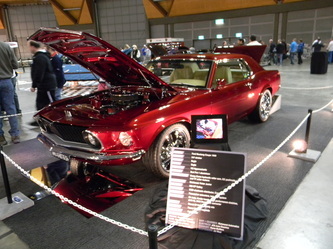 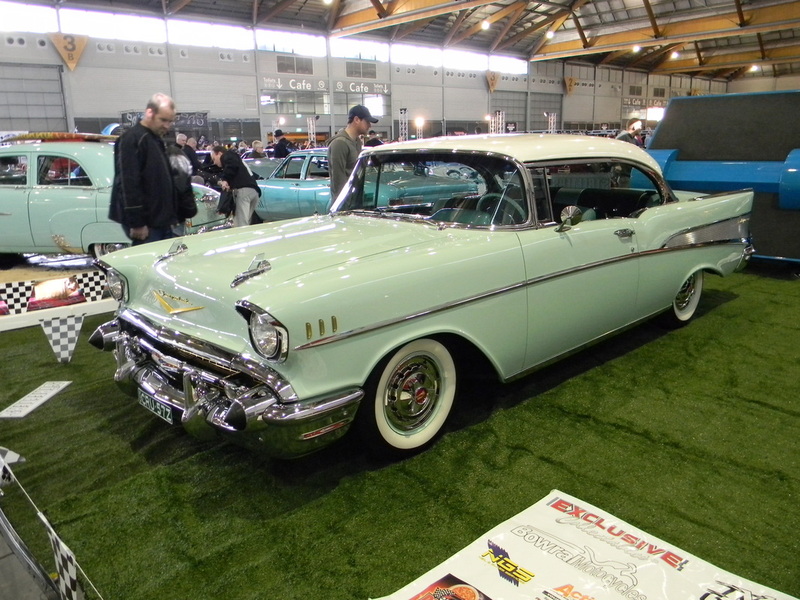 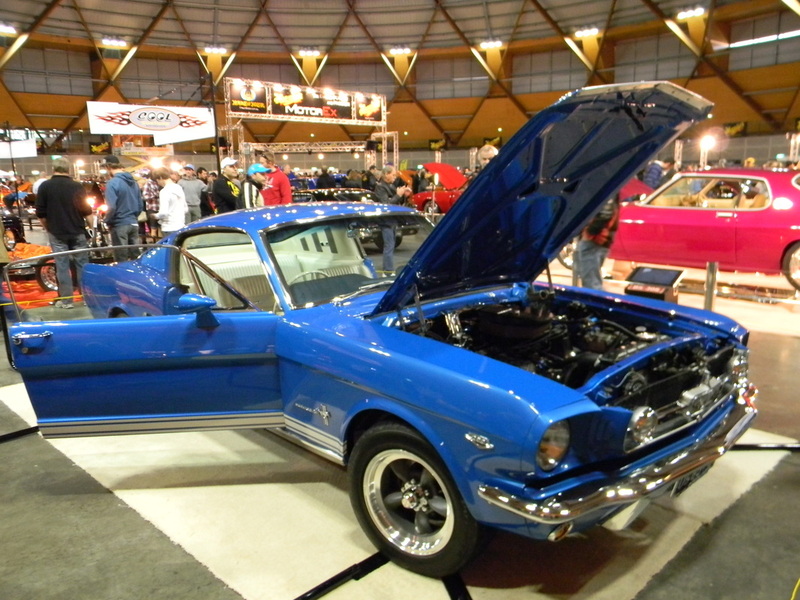 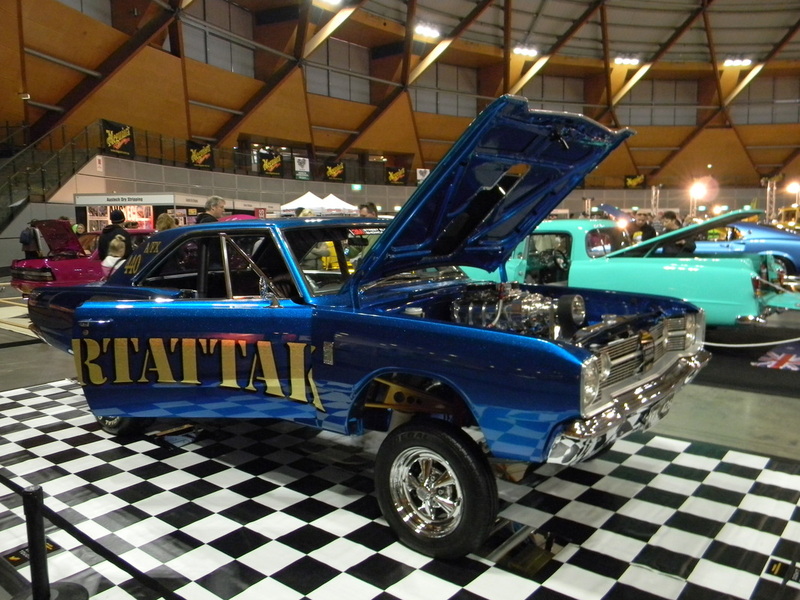 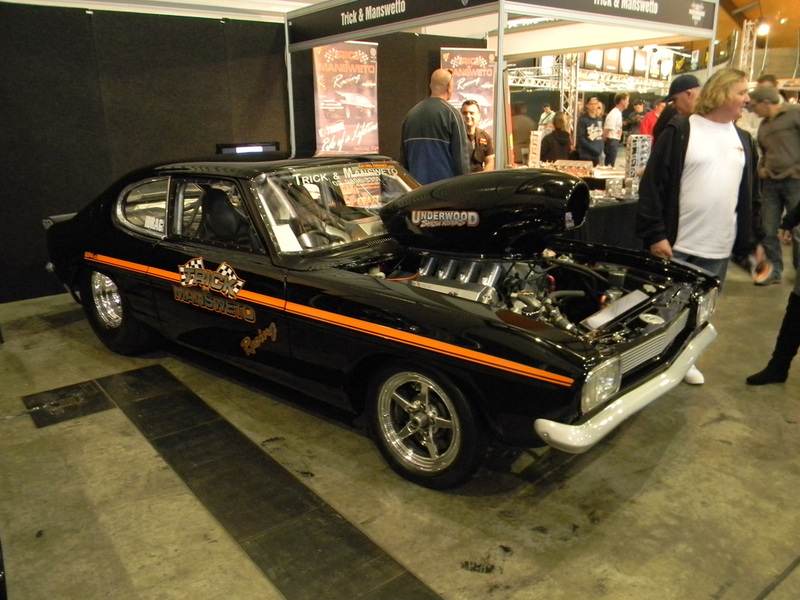 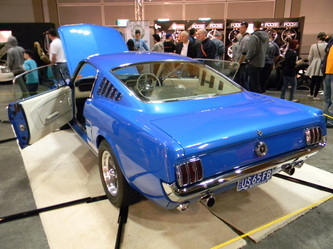 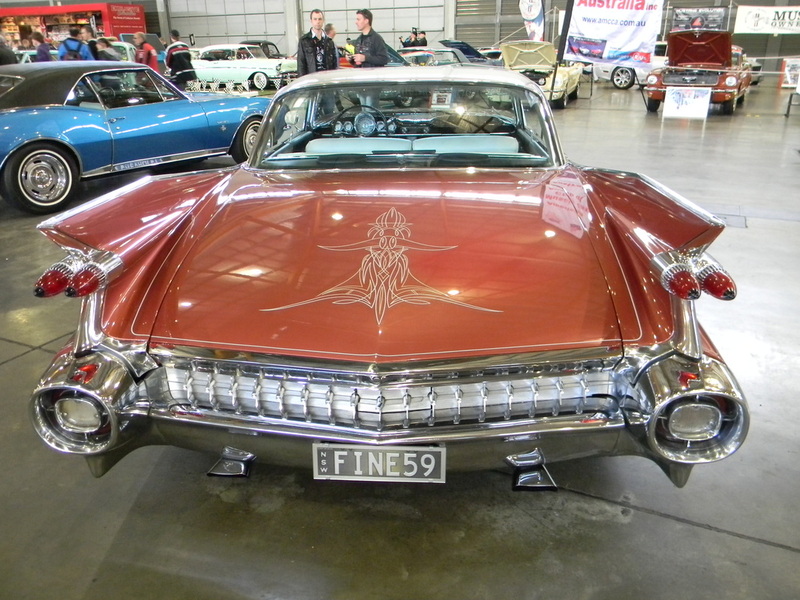 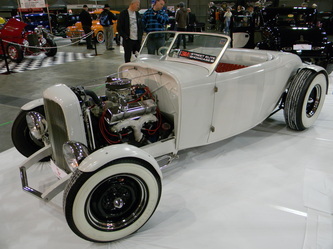 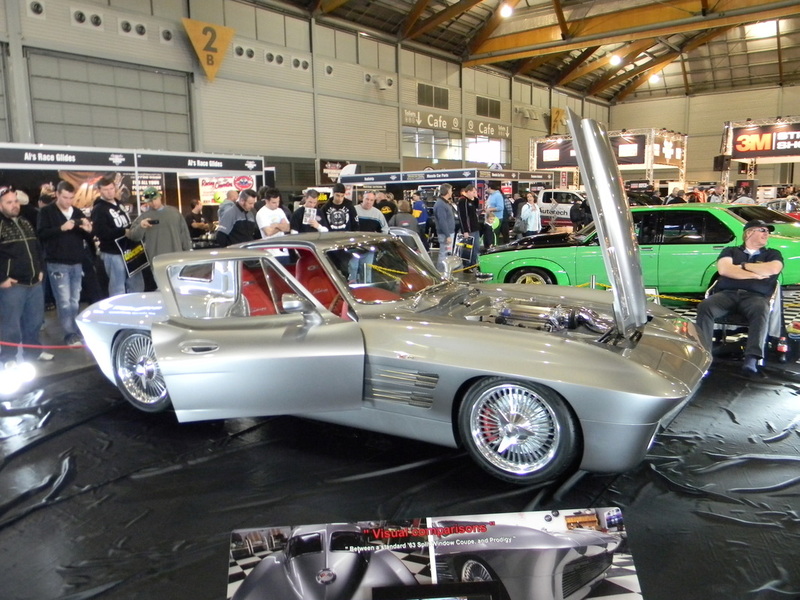 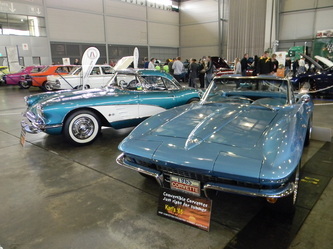 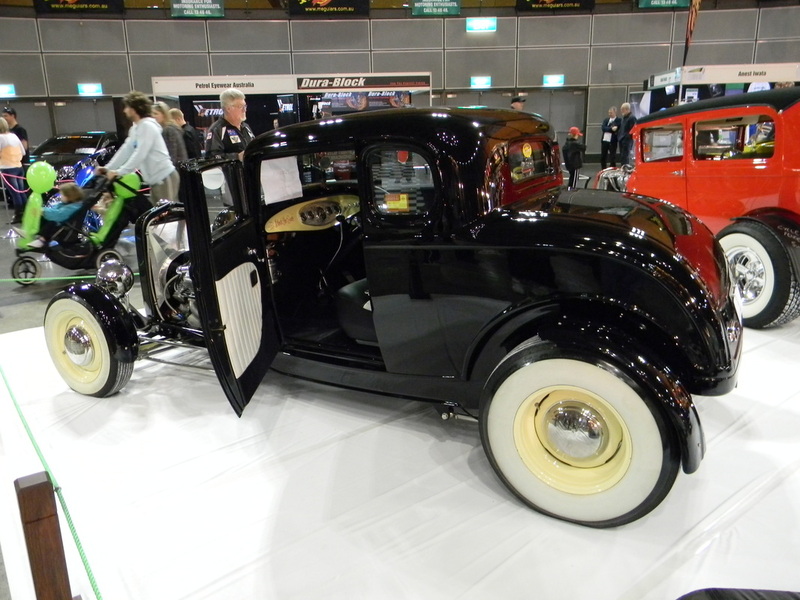 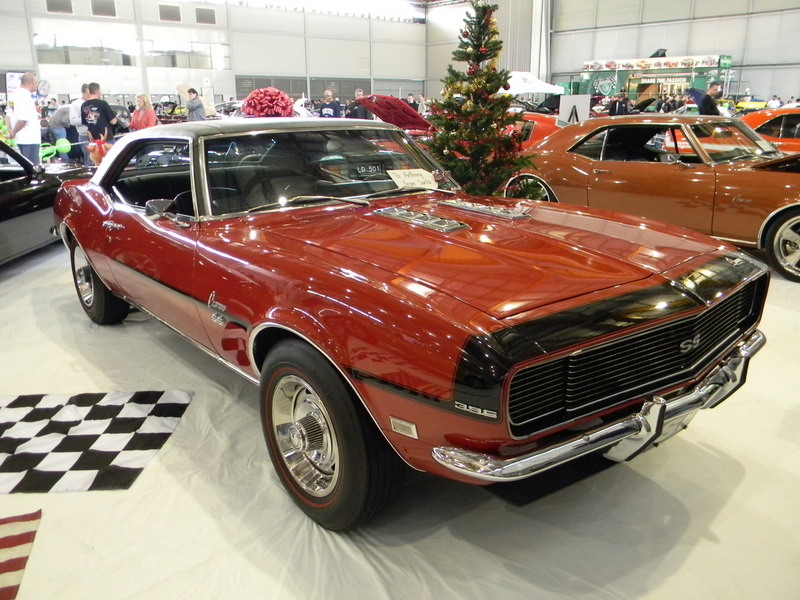 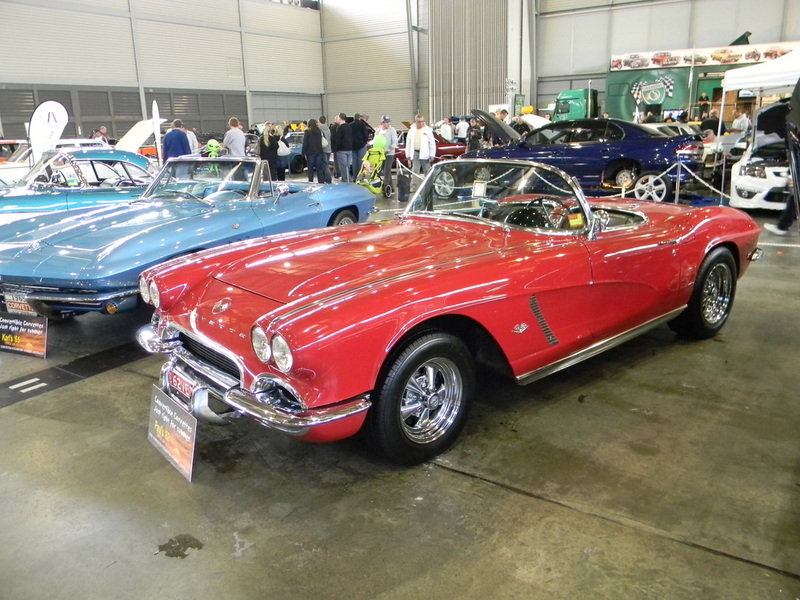 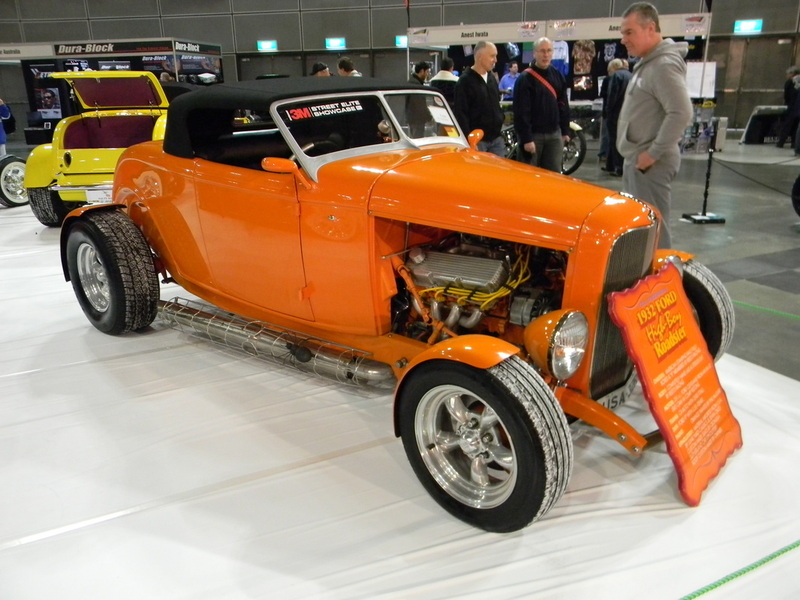 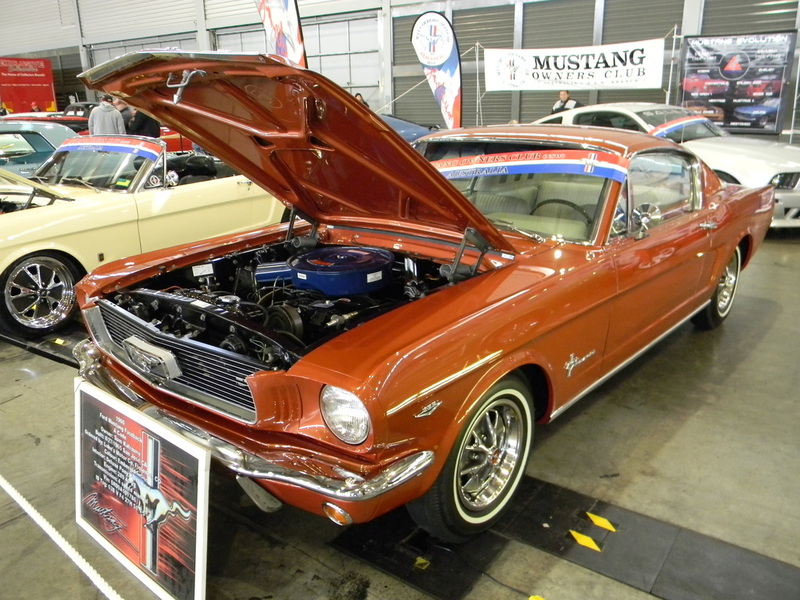 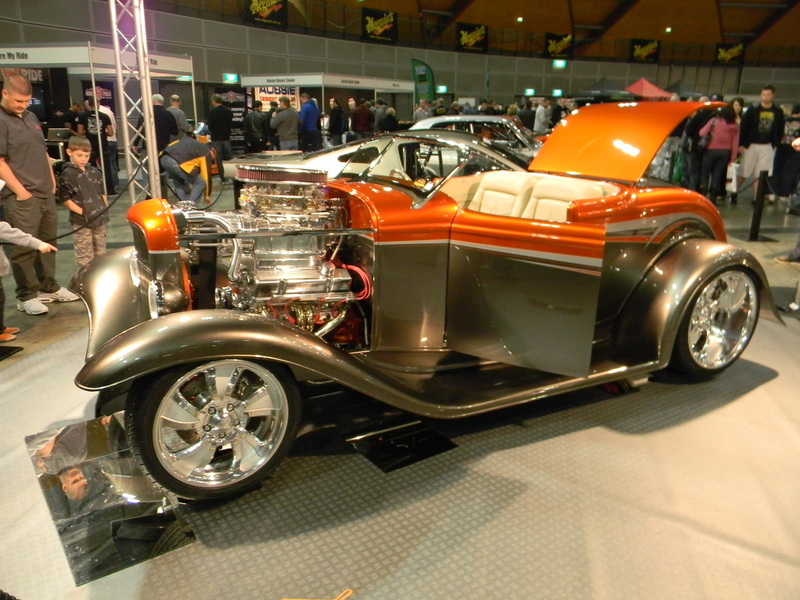 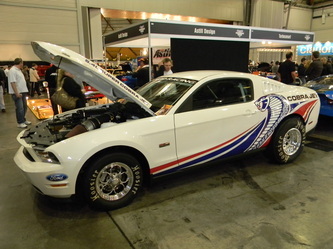 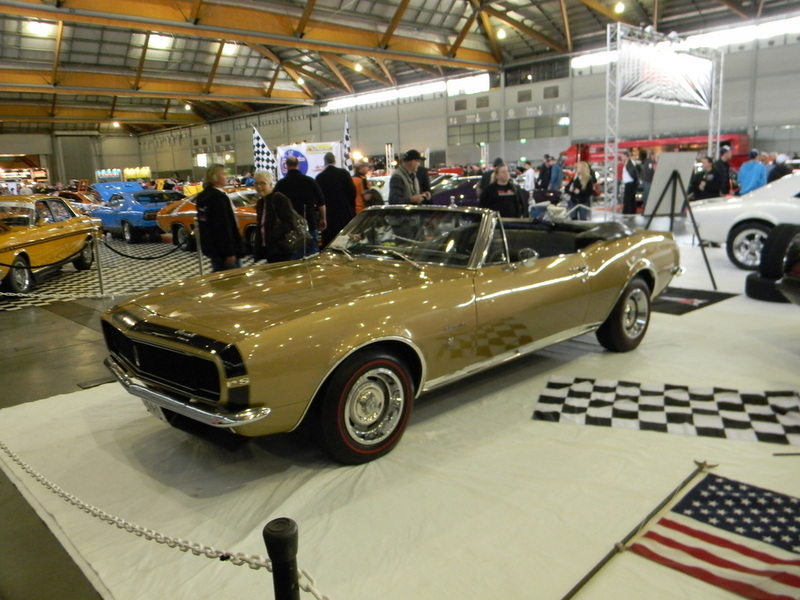 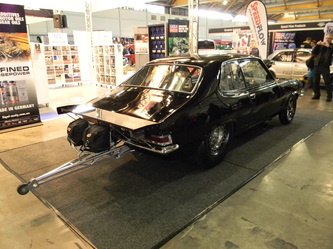 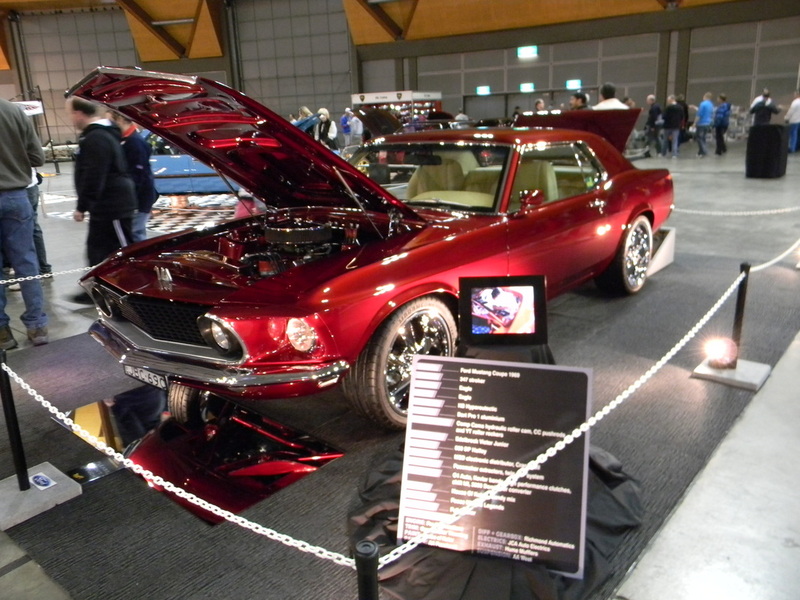 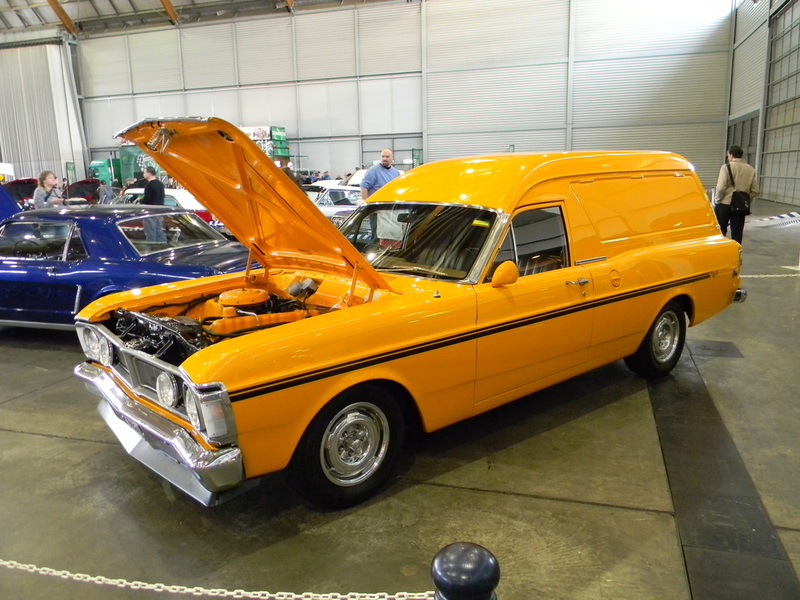 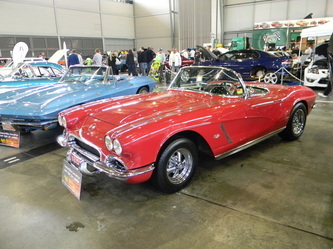 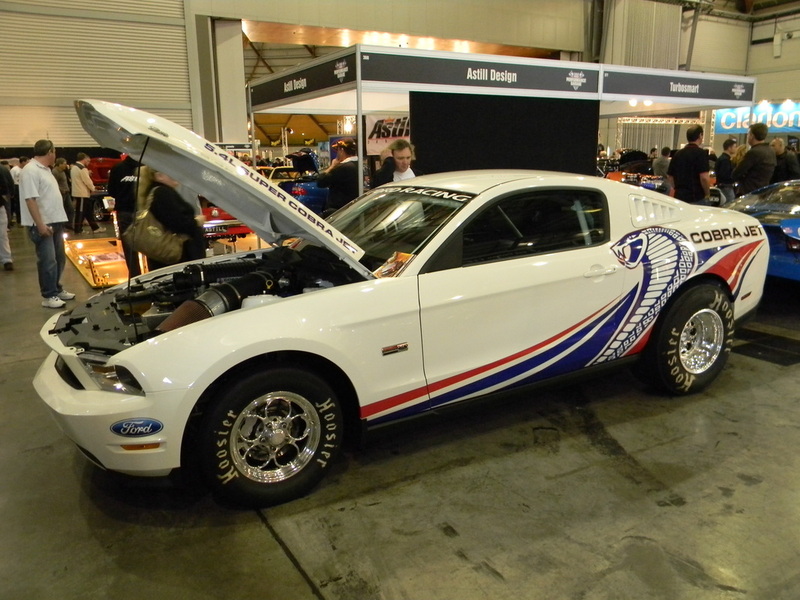 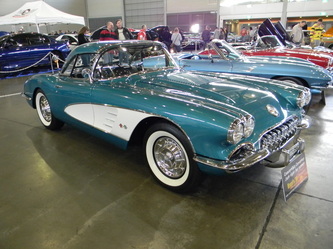 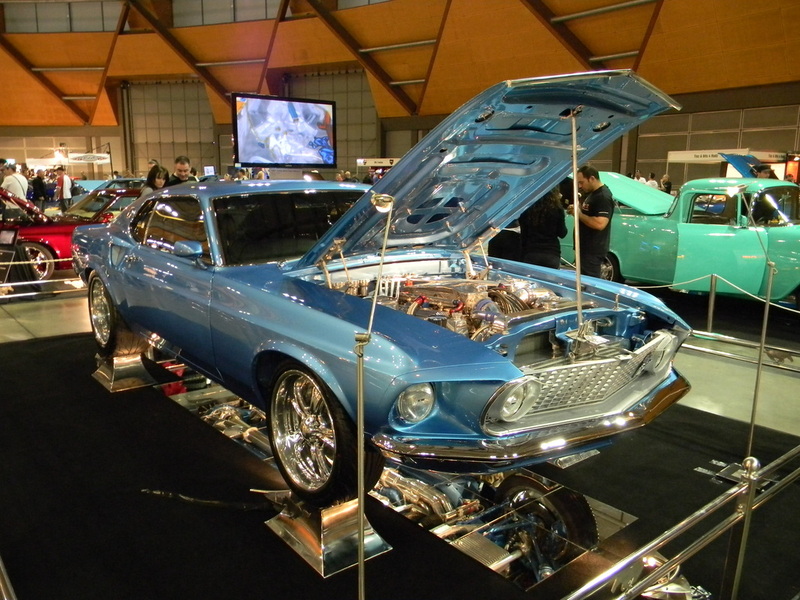 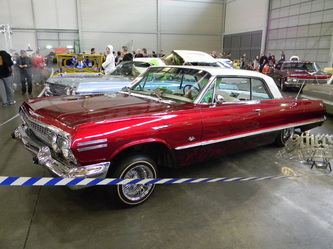 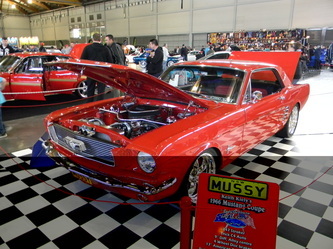 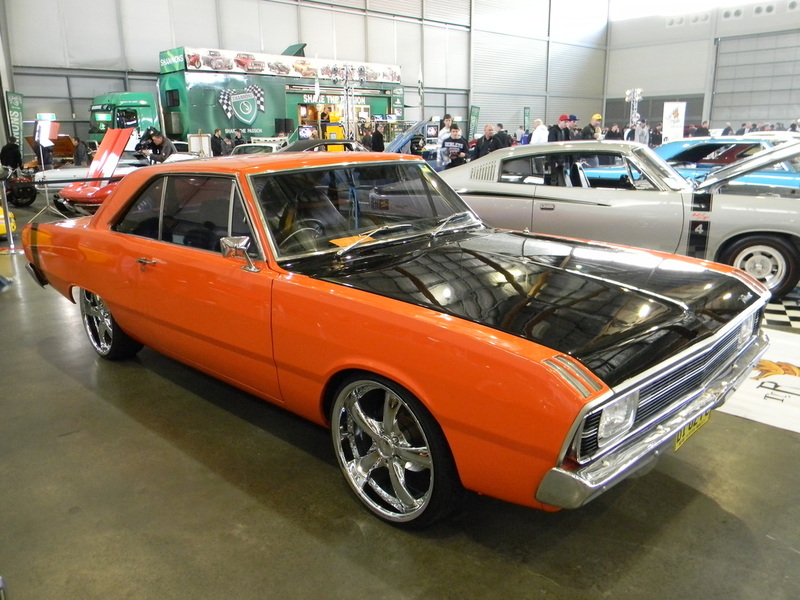 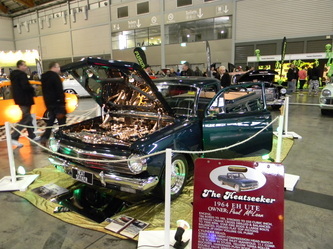 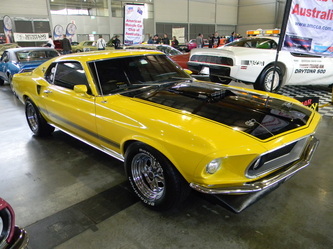 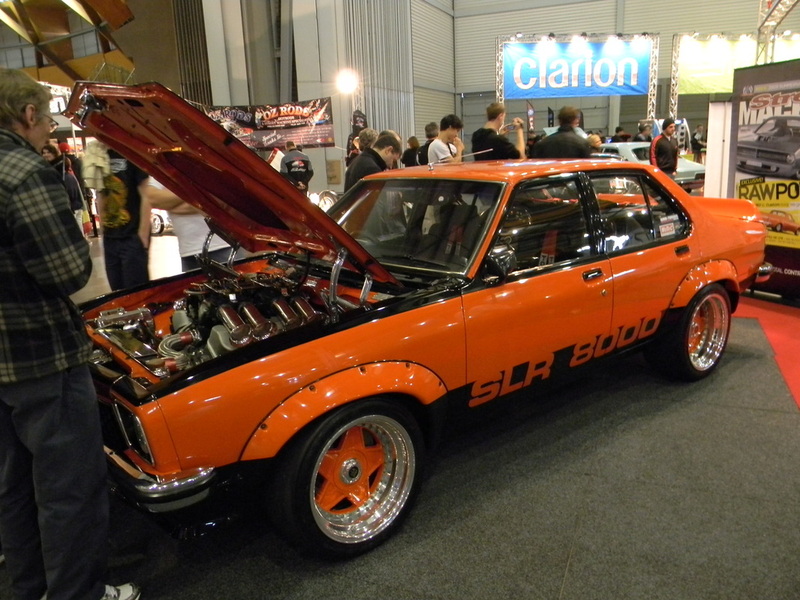 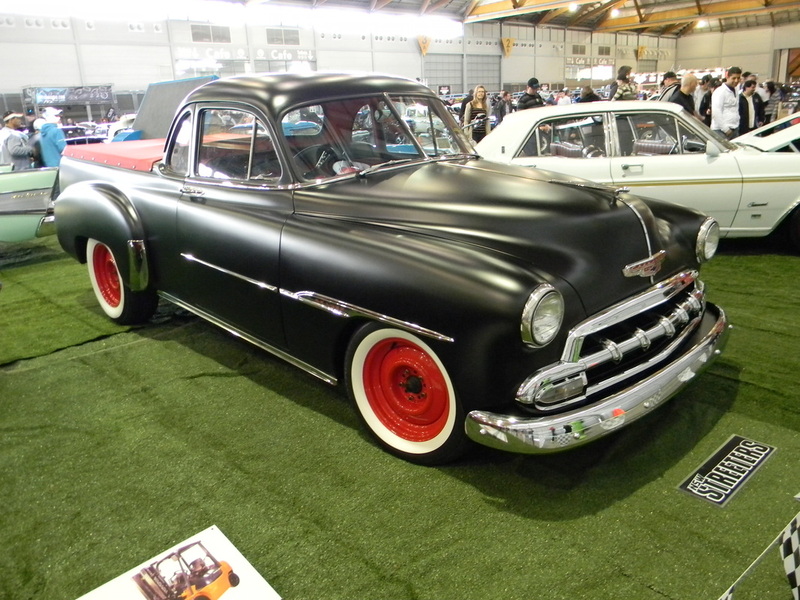 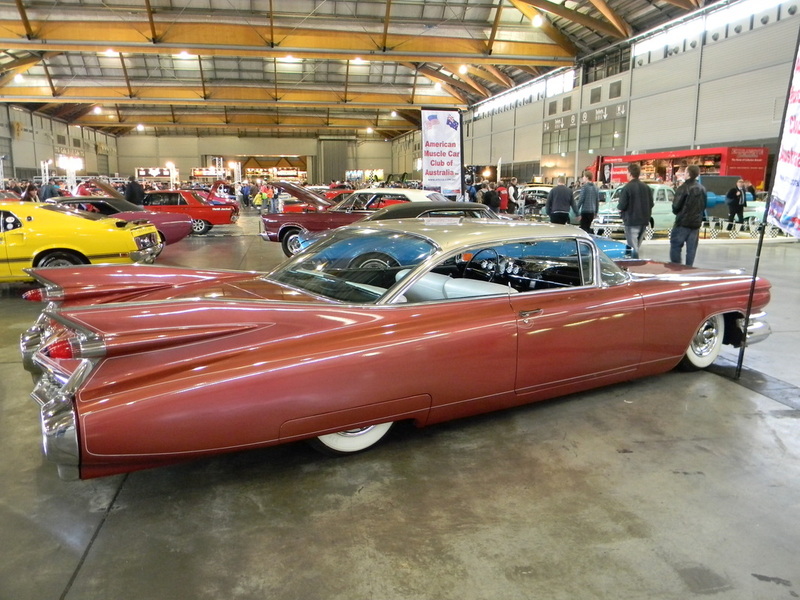 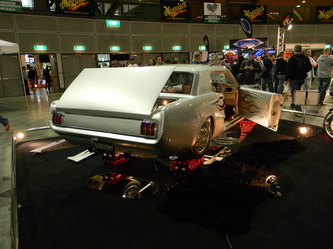 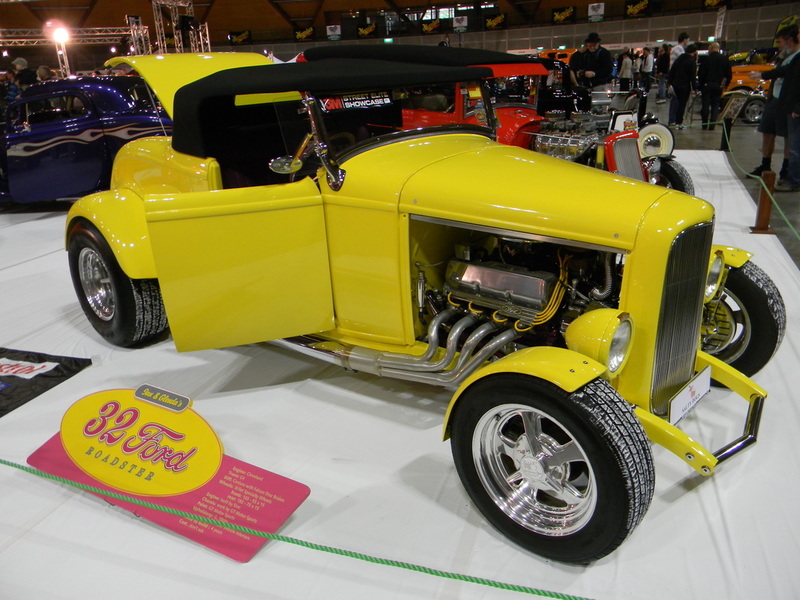 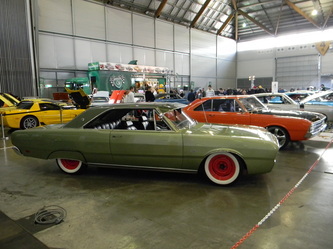 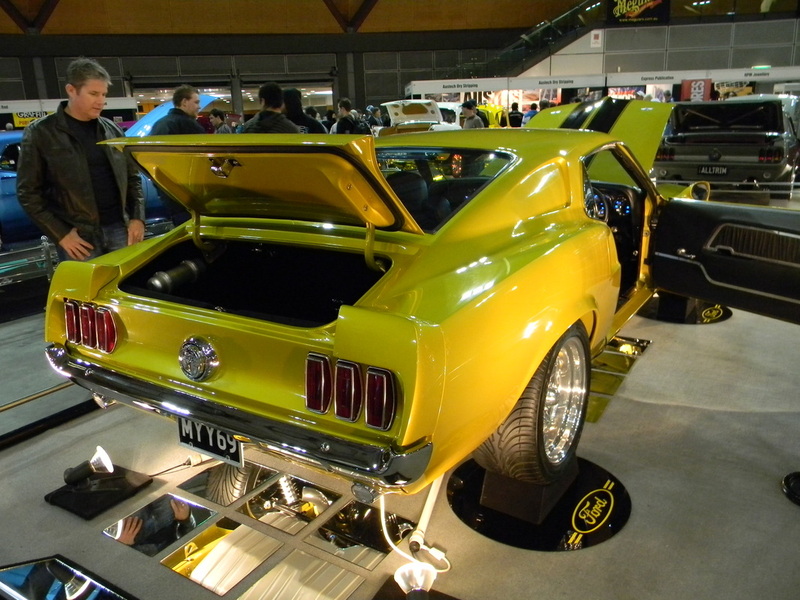 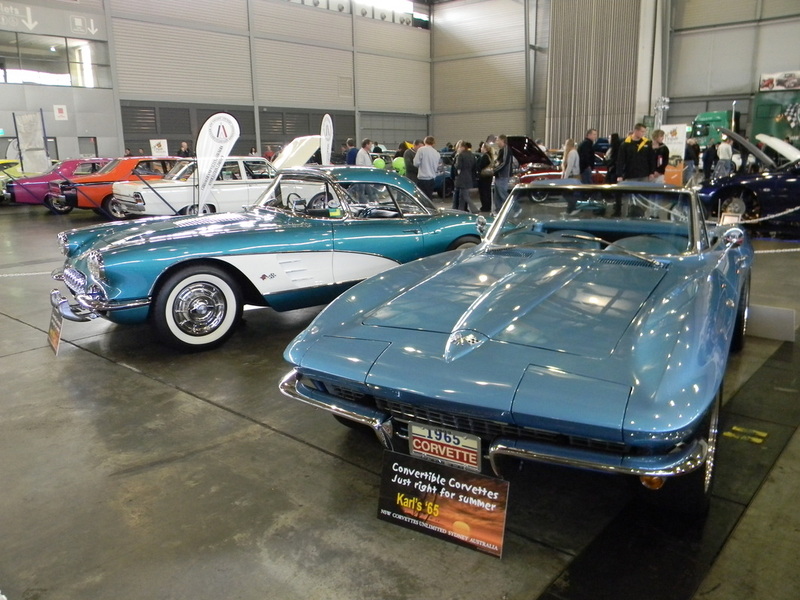 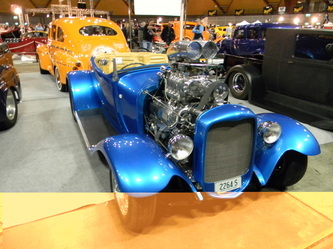 A few less rods this year and a big increase in the number of Mustangs on display, plenty of trade stands and a lot of vehicles for sale in the Shannon's auction, there was something for everyone at this event. 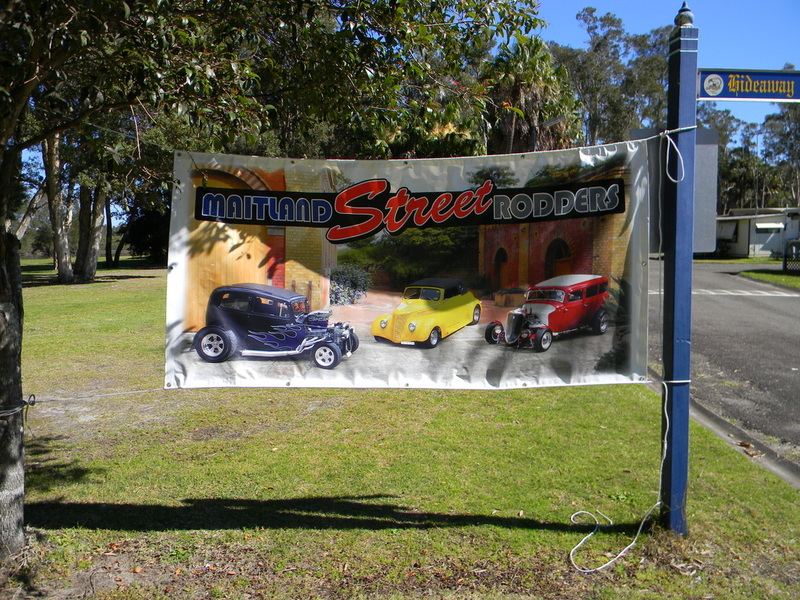 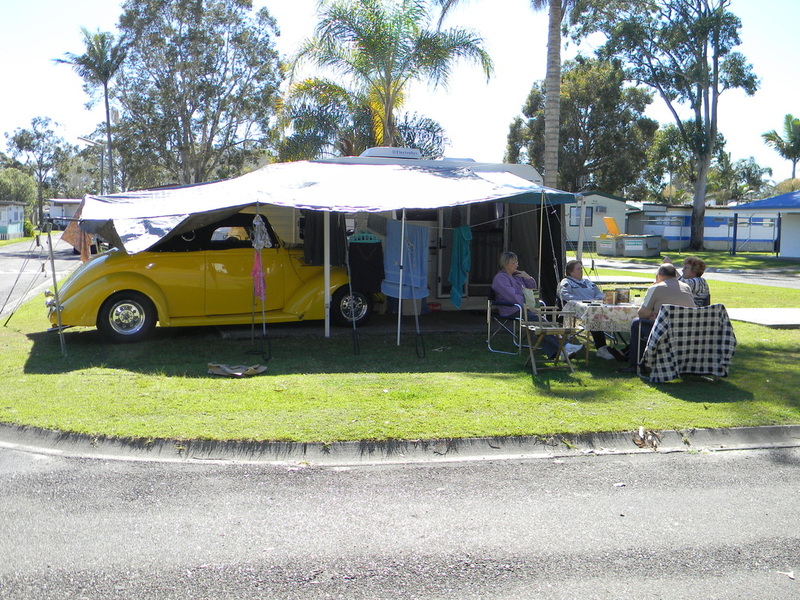 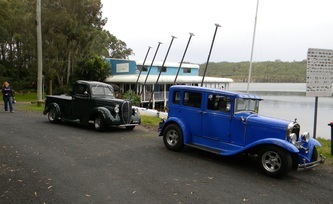 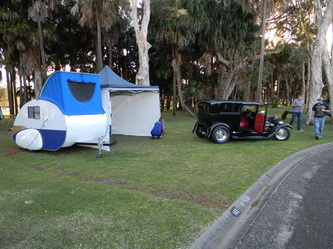 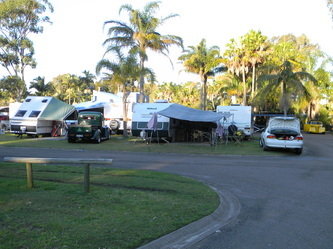 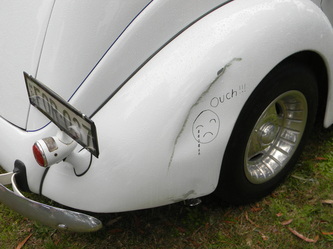 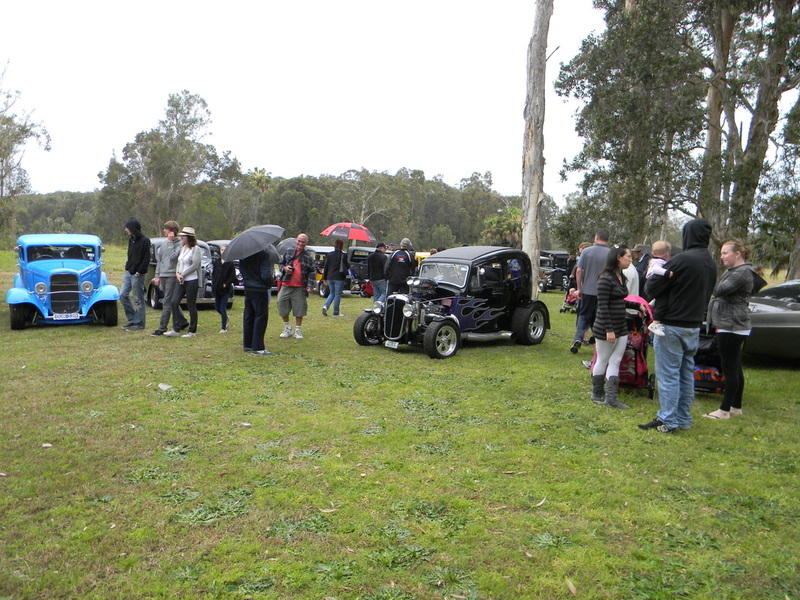 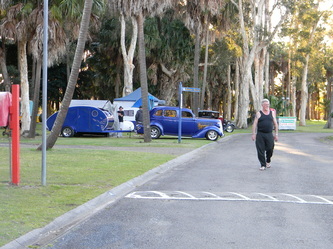 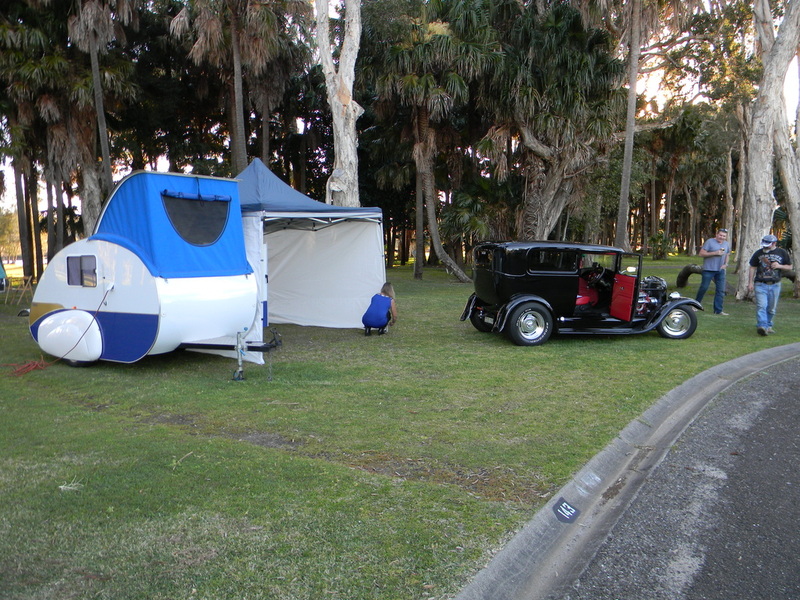 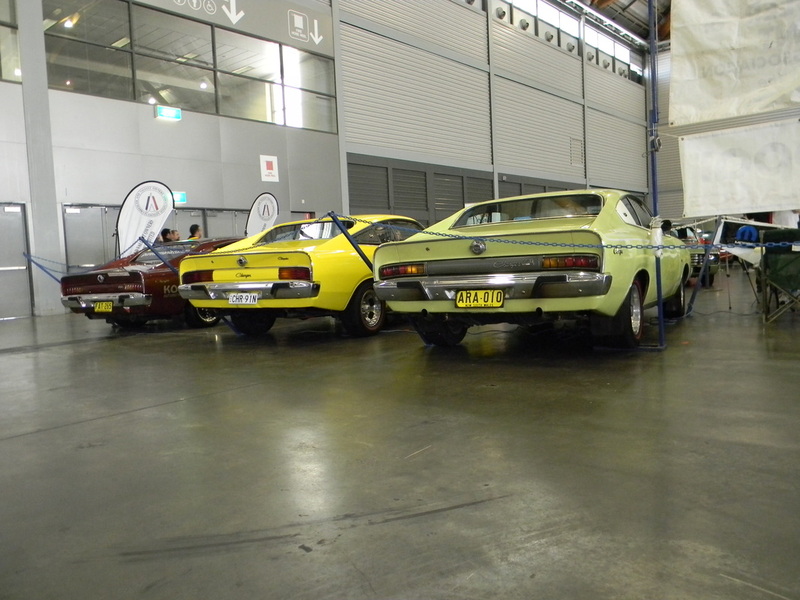 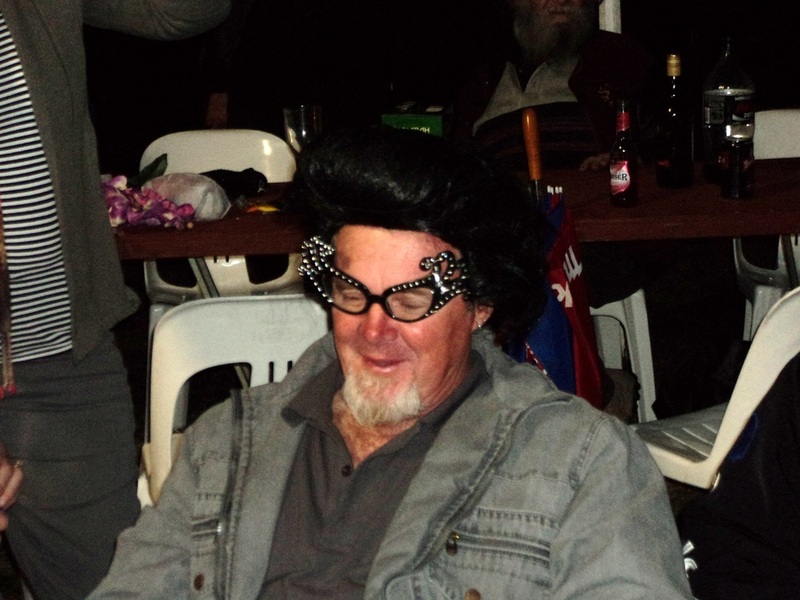 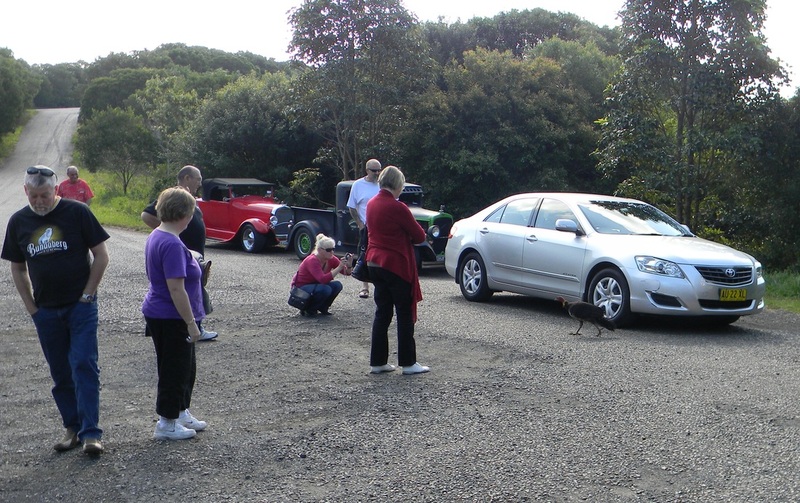 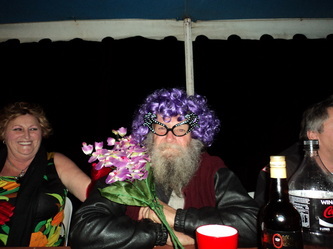 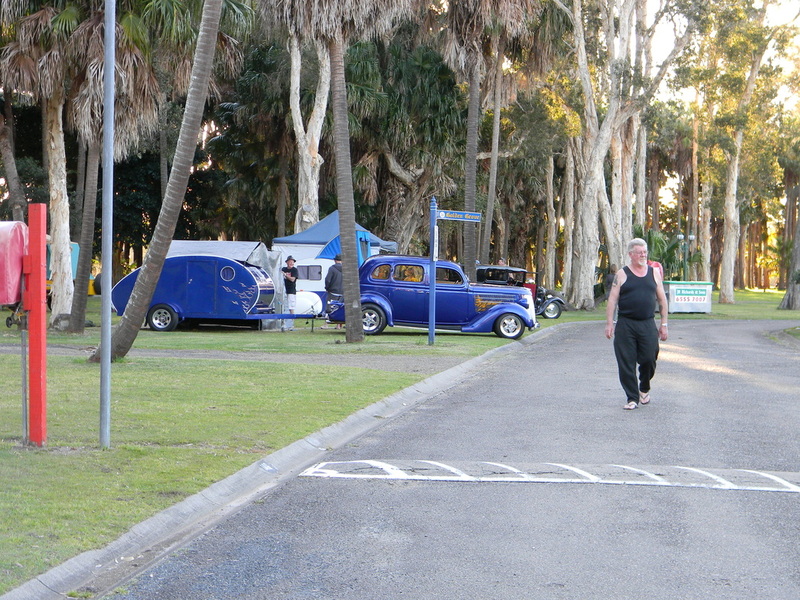 The Morisset Mega Giggle had to contend with plenty of other events on the day but still managed to draw 80 cars. The sun shone on the early part of the day, it then clouded over but no rain and the event was a great success. 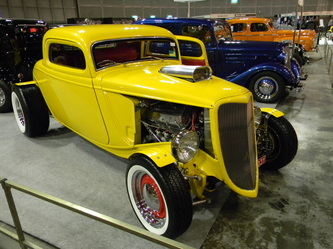 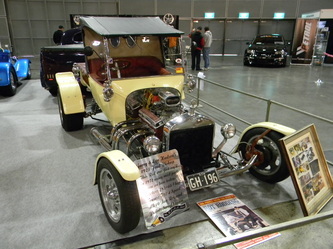 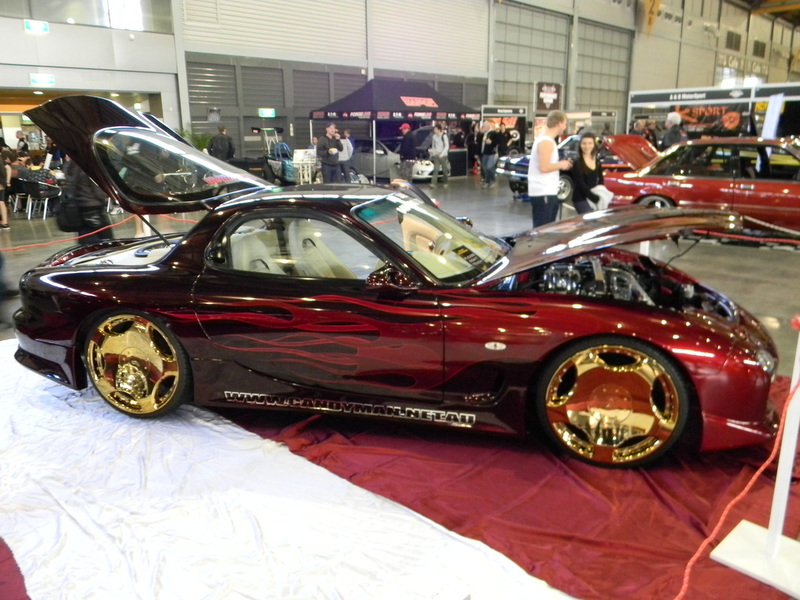 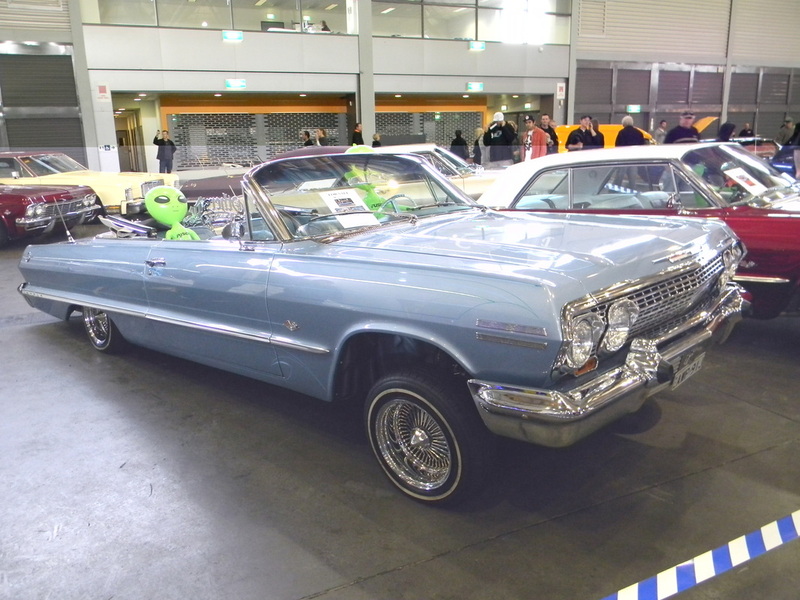 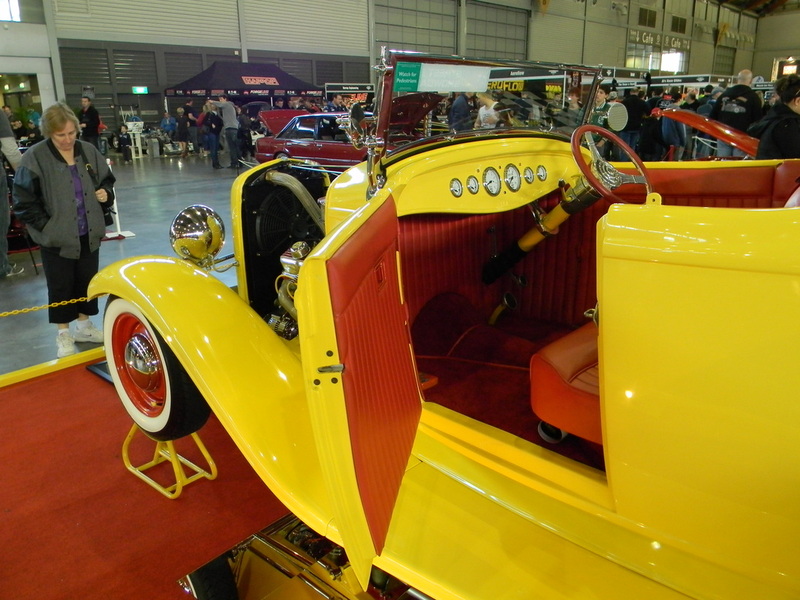 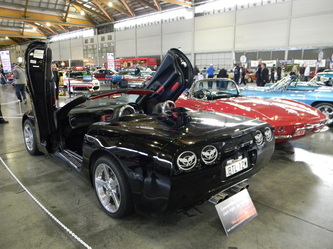 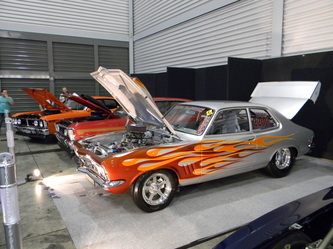 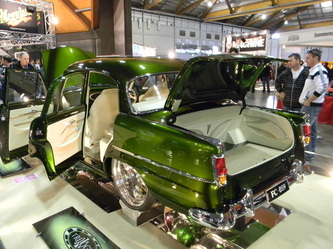 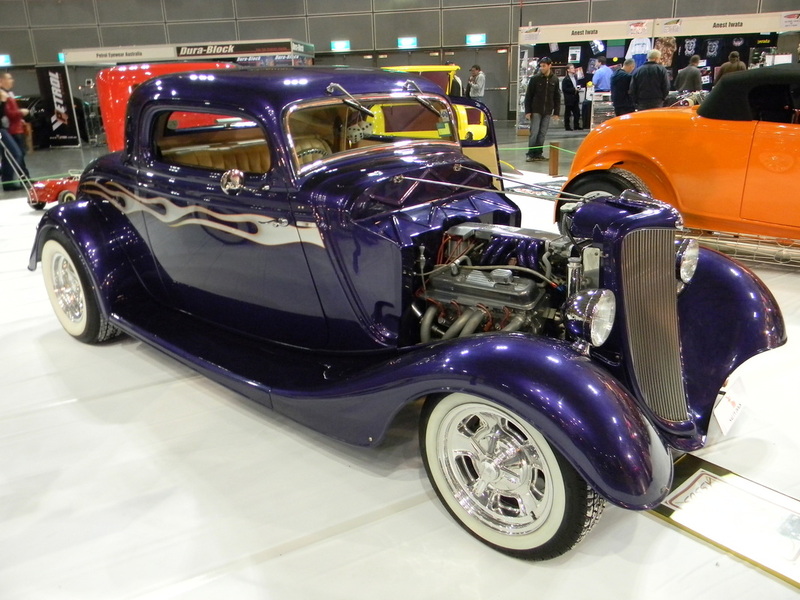 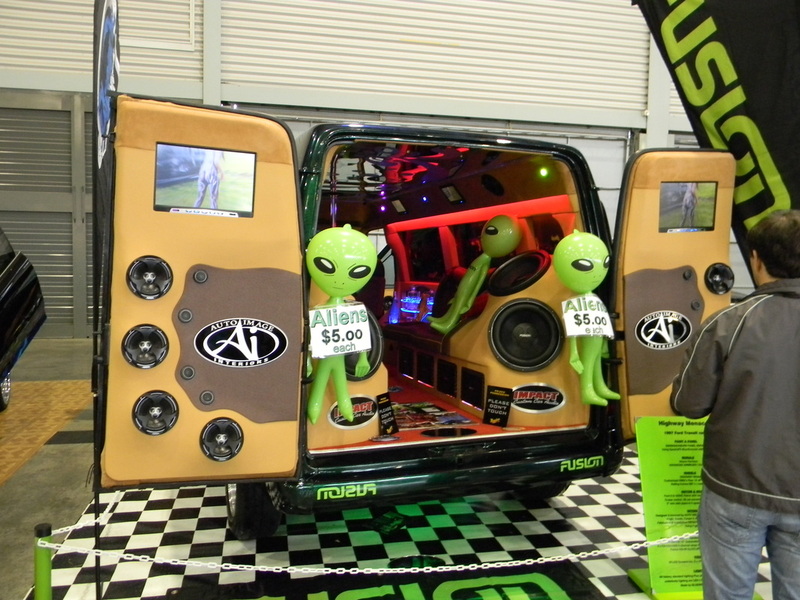 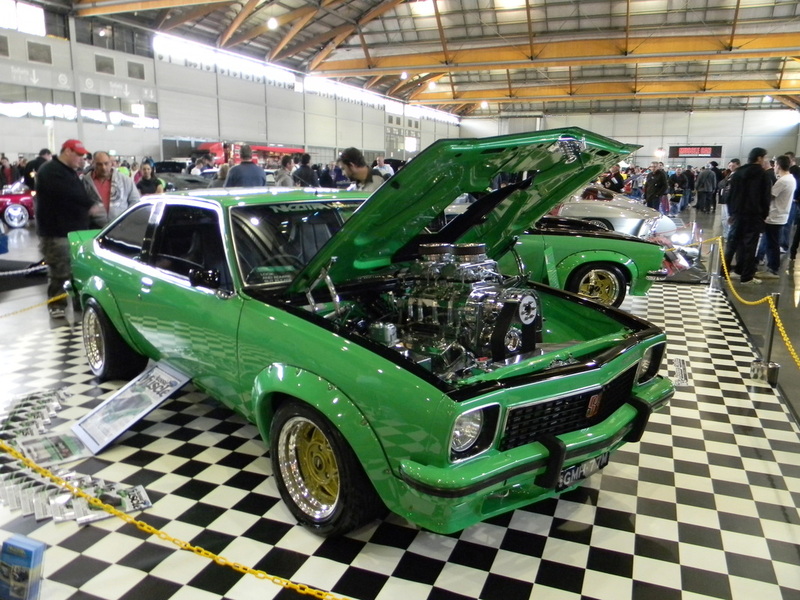 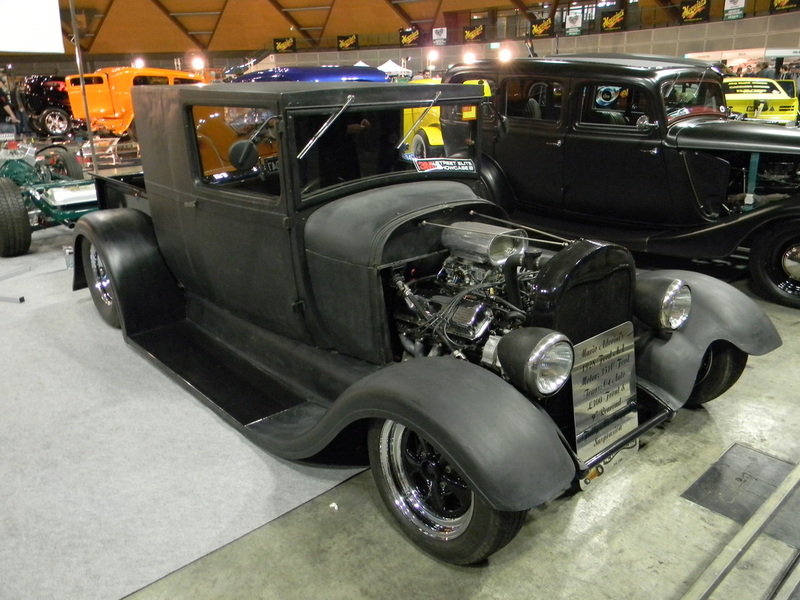 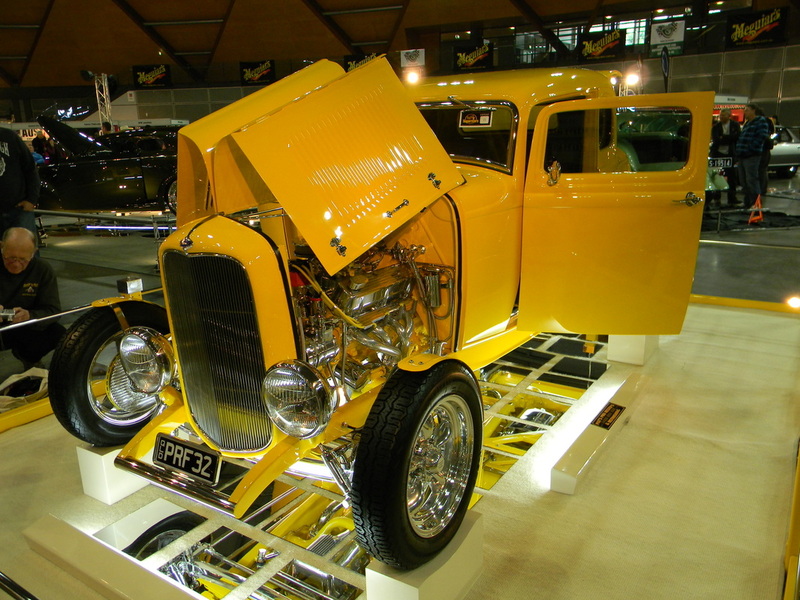 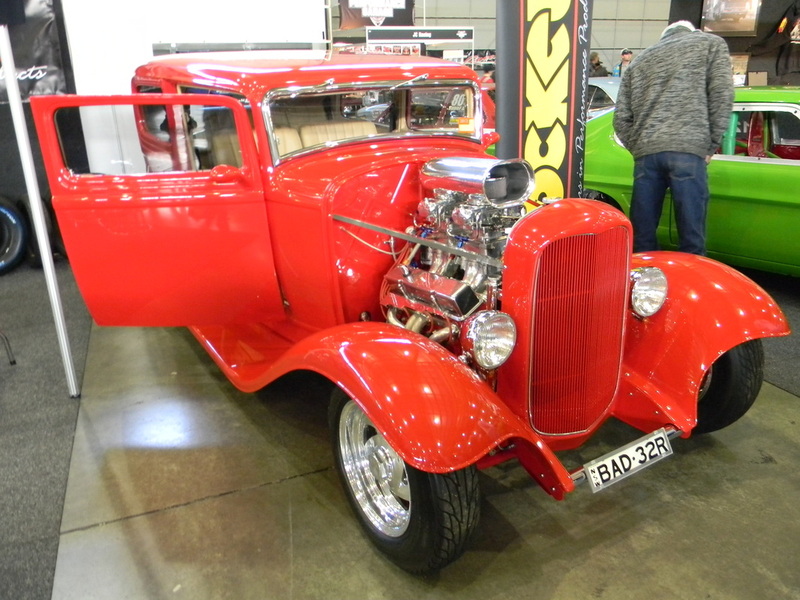 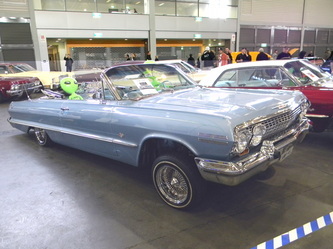 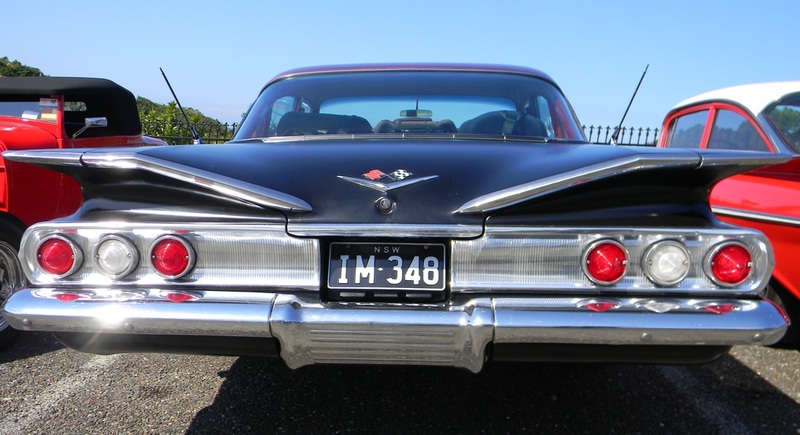 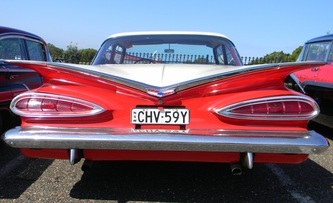 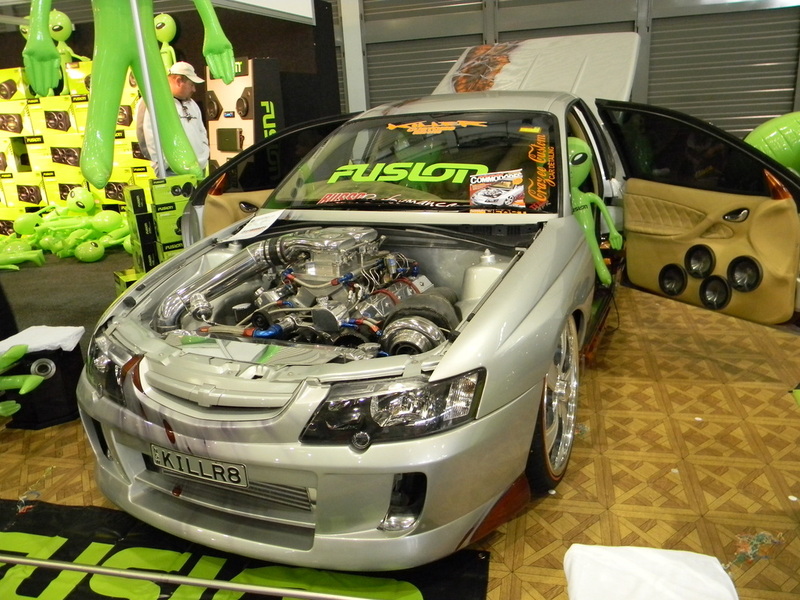 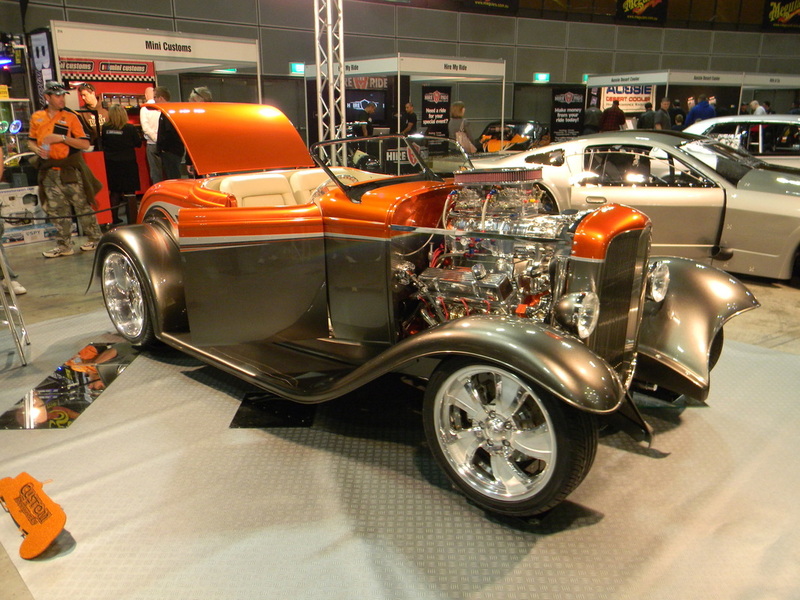 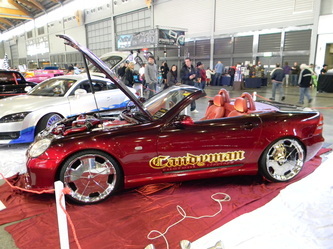 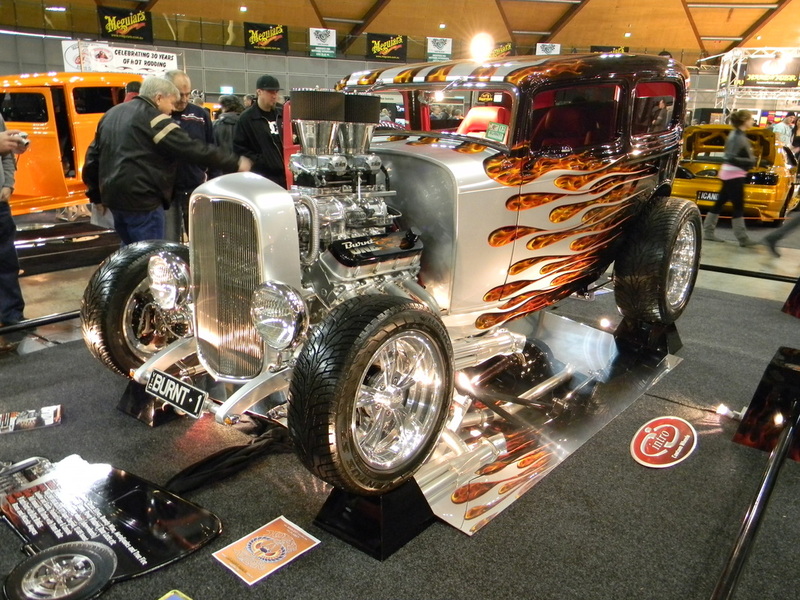 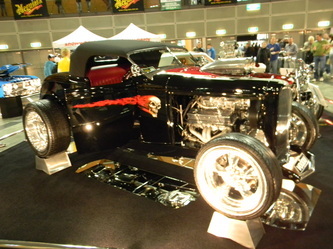 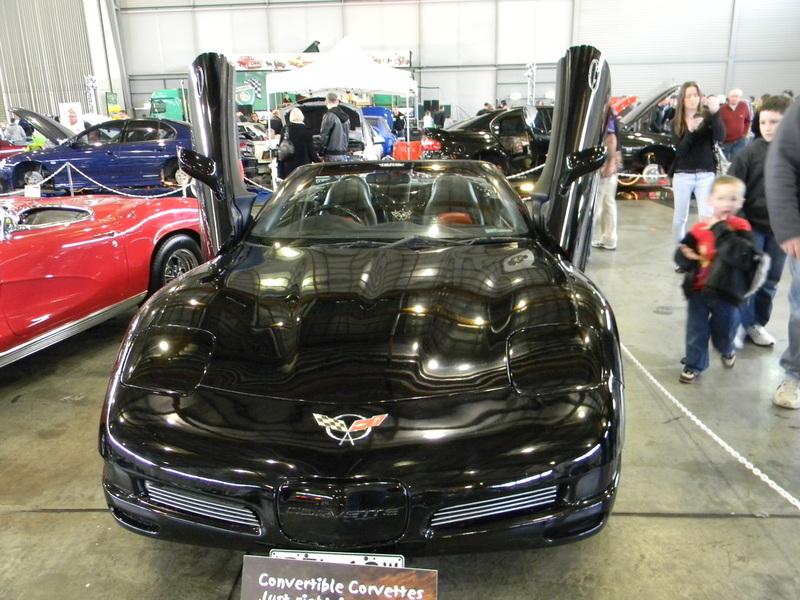 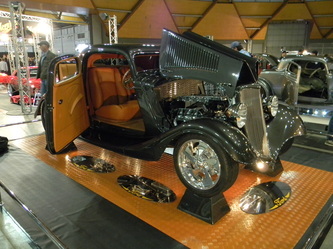 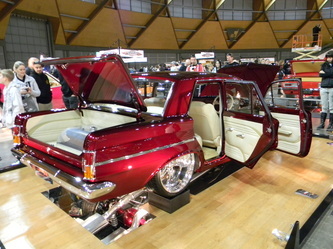 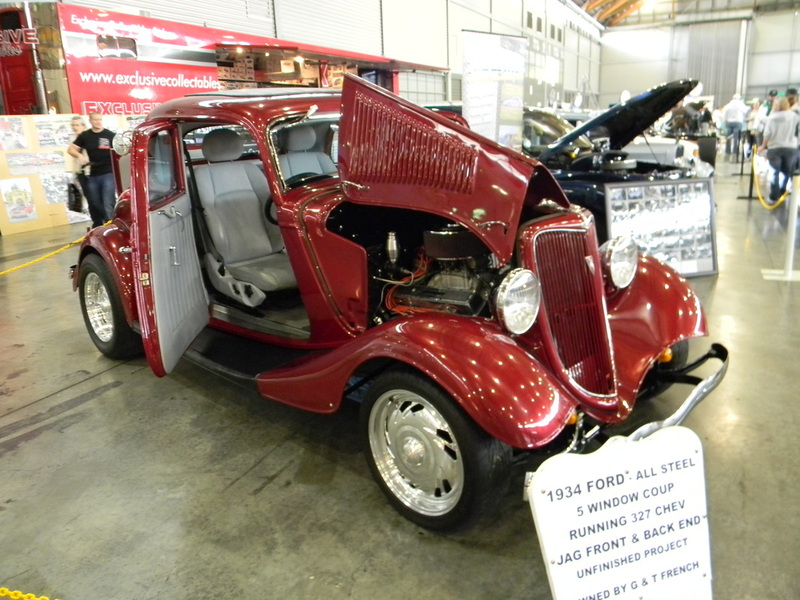 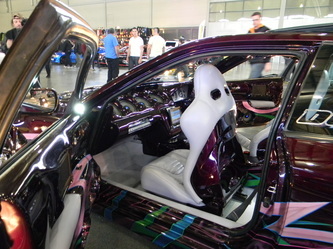 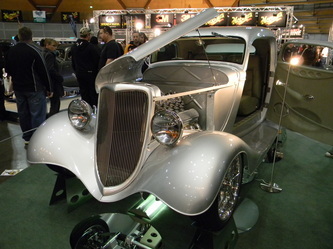 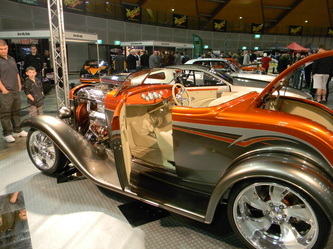 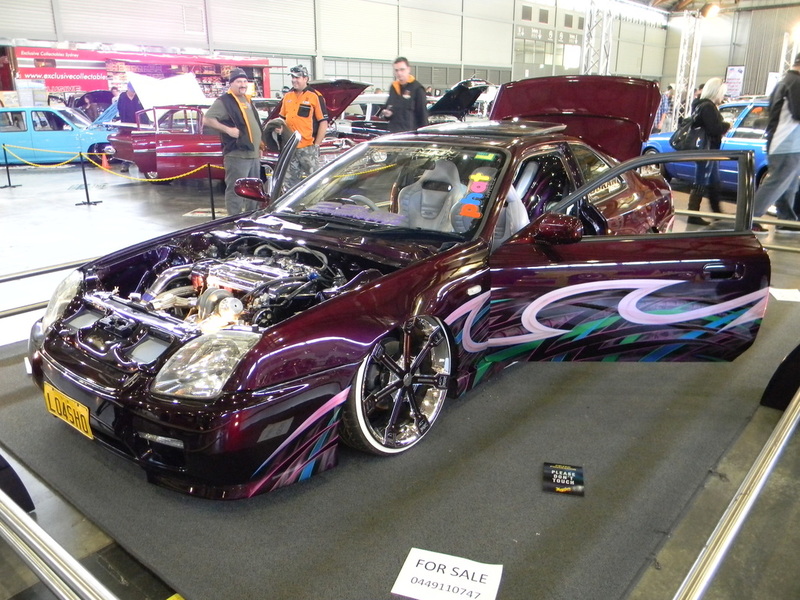 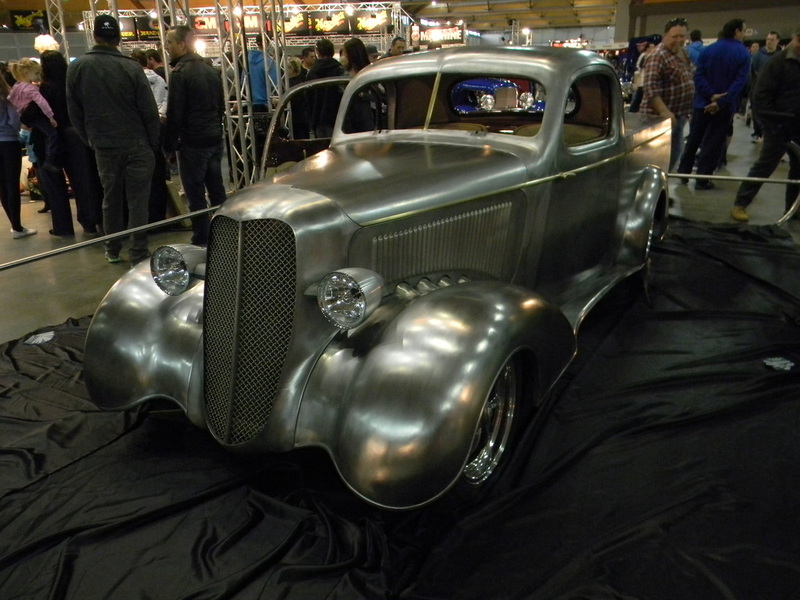 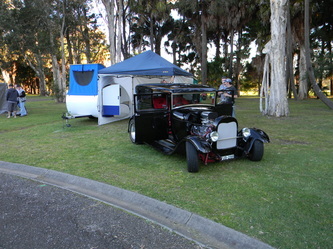 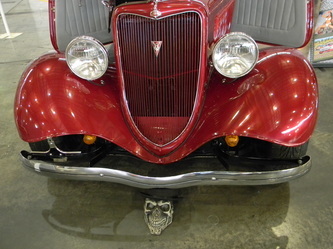 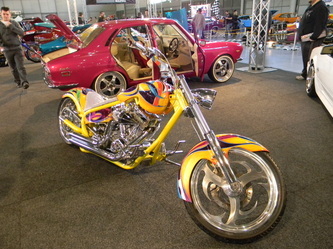 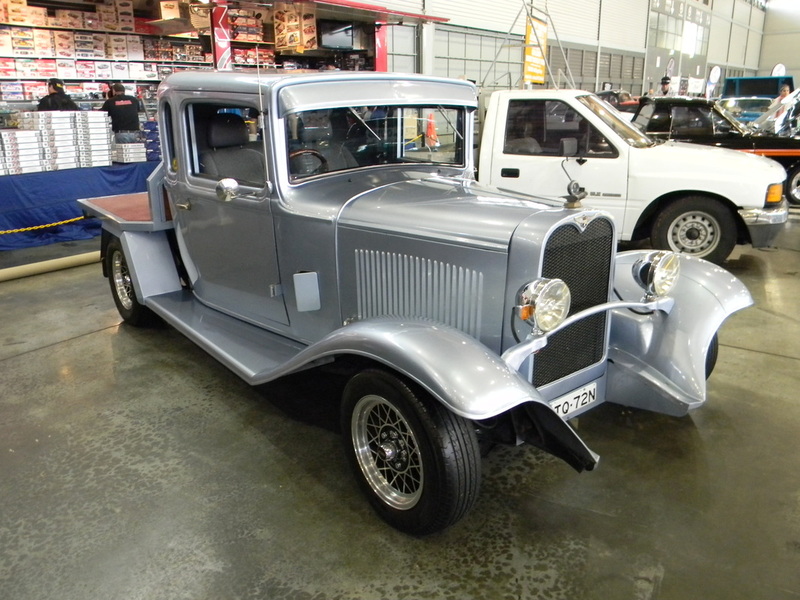 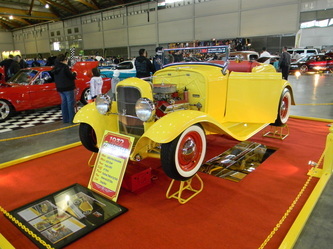 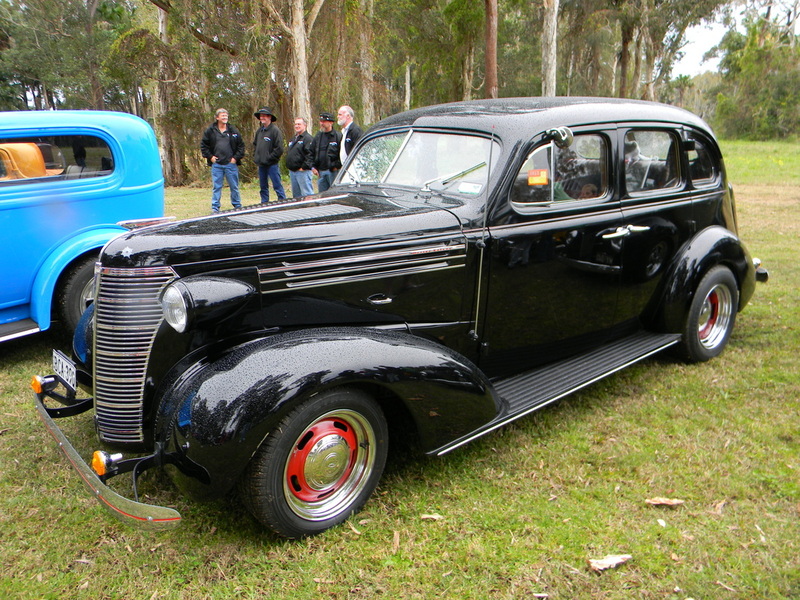 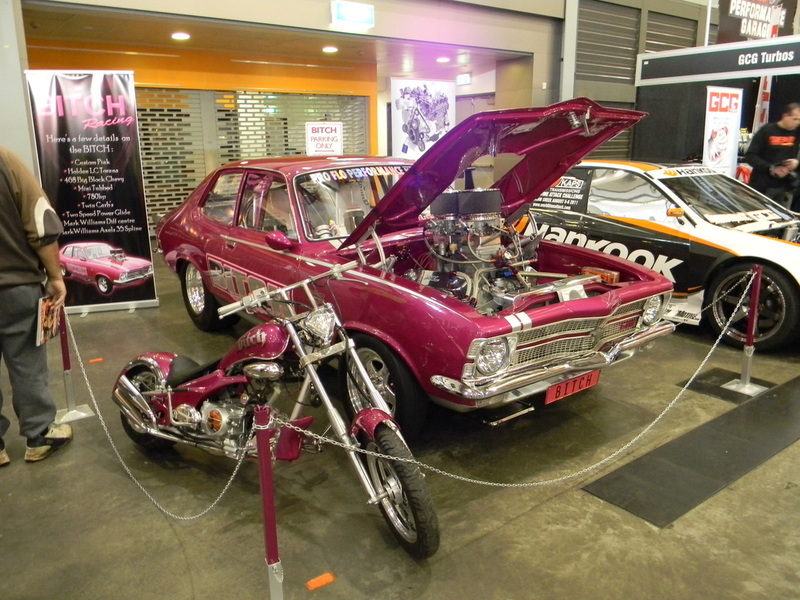 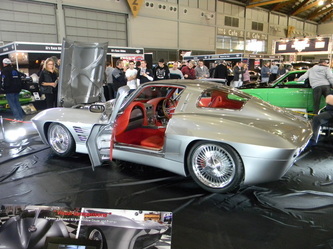 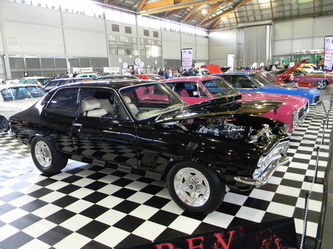 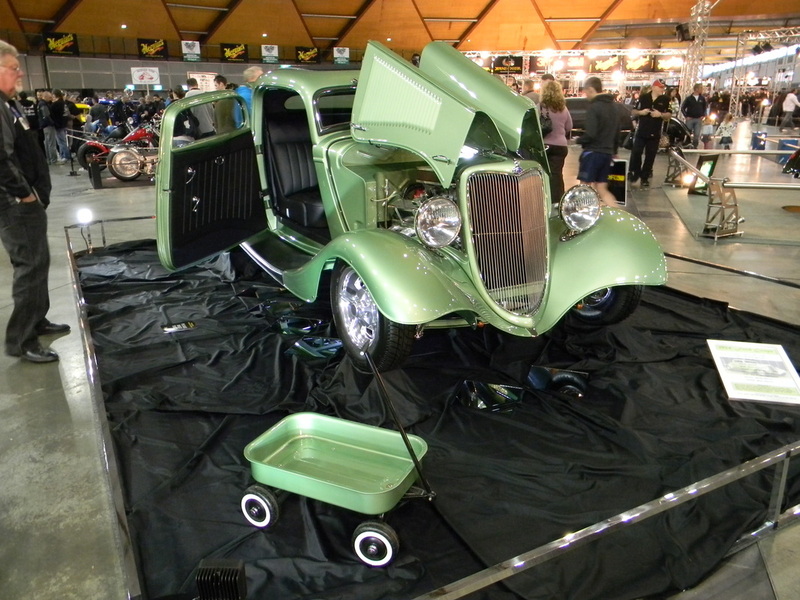 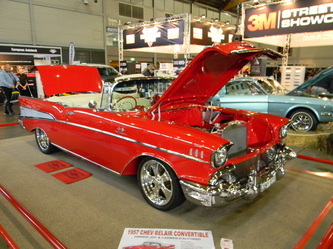 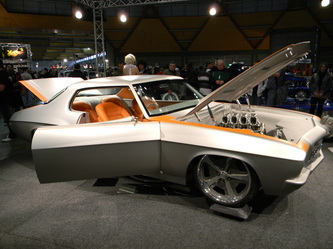 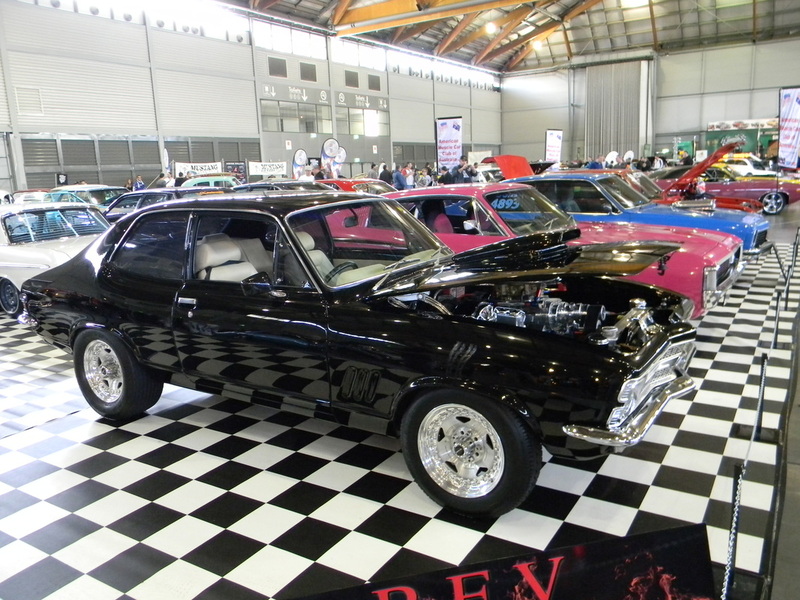 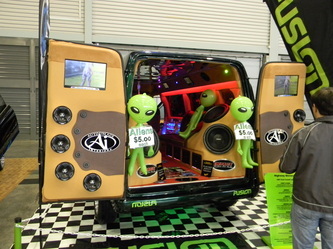 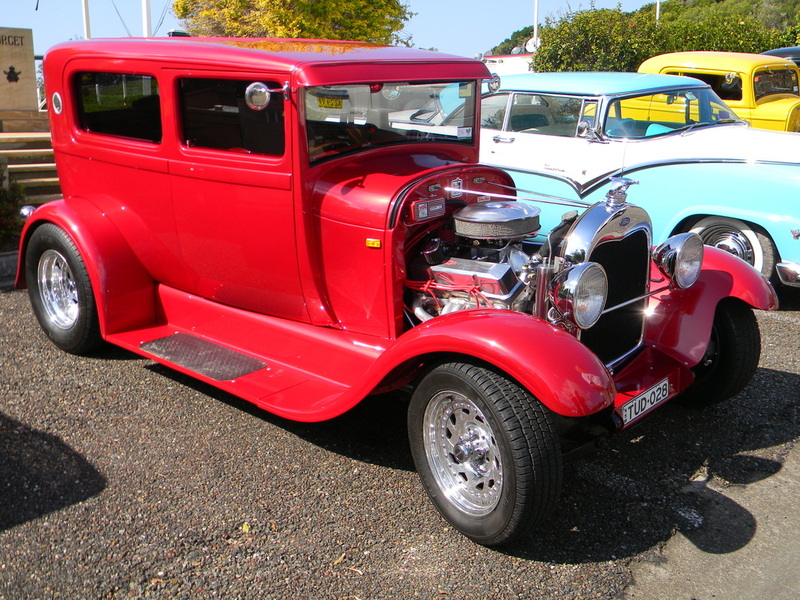 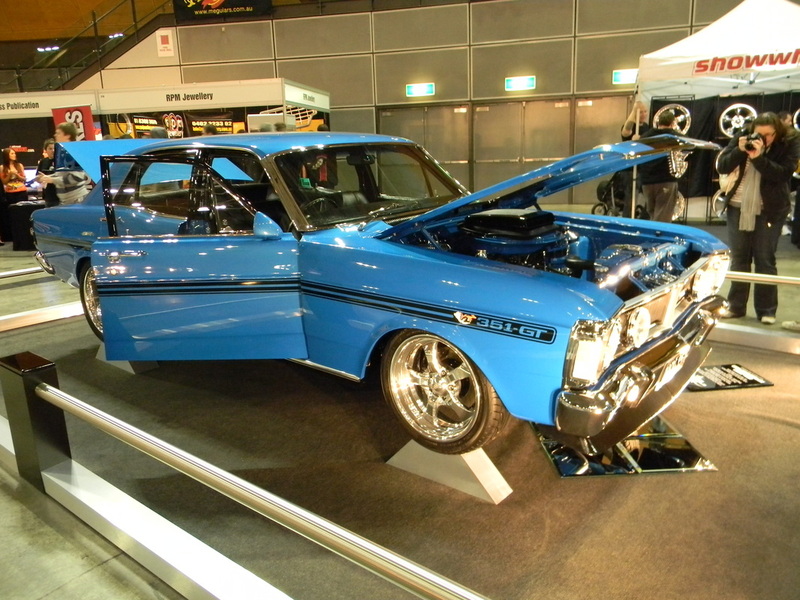 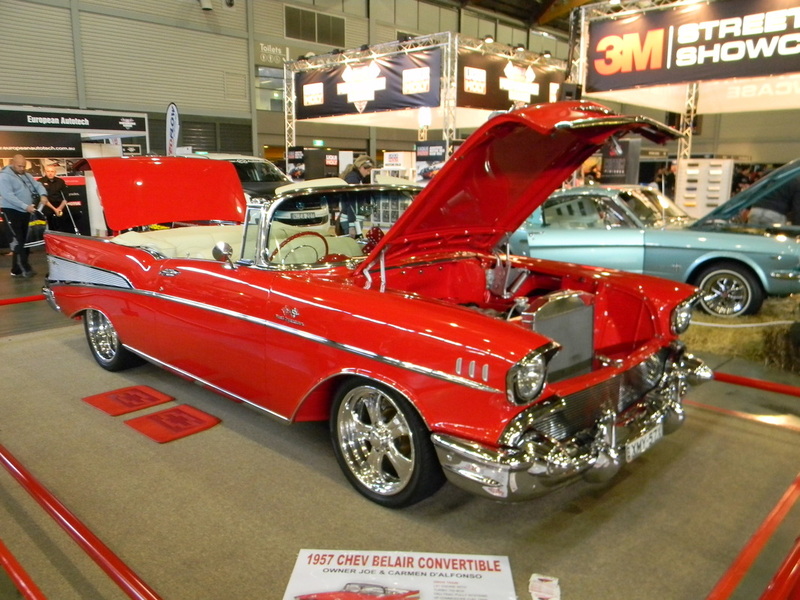 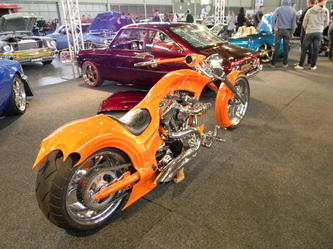 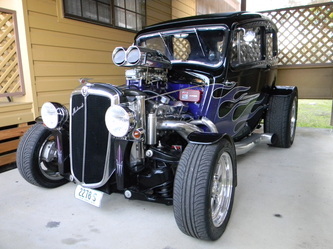 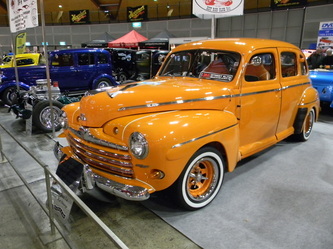 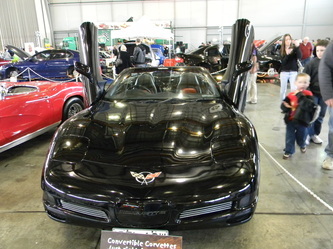 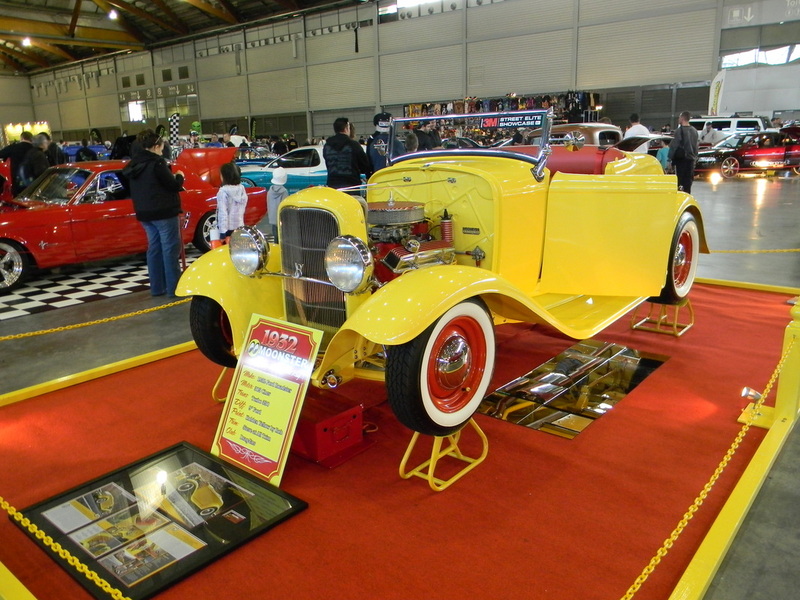 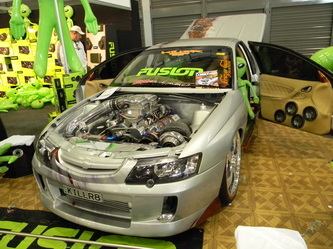 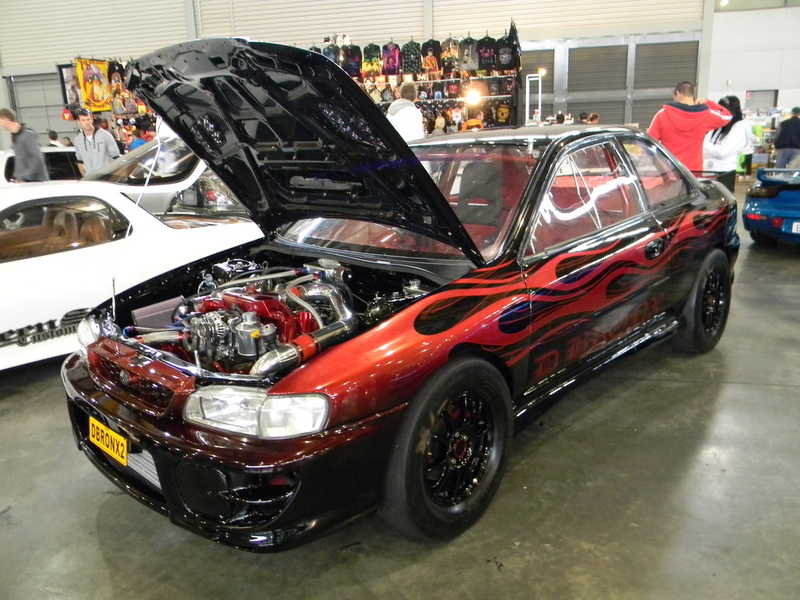 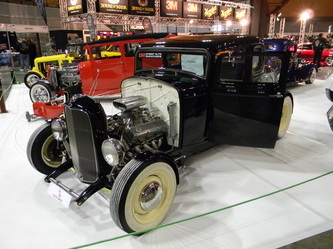 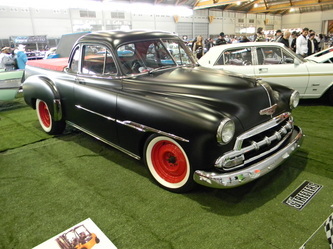 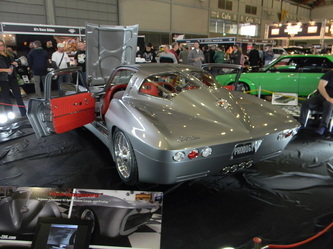 It is also a good place to have a car show as along with catching up with friends there are shops to visit and a food court to have some lunch. The organizers had plenty of raffle prizes and a good variety of trophies with all the proceeds of the event going to Camp Quality. 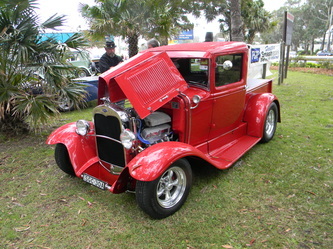 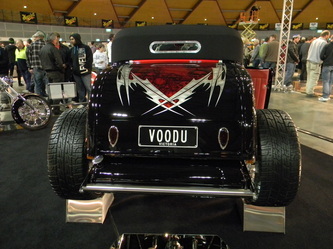 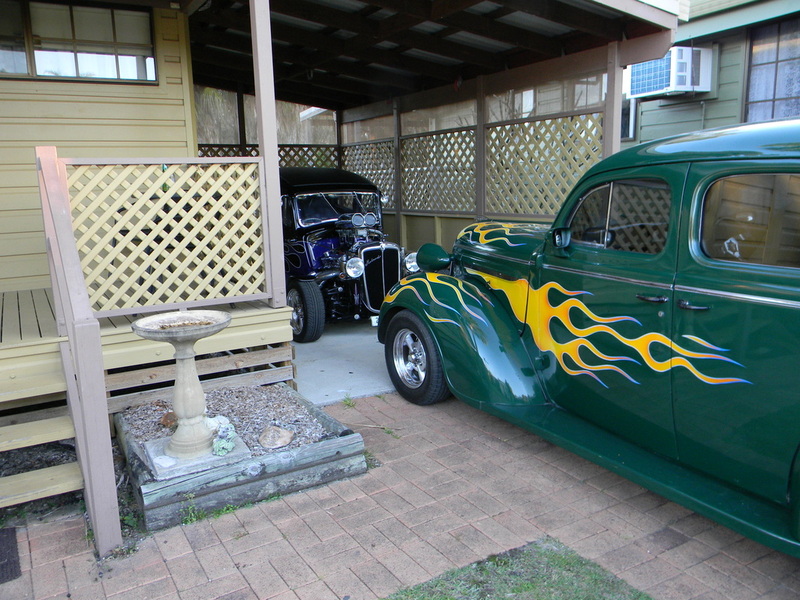 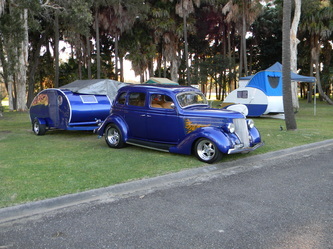 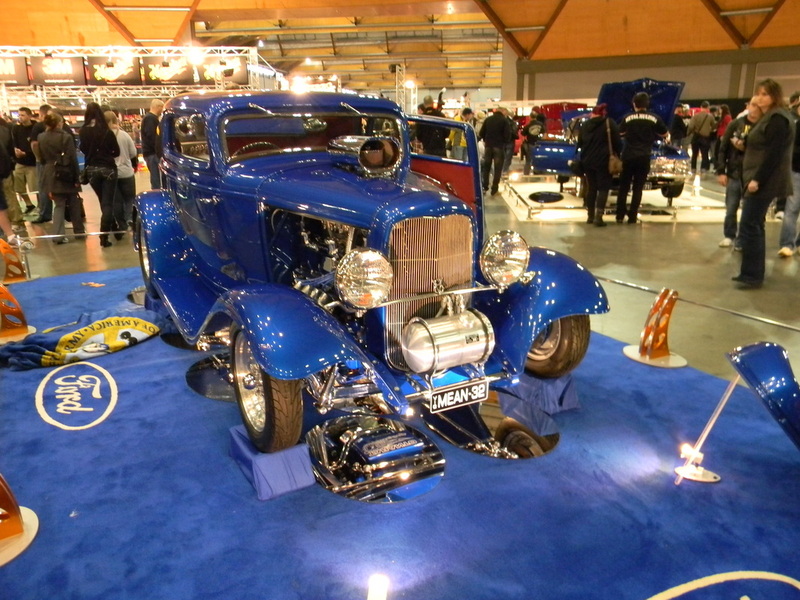 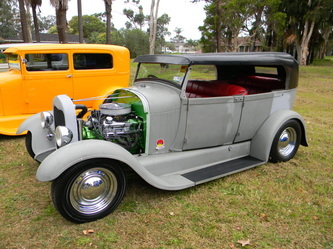 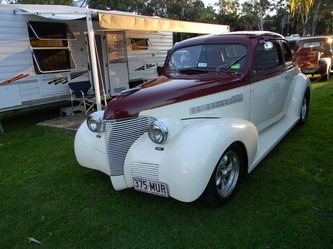 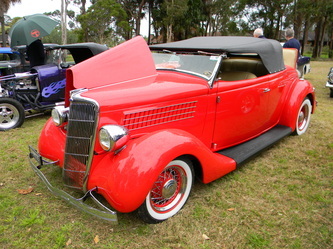 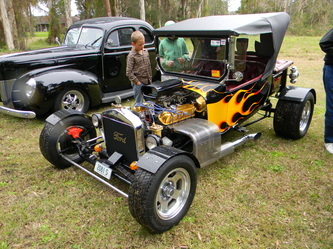 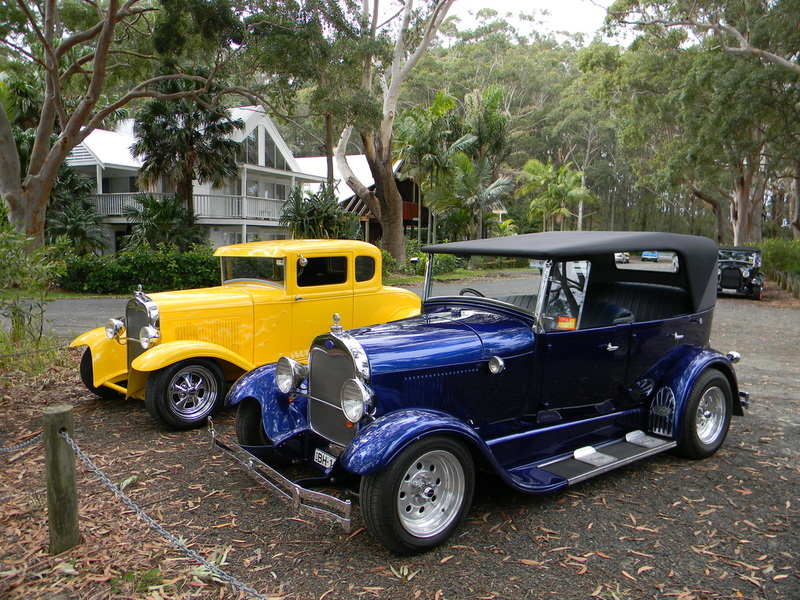 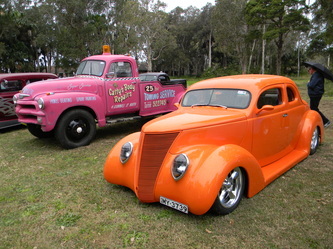 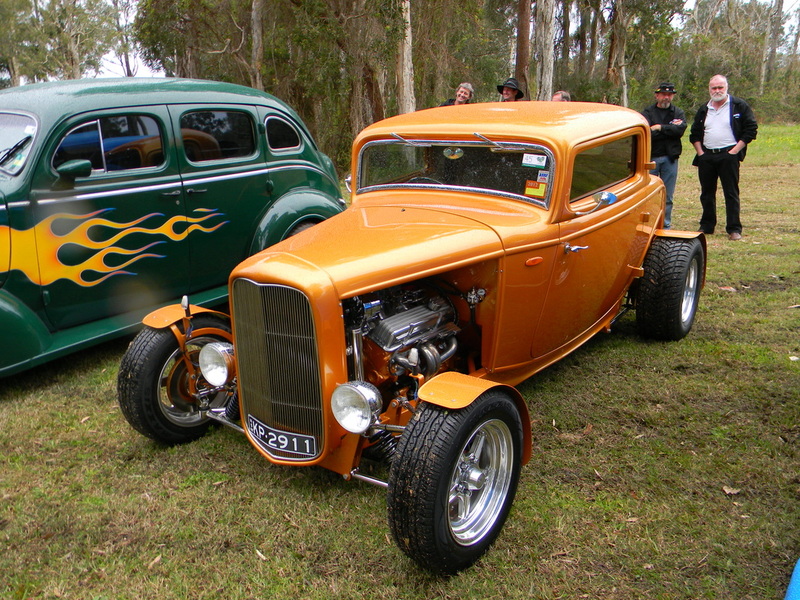 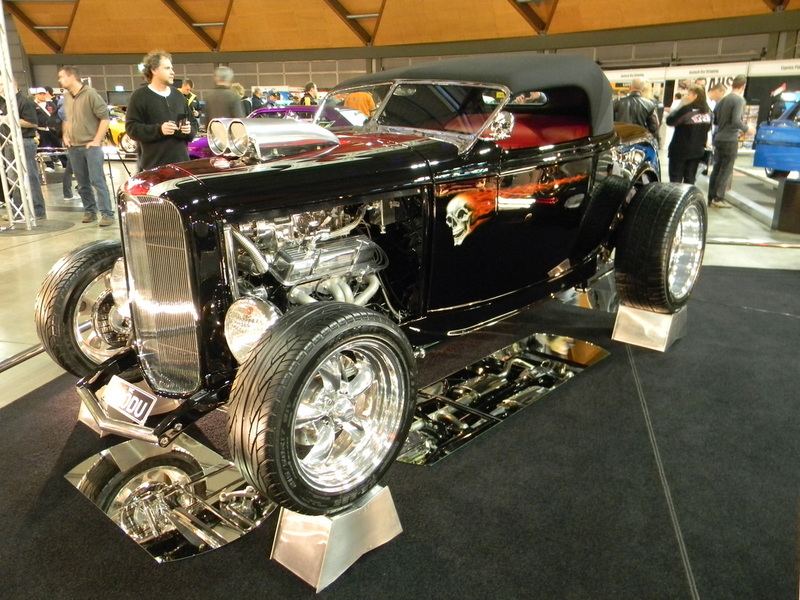 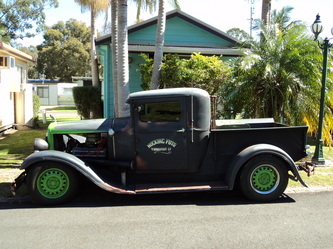 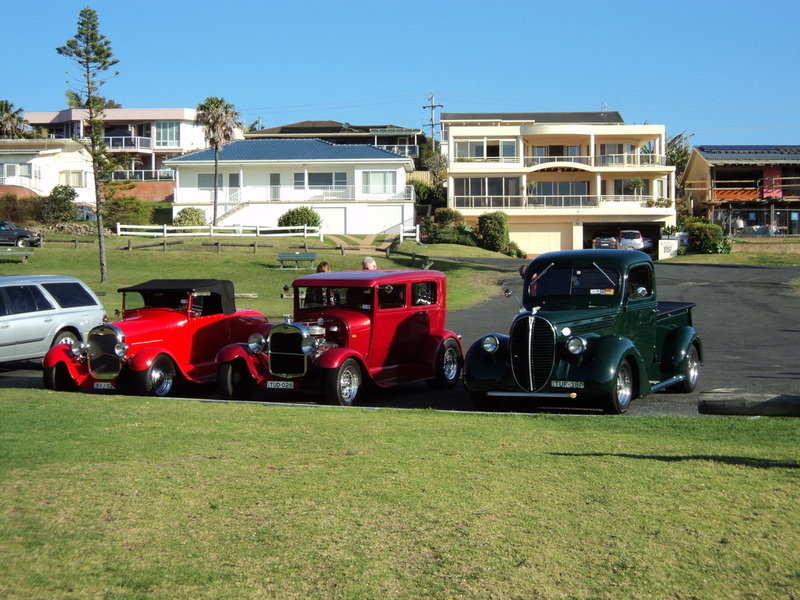 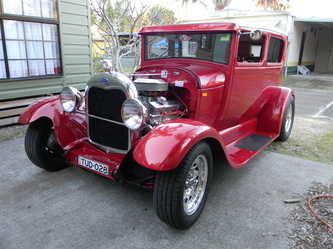 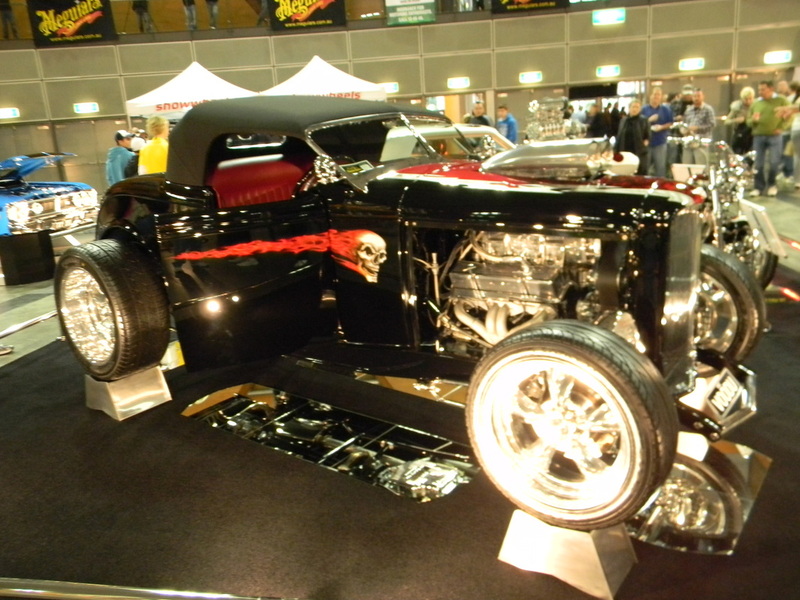 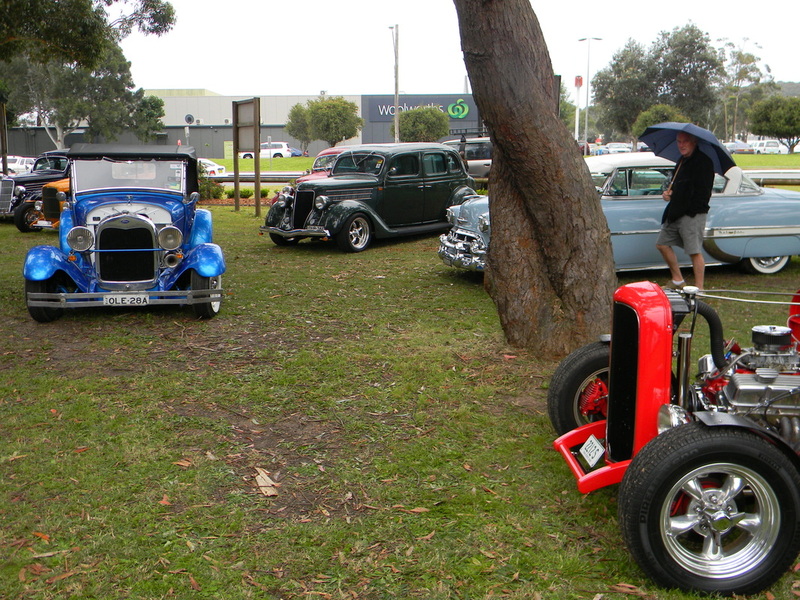 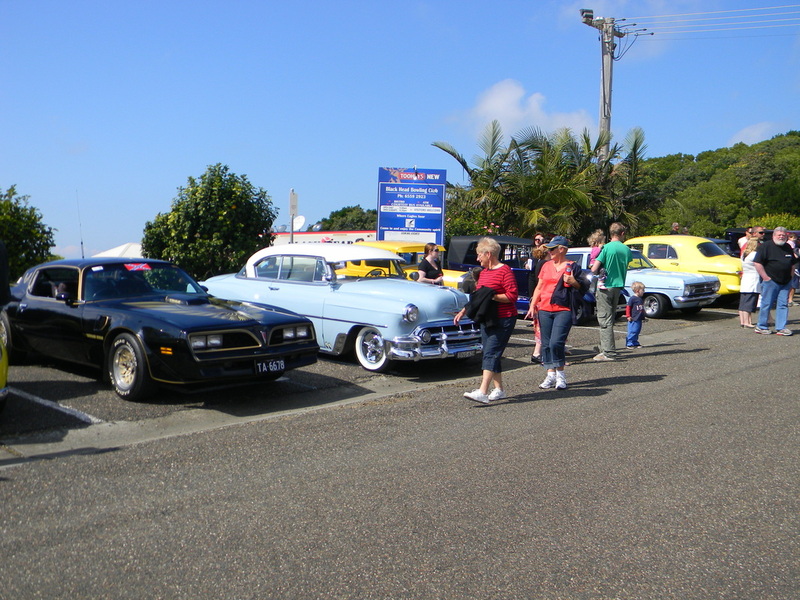 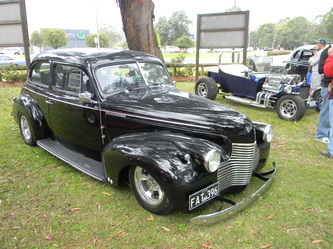 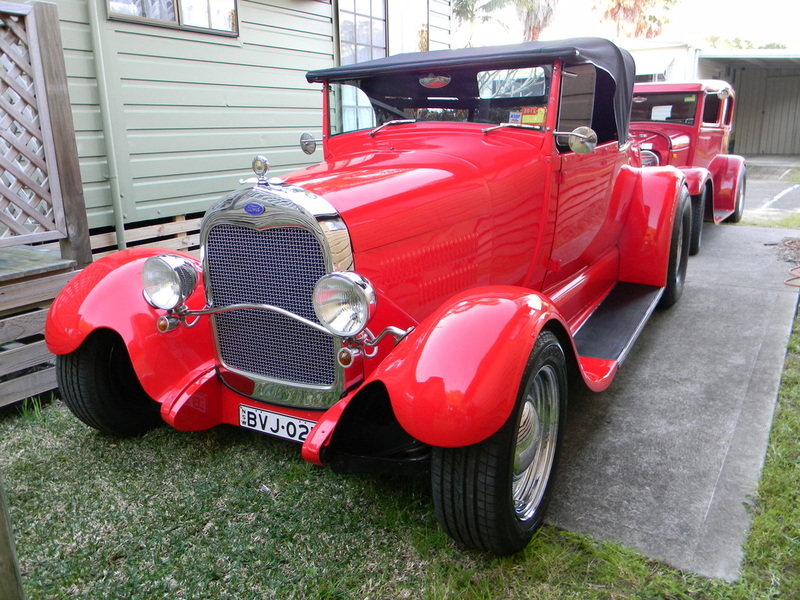 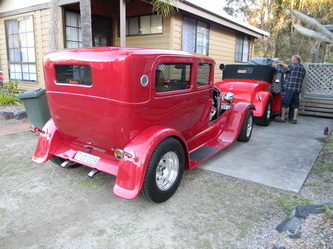 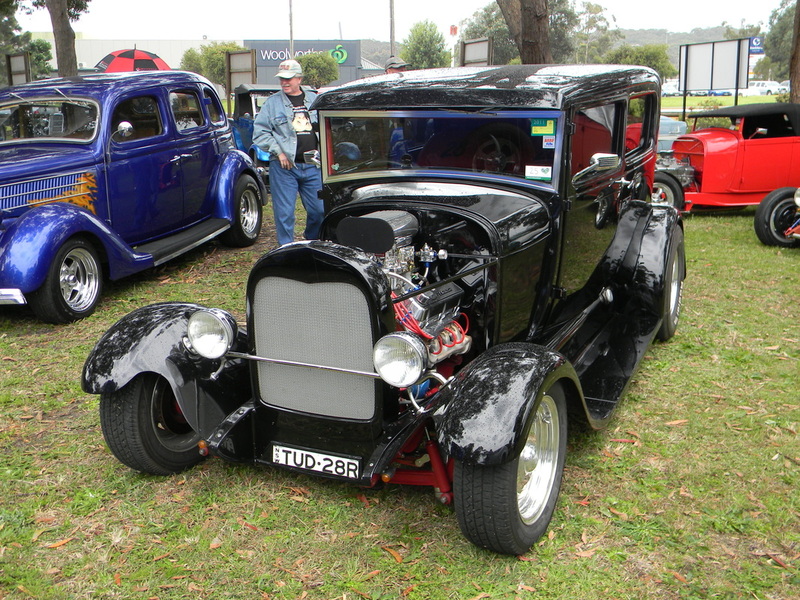 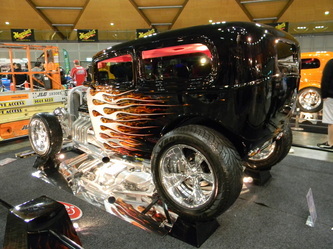 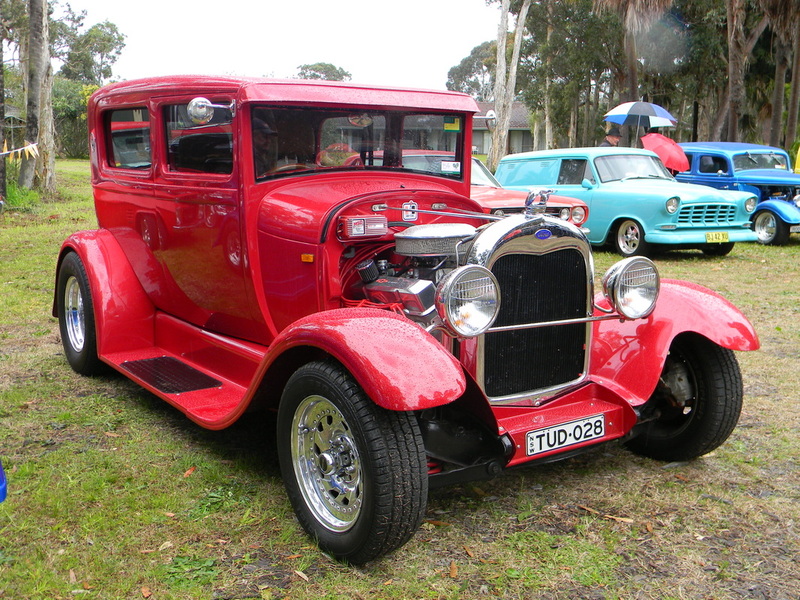 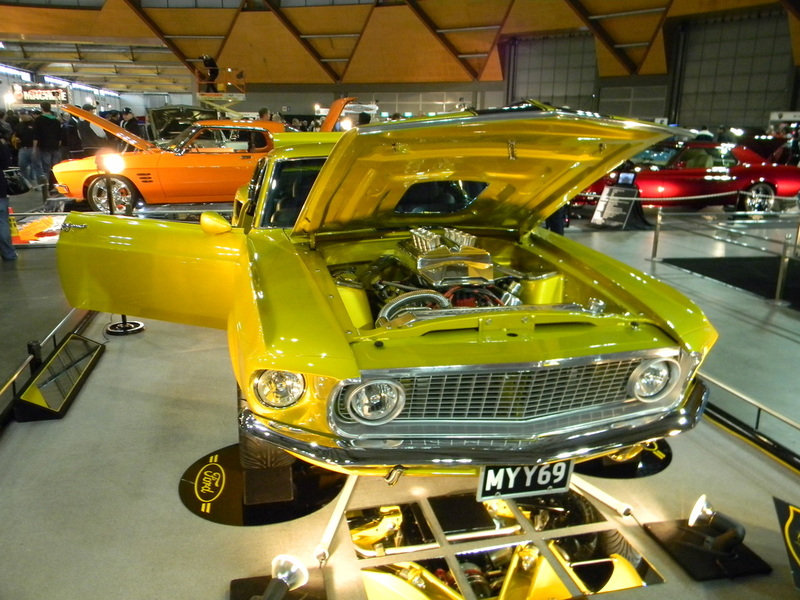 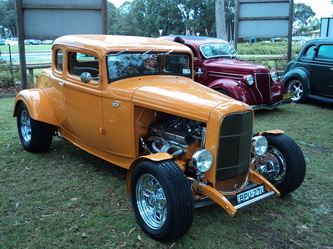 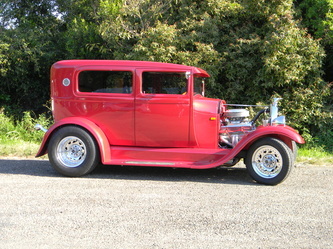 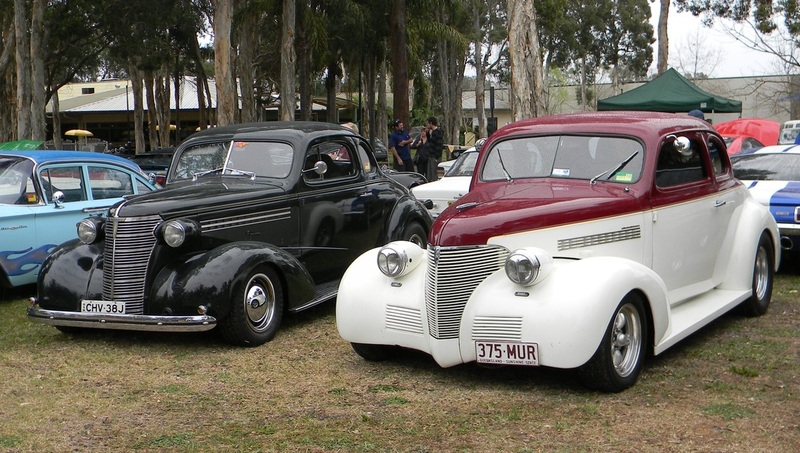 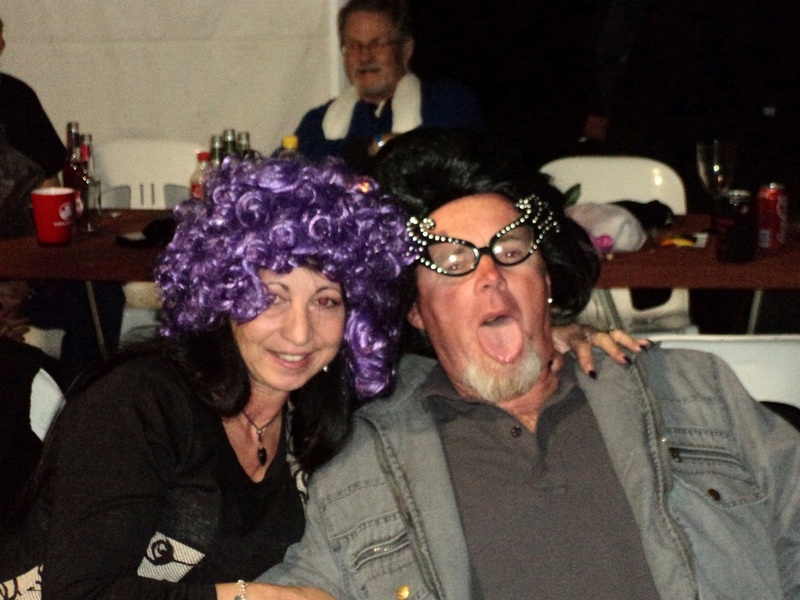 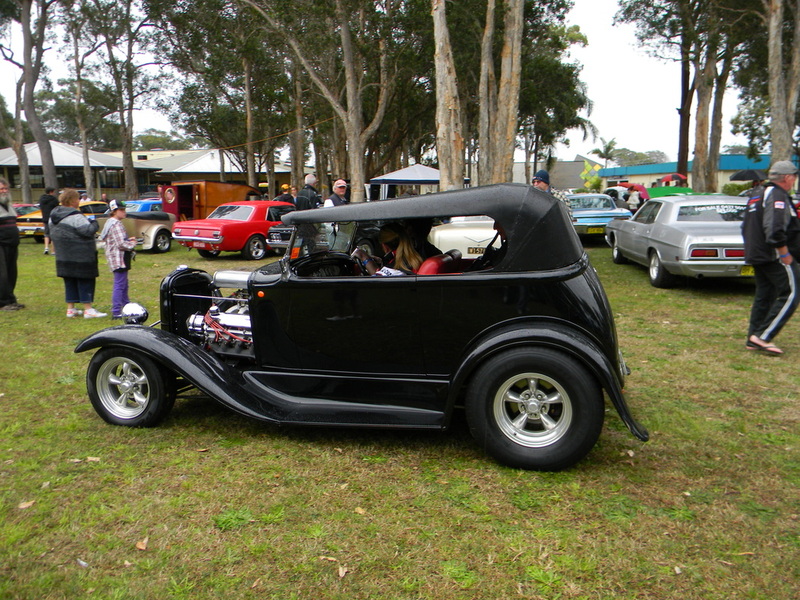 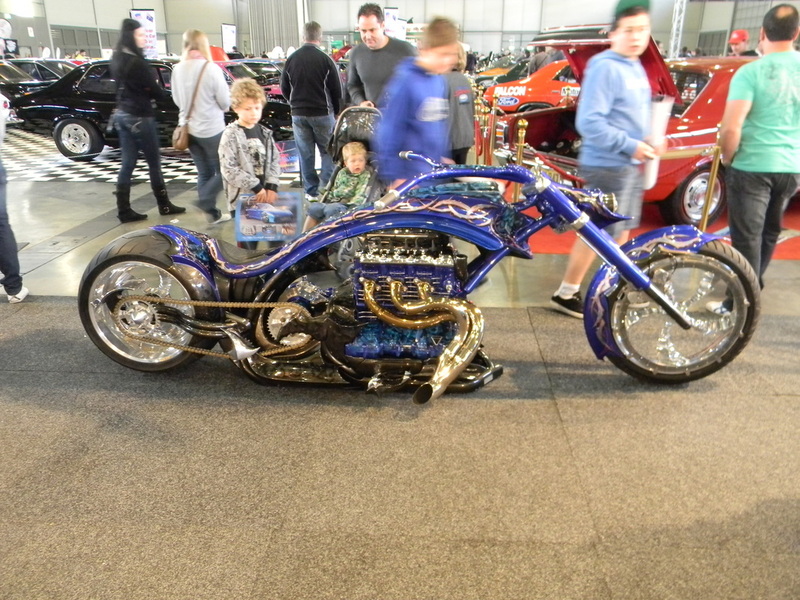 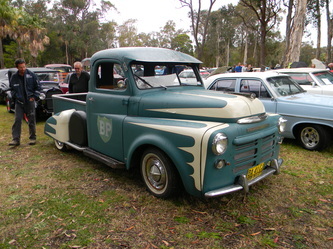 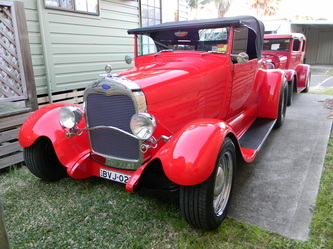 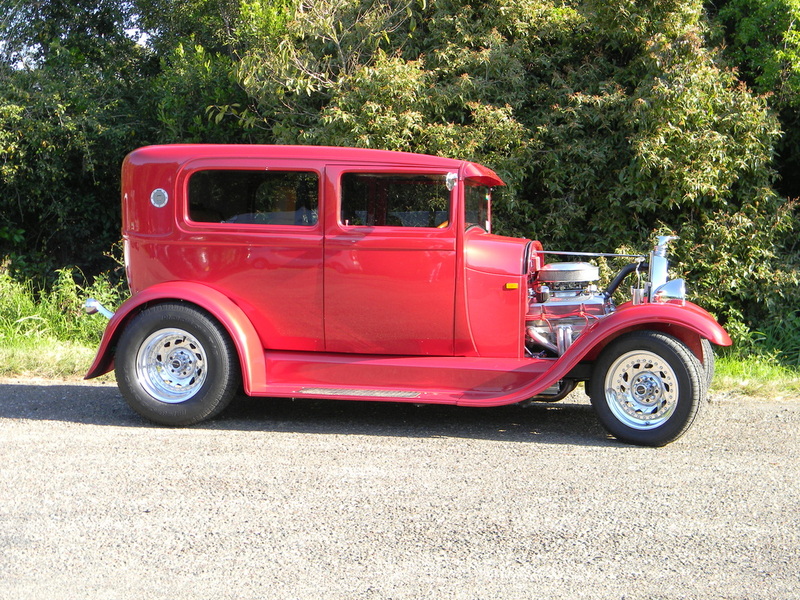 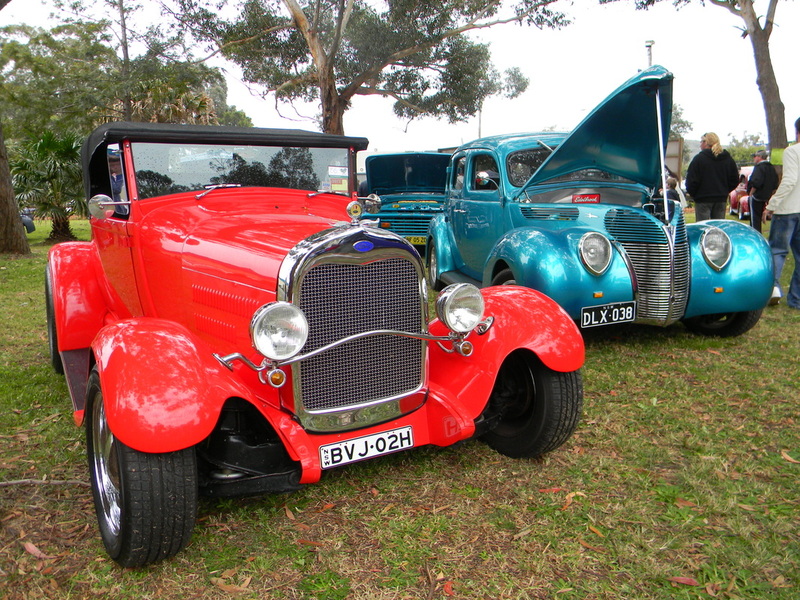 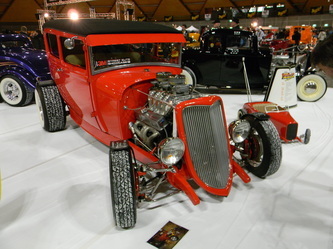 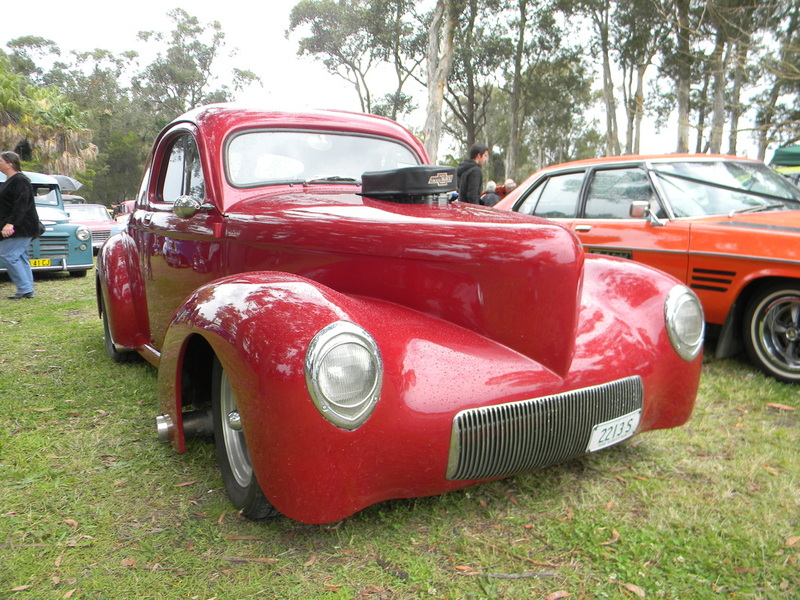 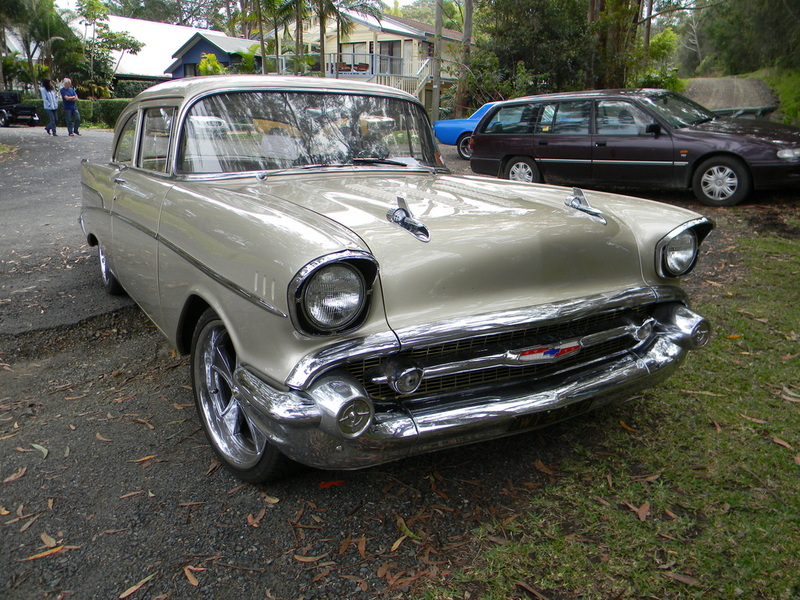 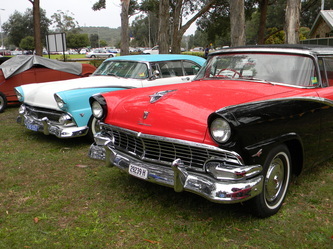 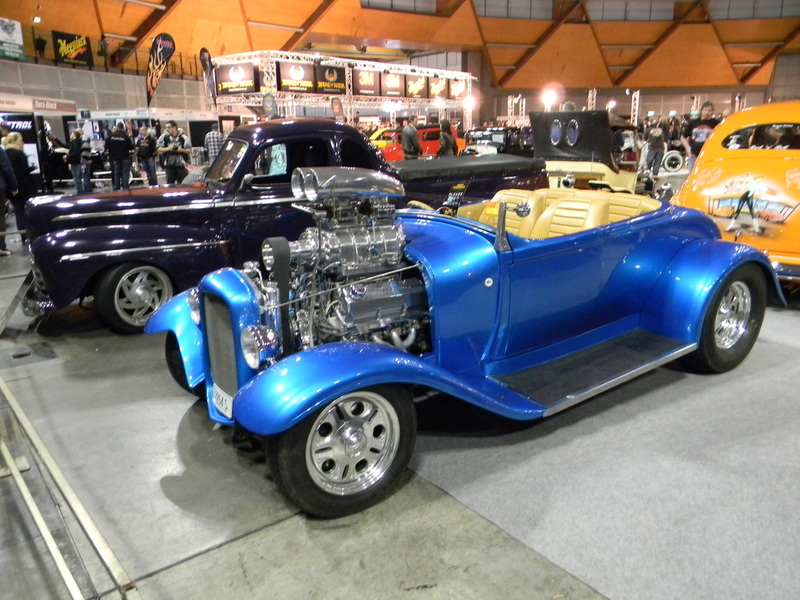 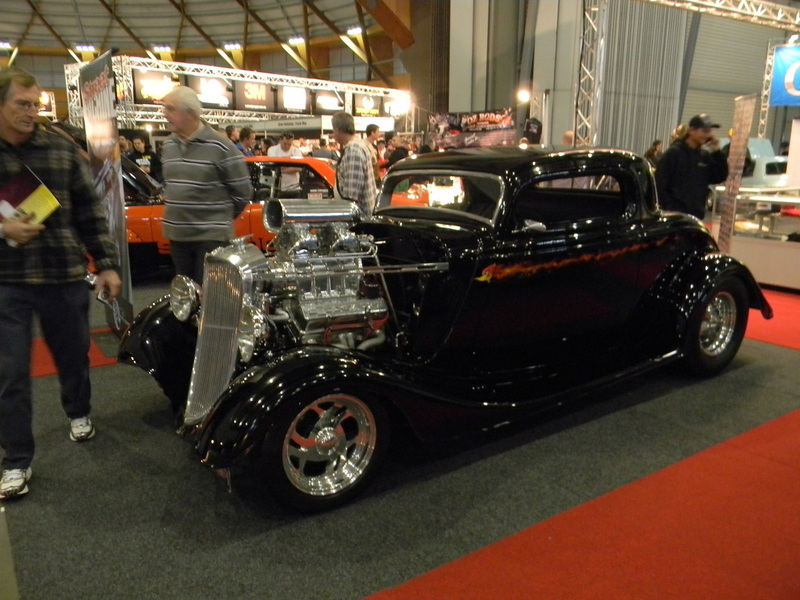 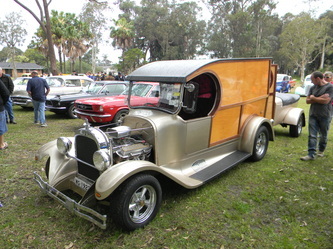 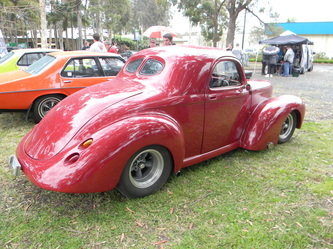 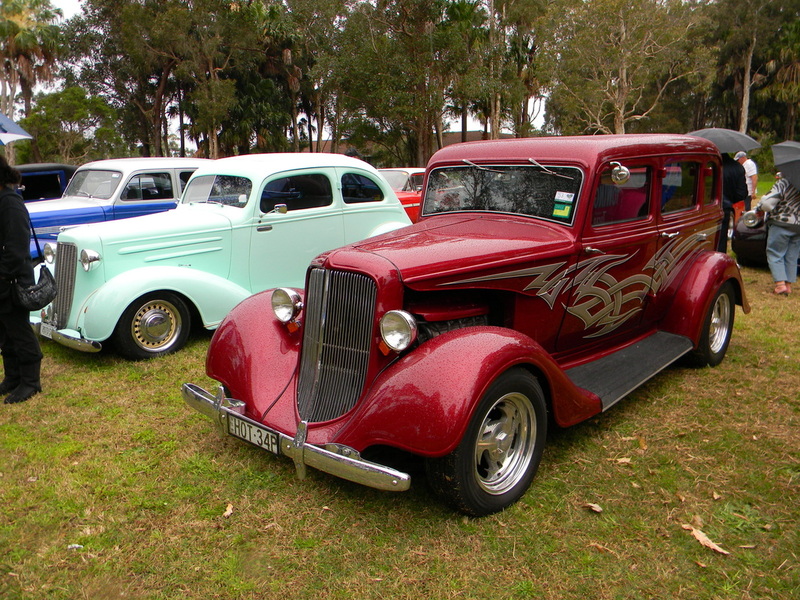 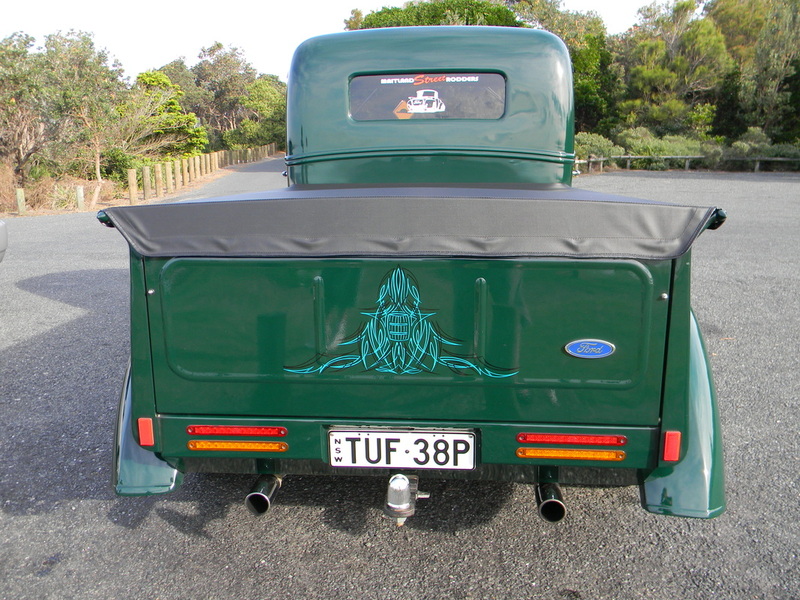 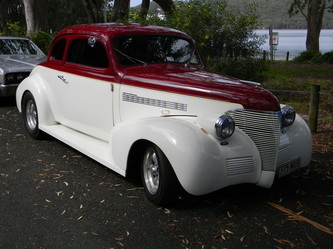 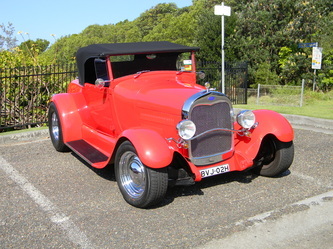 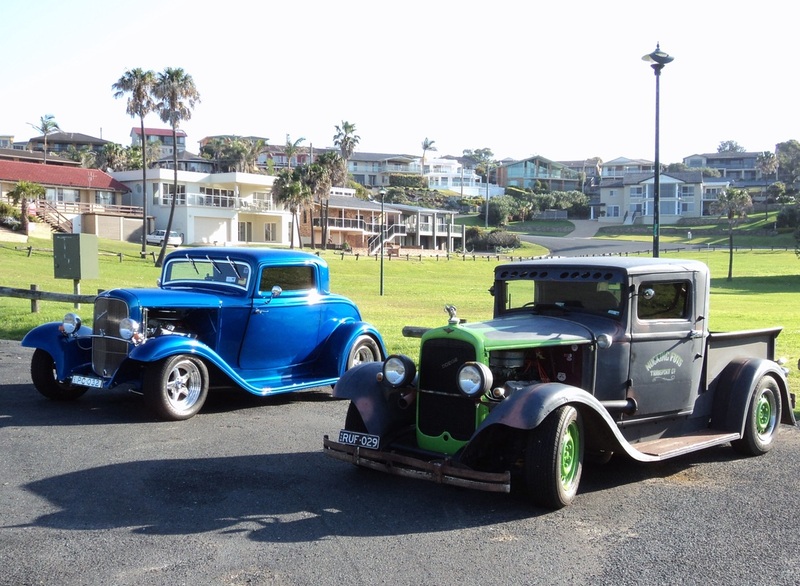 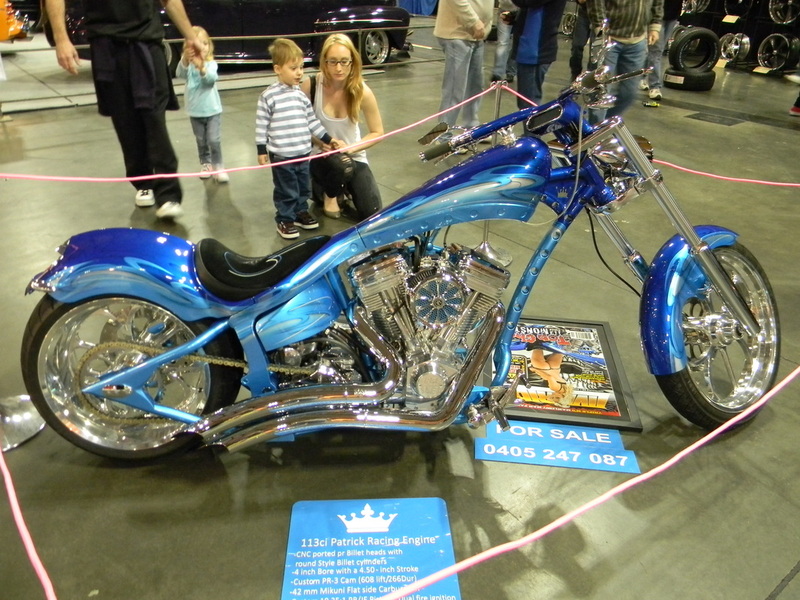 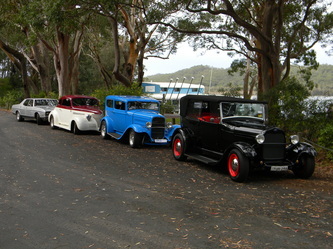 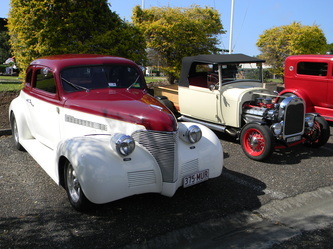 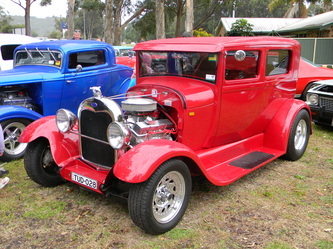 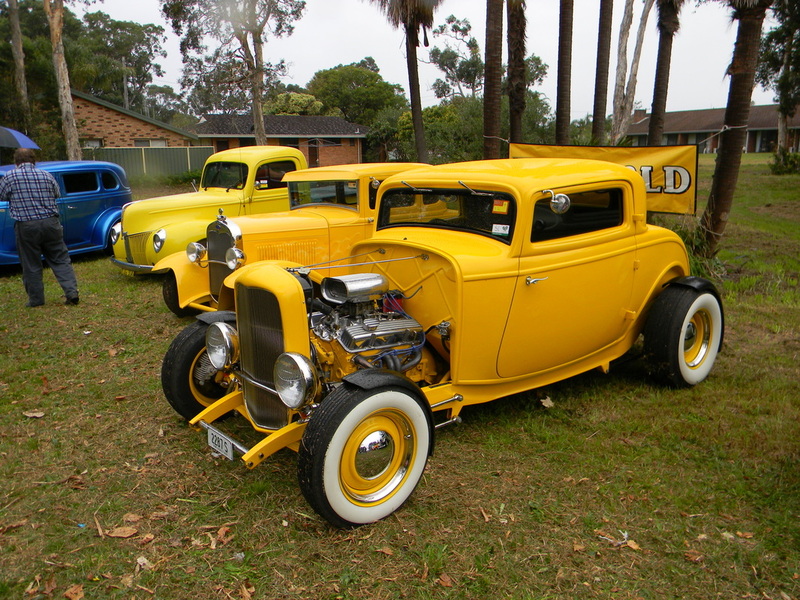 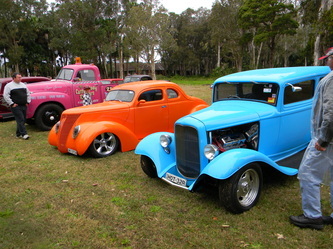 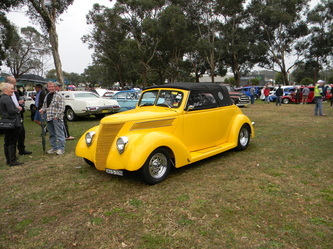 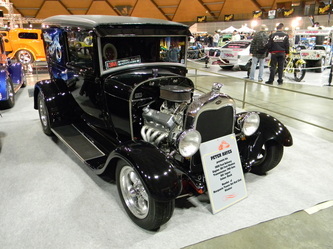 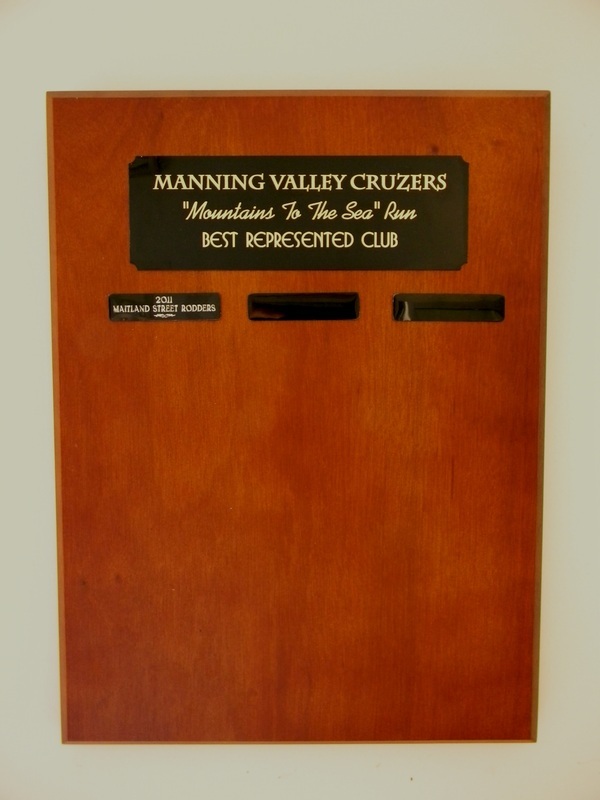 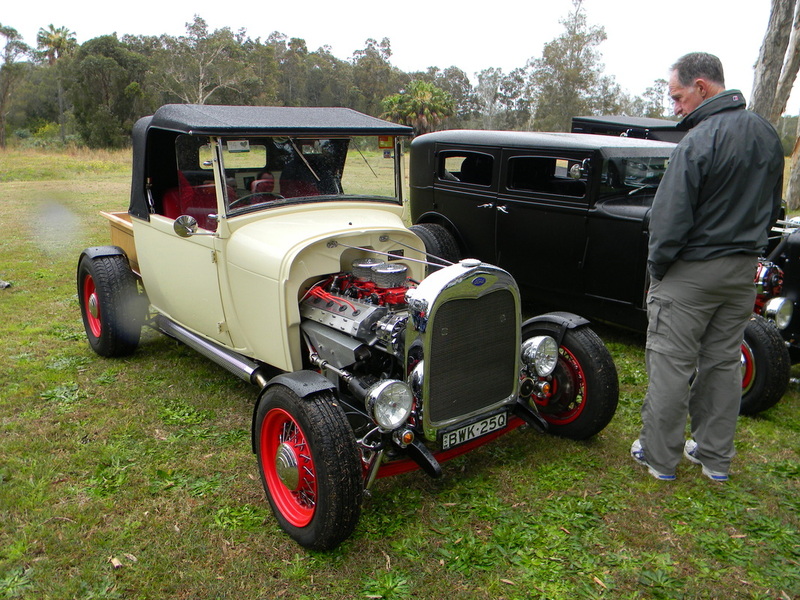 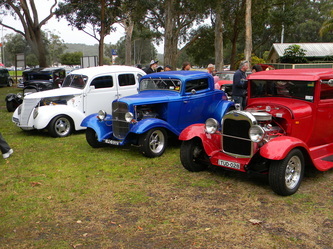 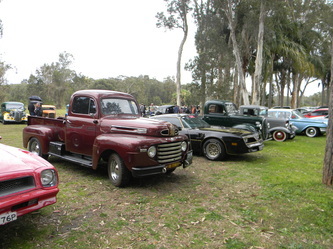 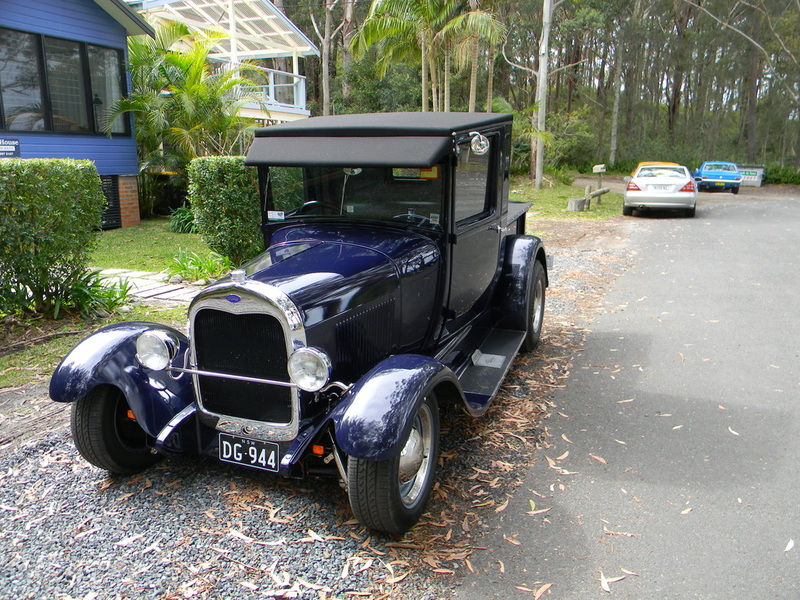 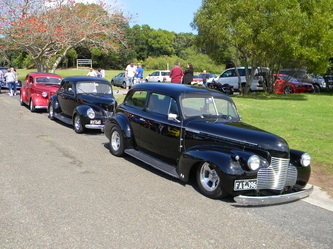 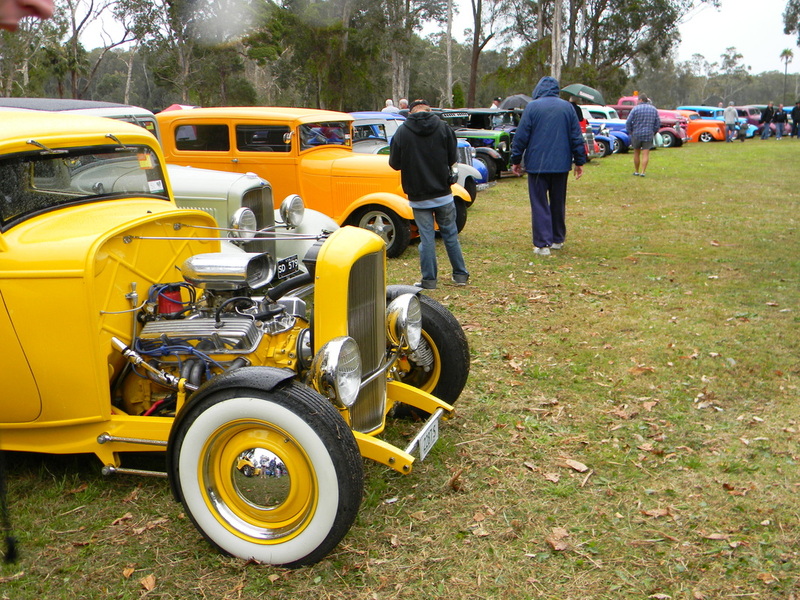 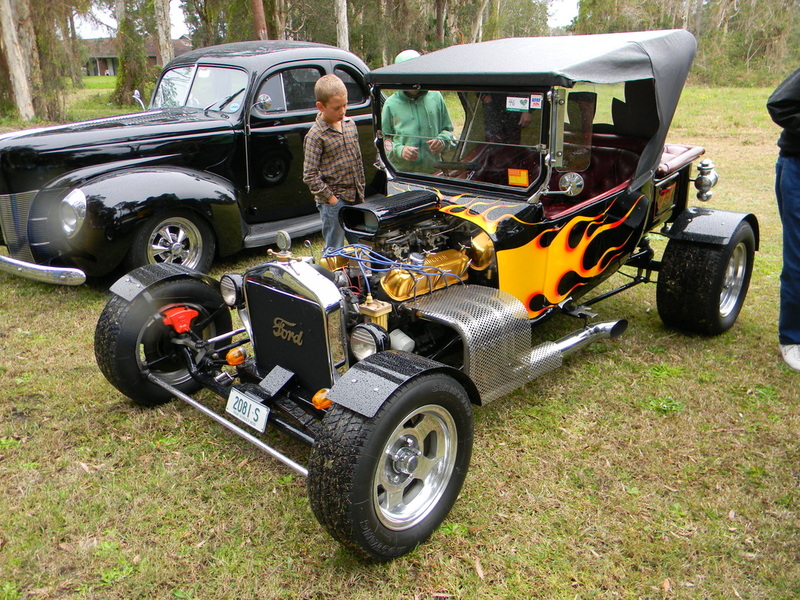 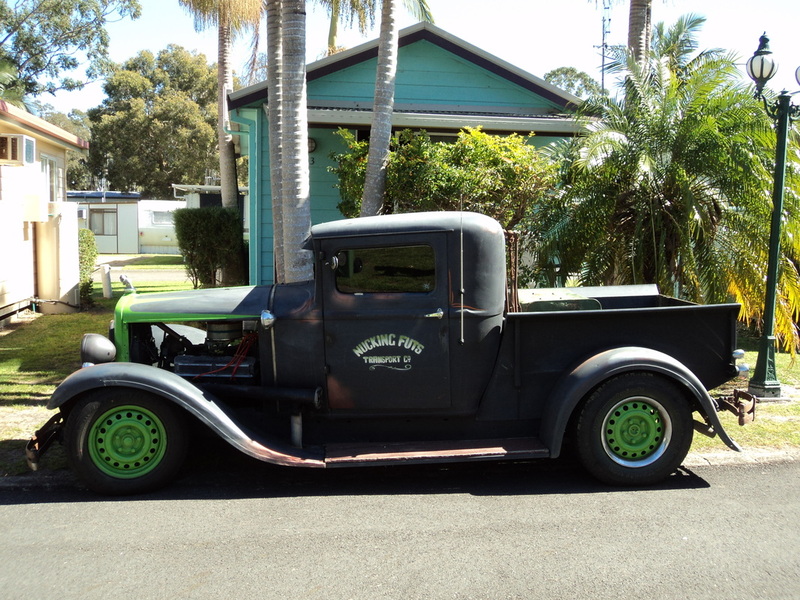 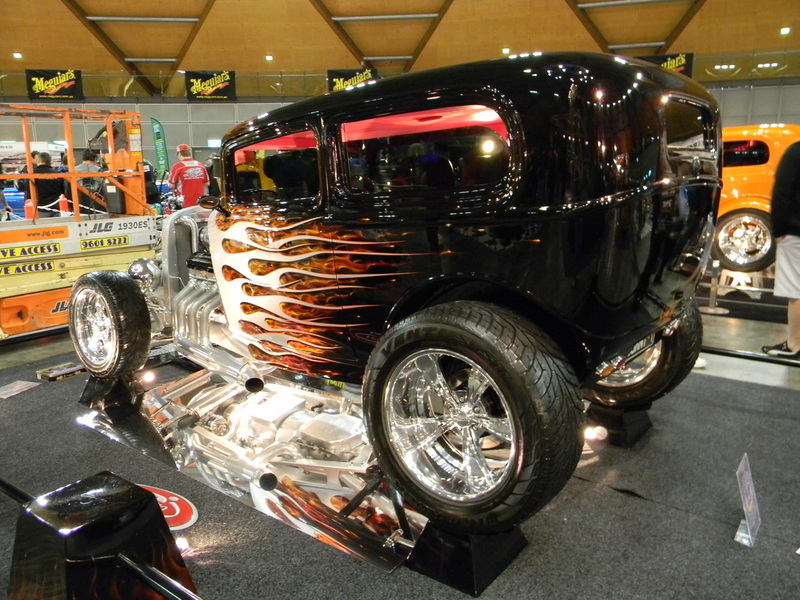 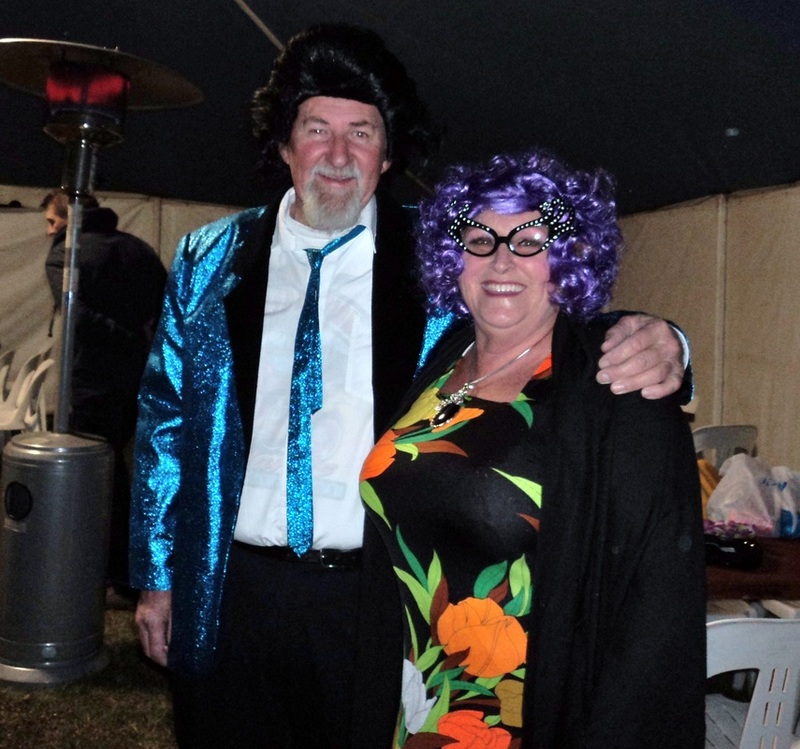 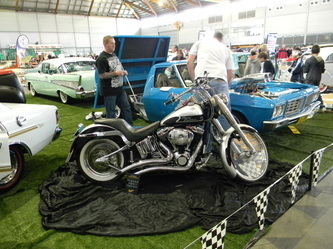 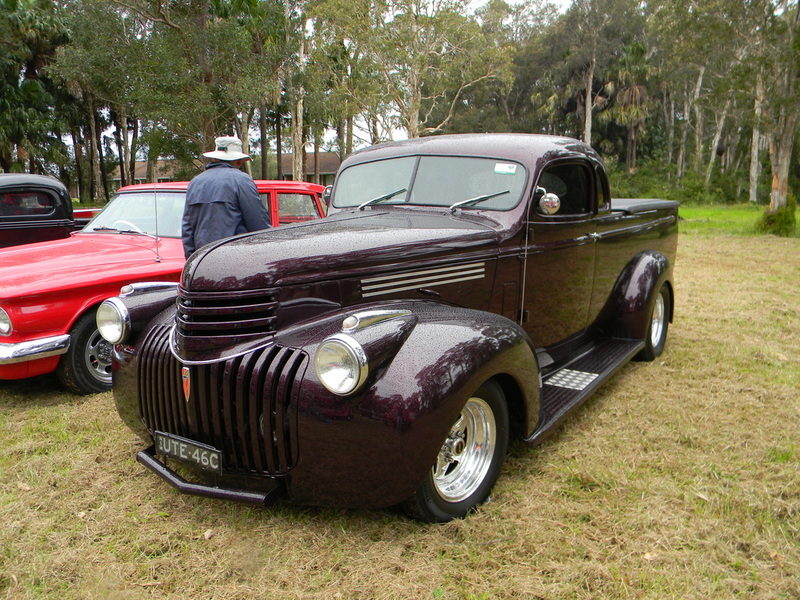 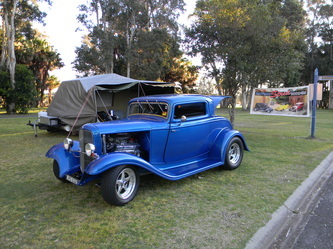 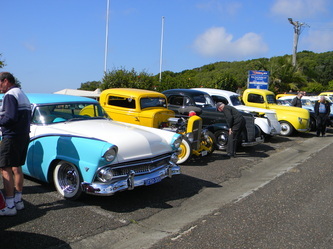 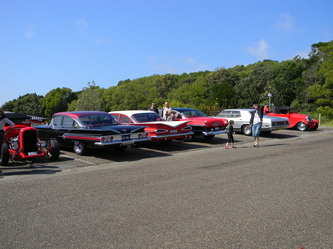 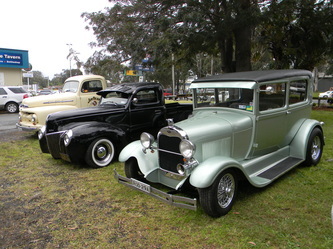 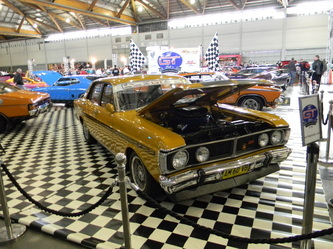 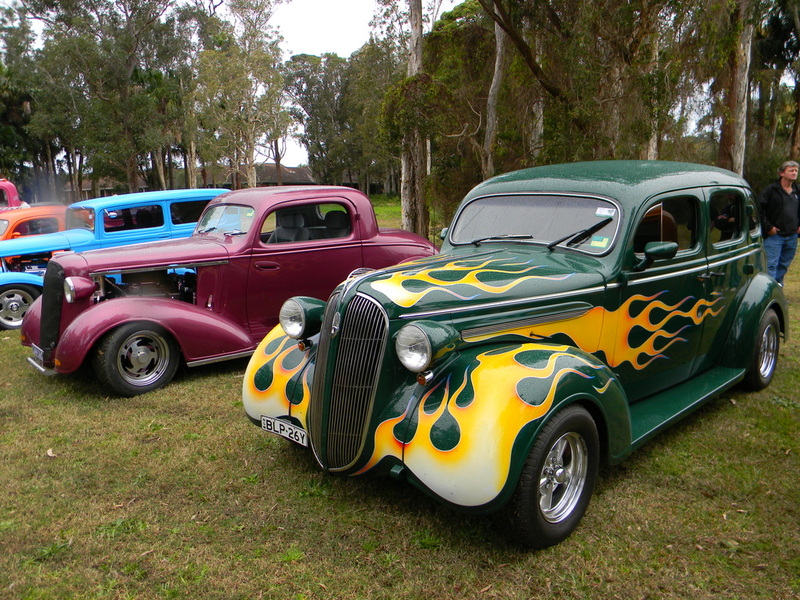 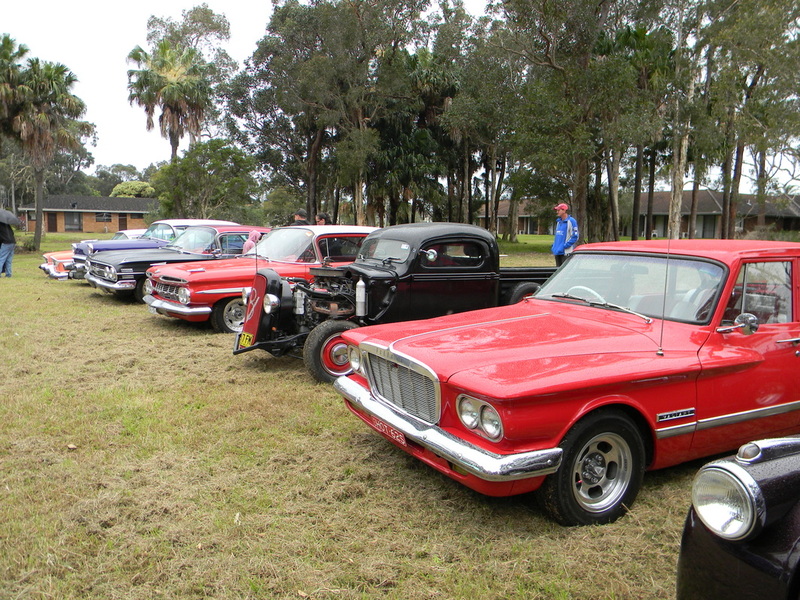 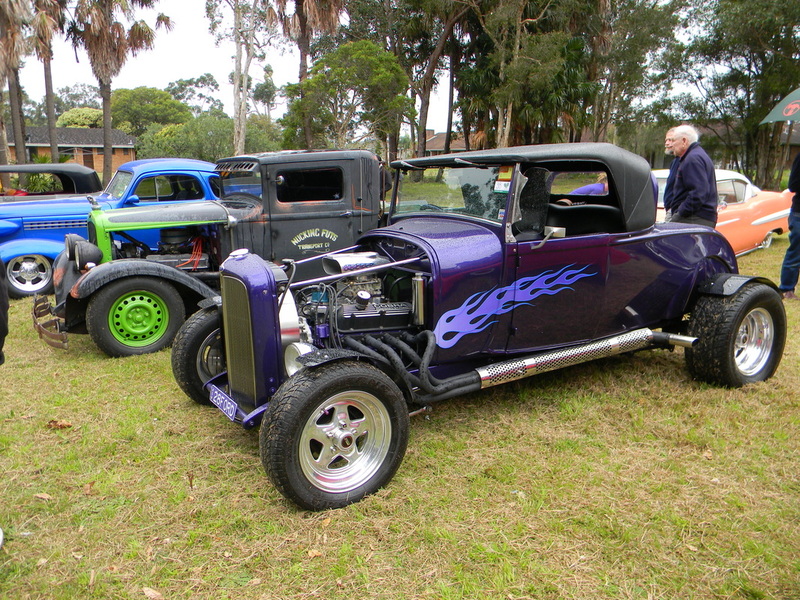 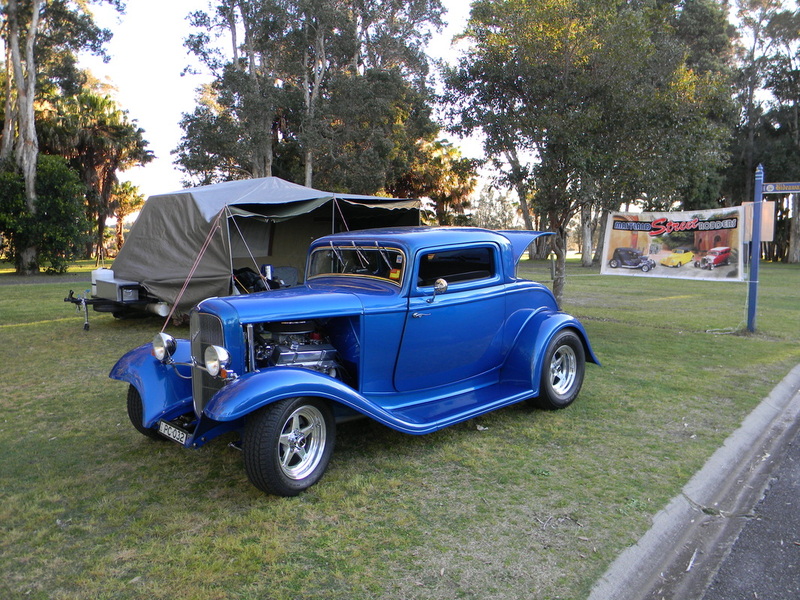 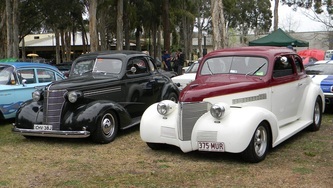 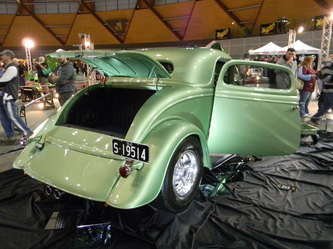 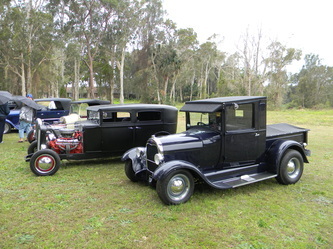 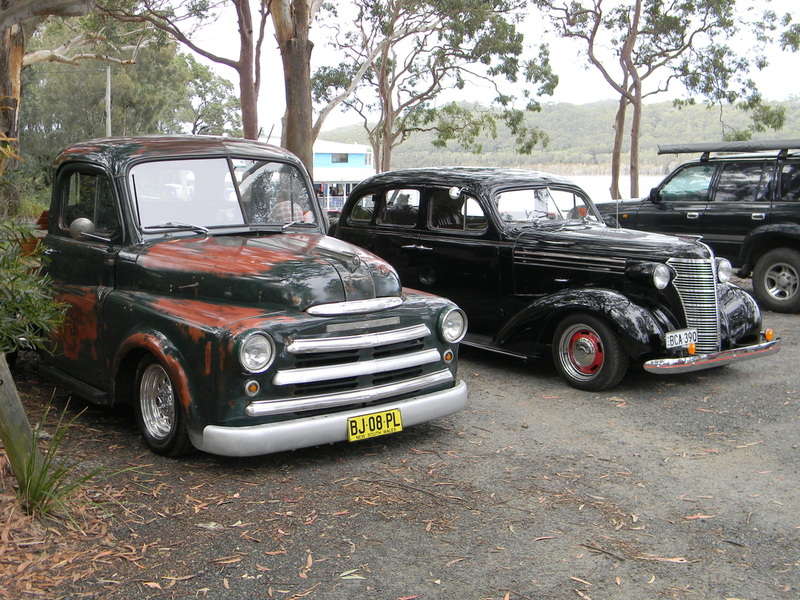 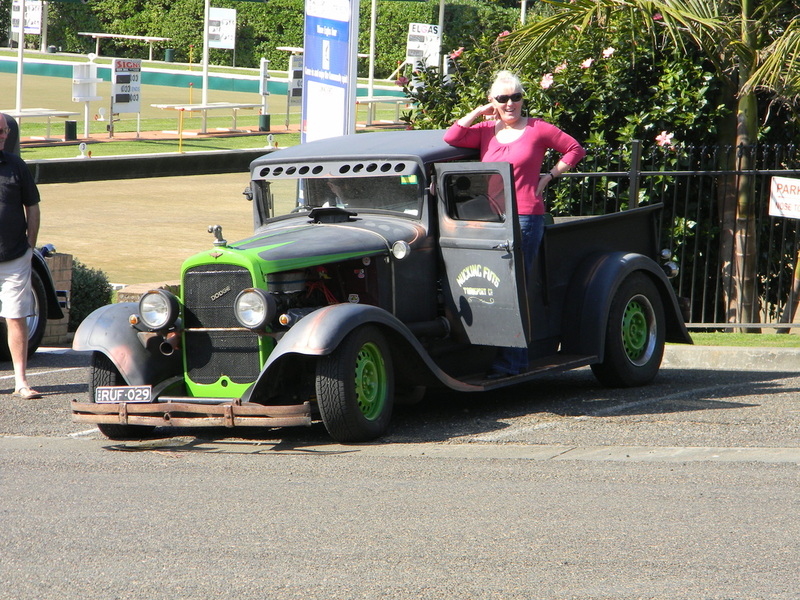 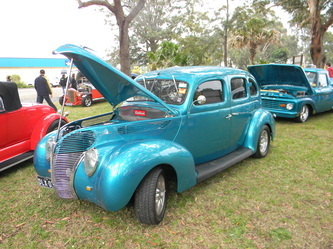 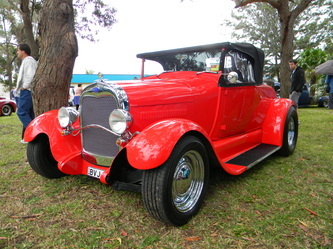 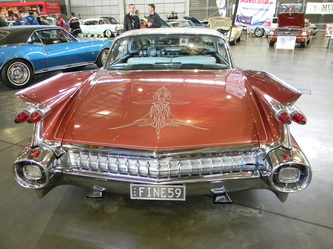 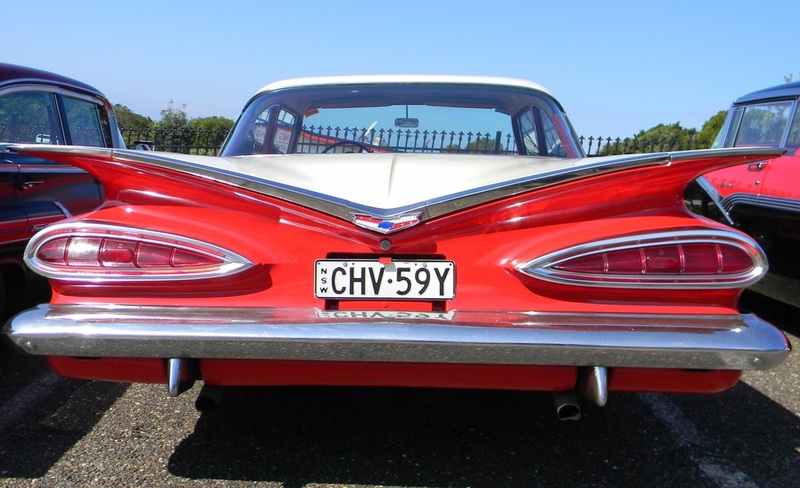 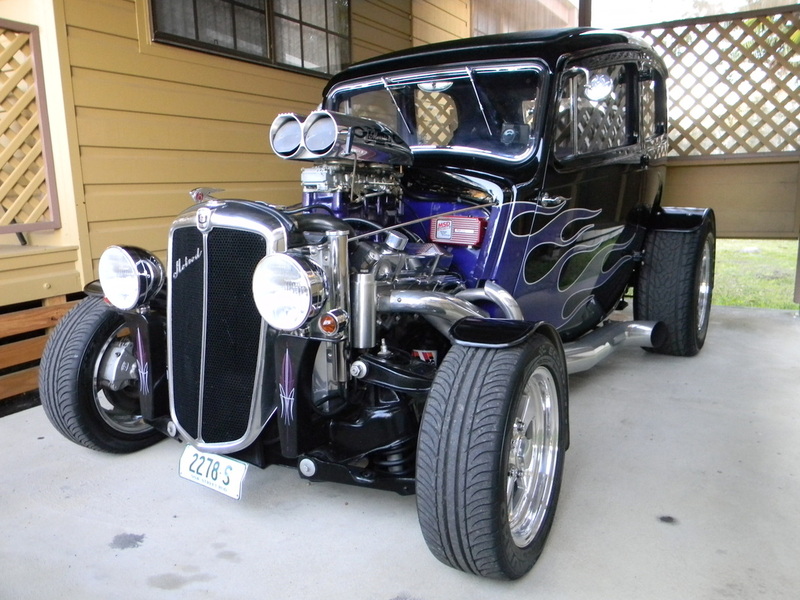 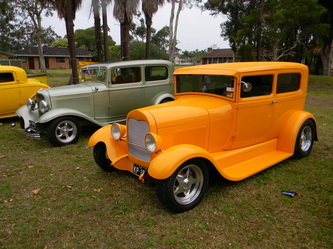 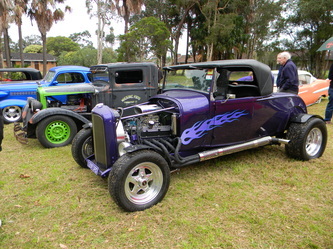 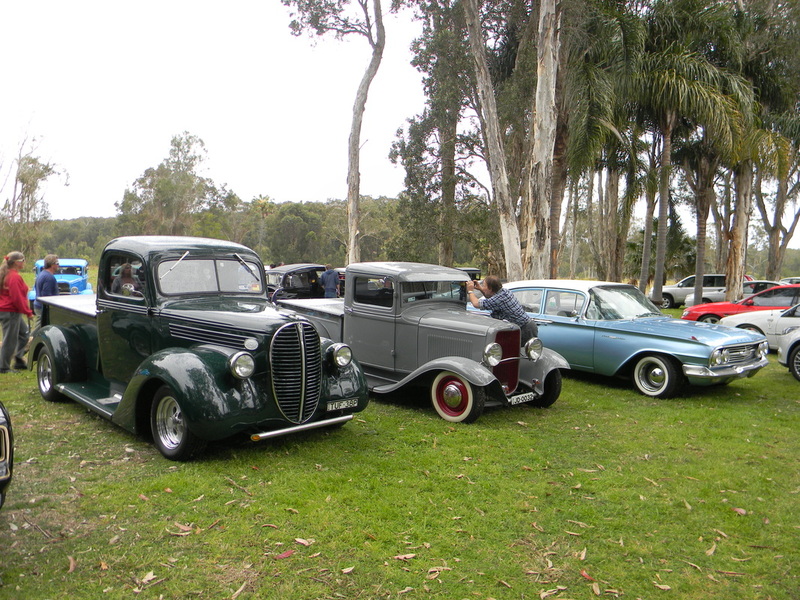 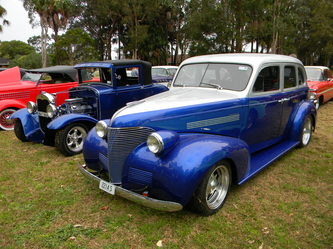 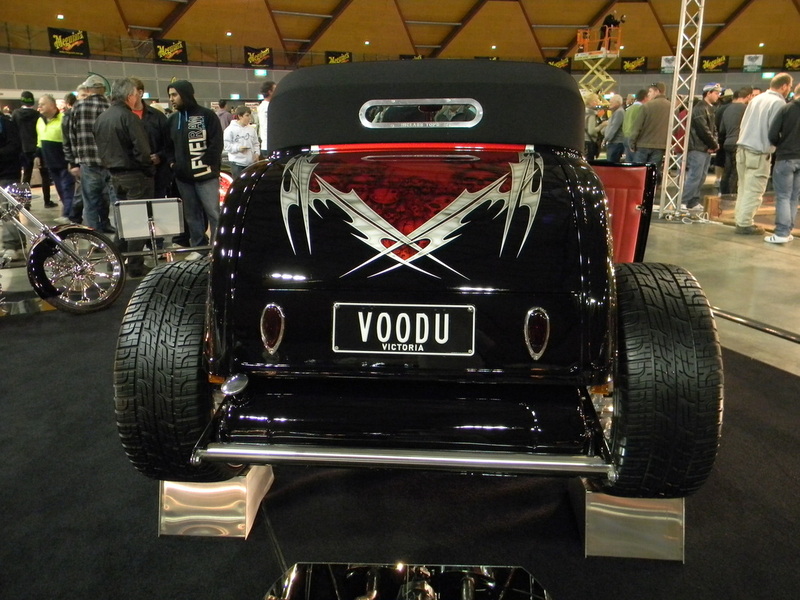 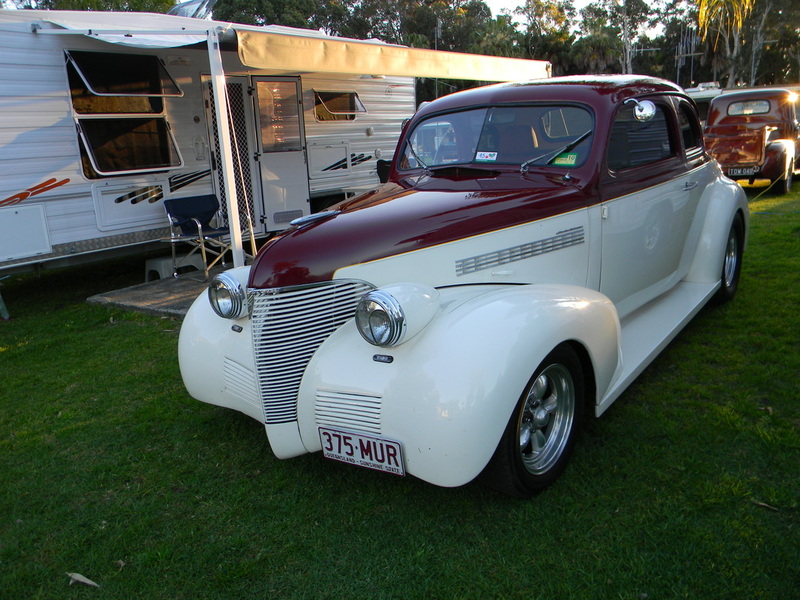 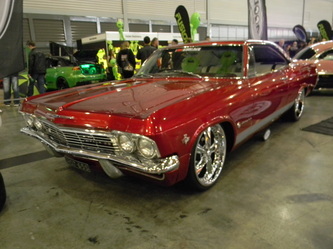 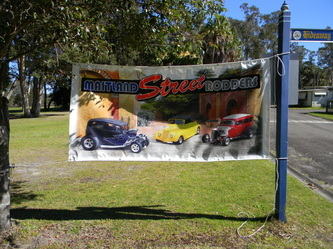 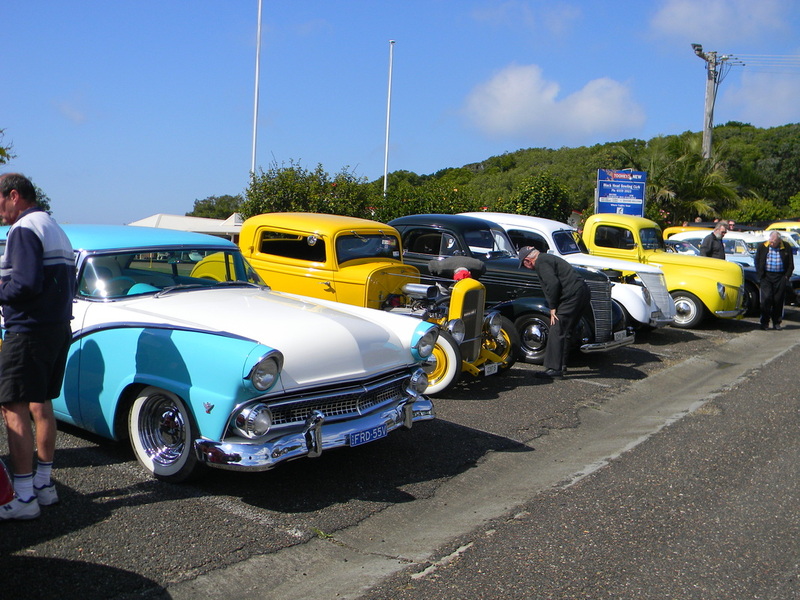 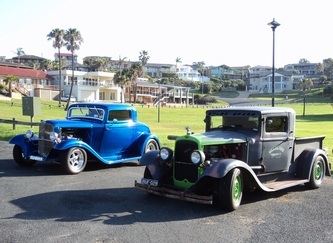 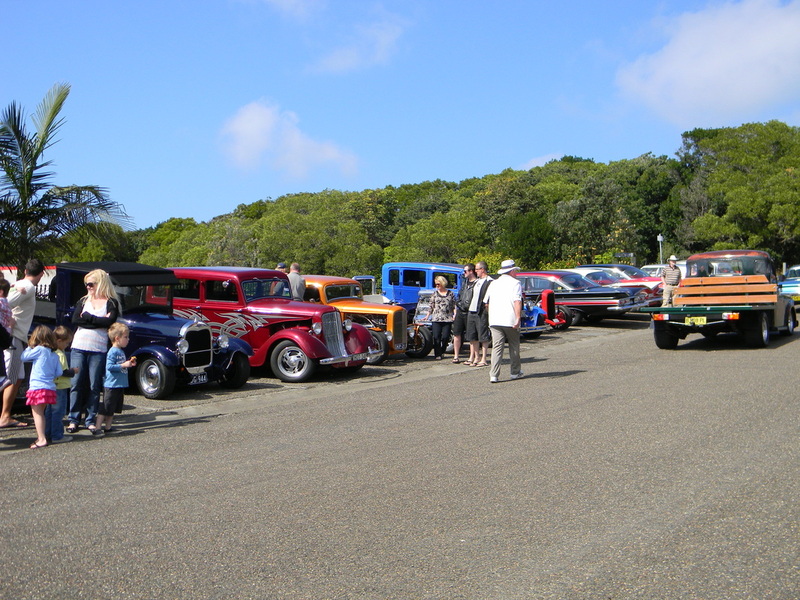 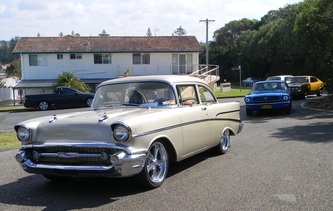 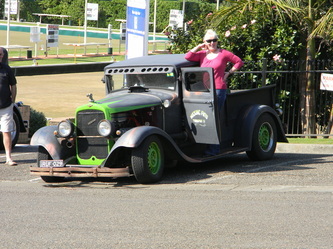 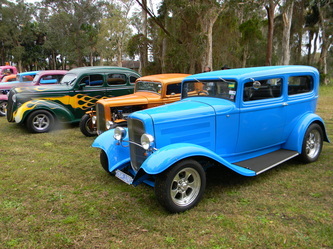 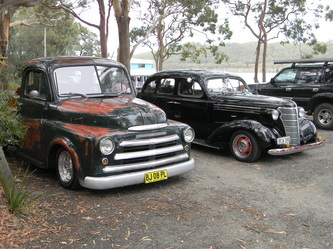 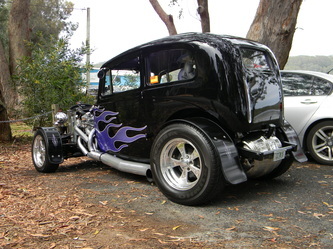 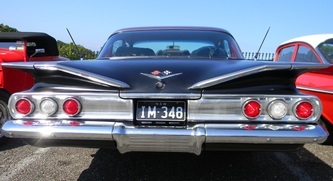 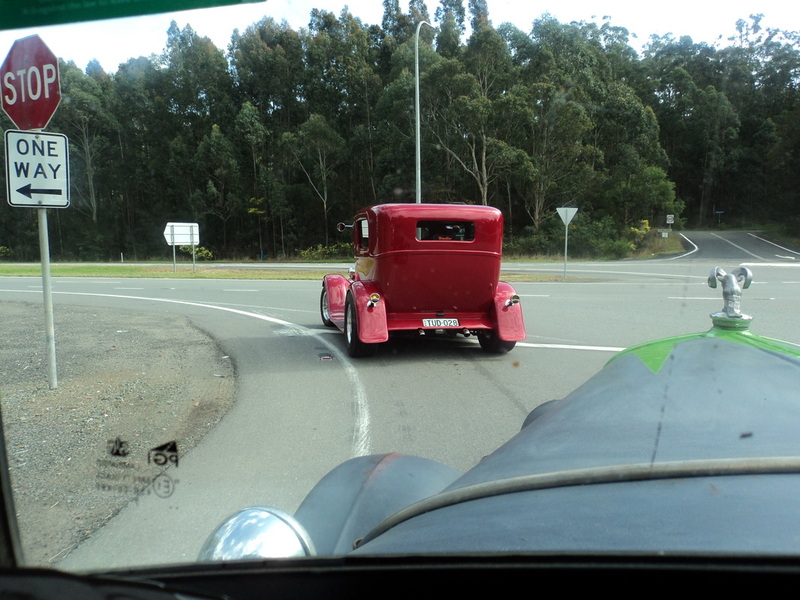 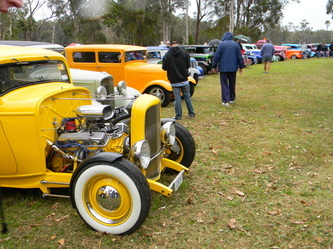 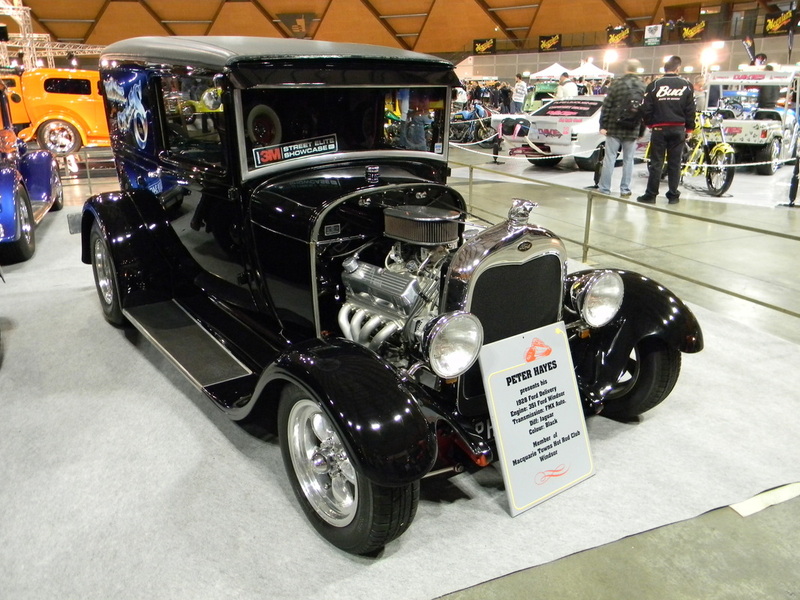 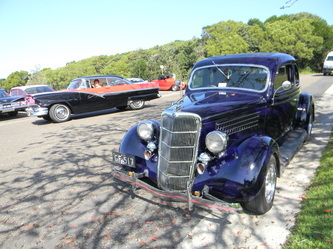 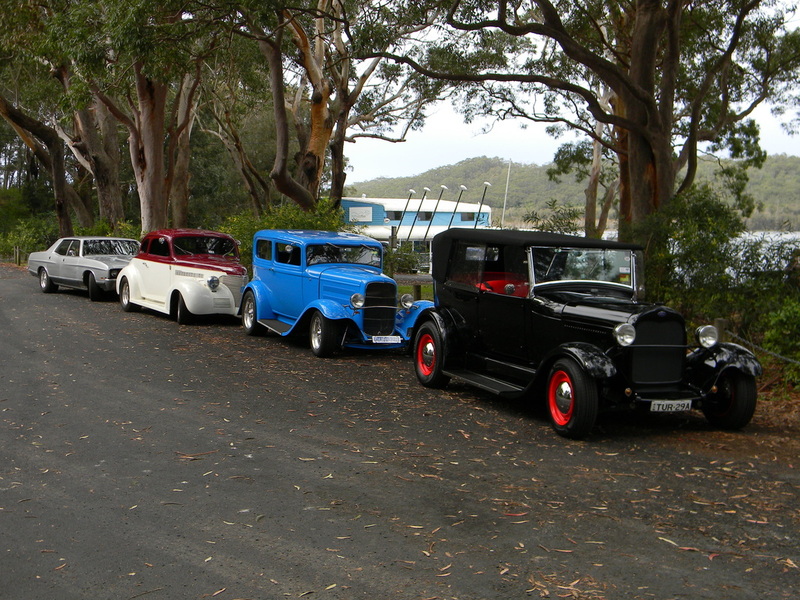 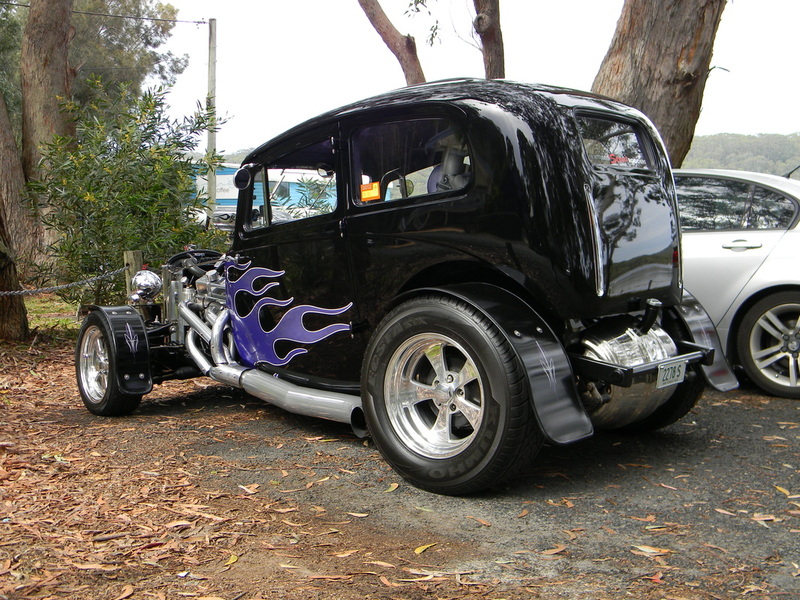 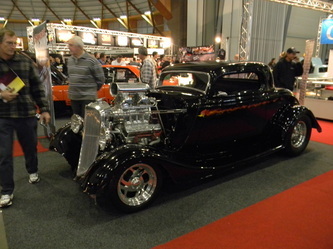 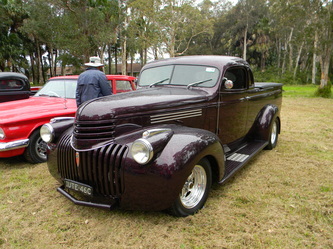 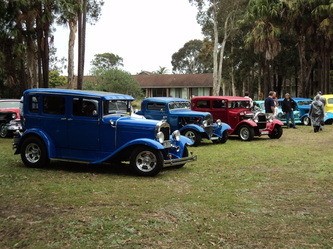 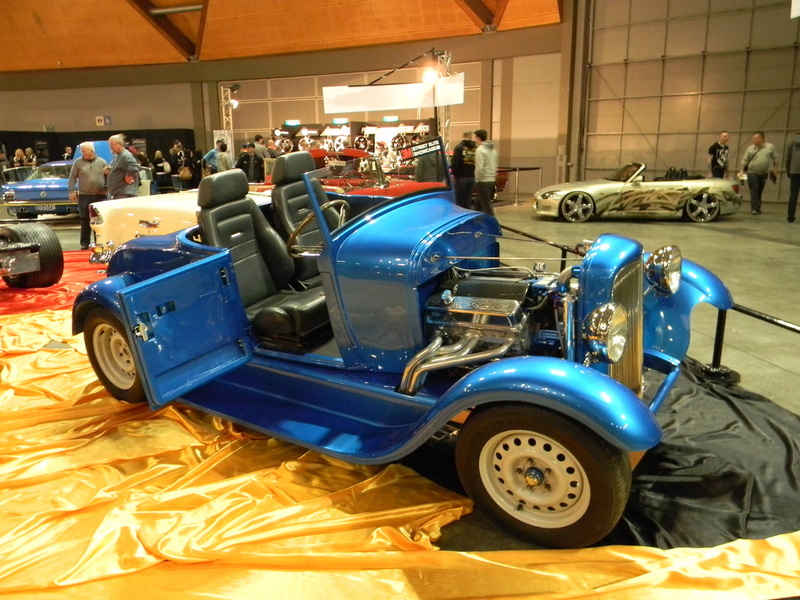 Congratulations to Manning Valley Cruzers for another great Mountains to the Sea rod run. 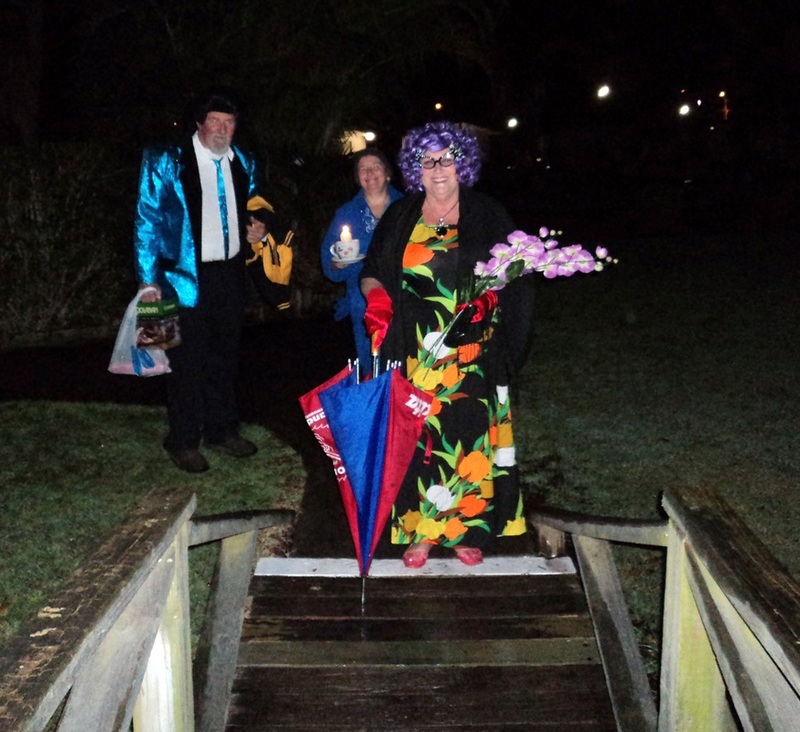 This event has been held at Smugglers Cove Holiday Village for the last two years and a better location would be hard to find. 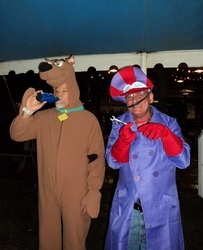 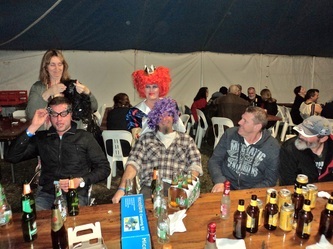 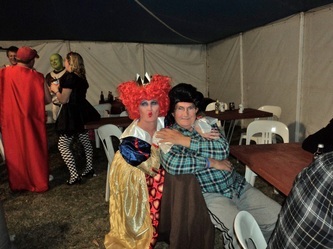 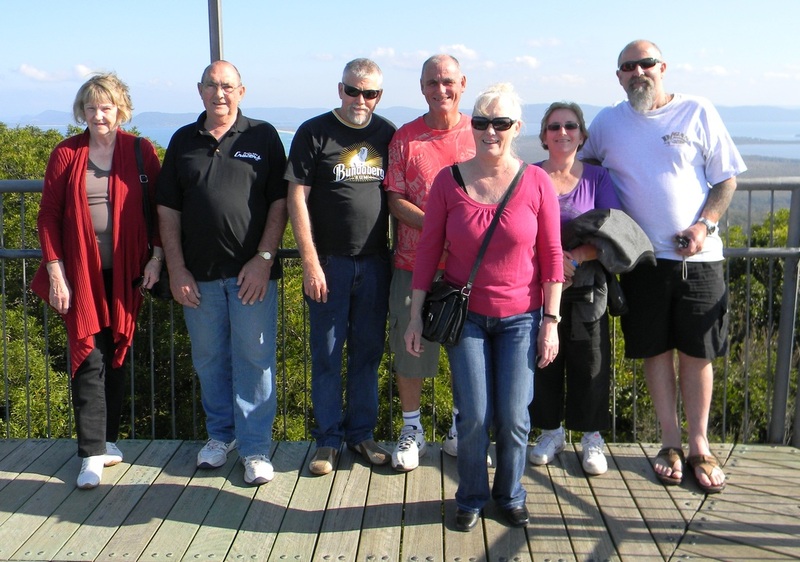 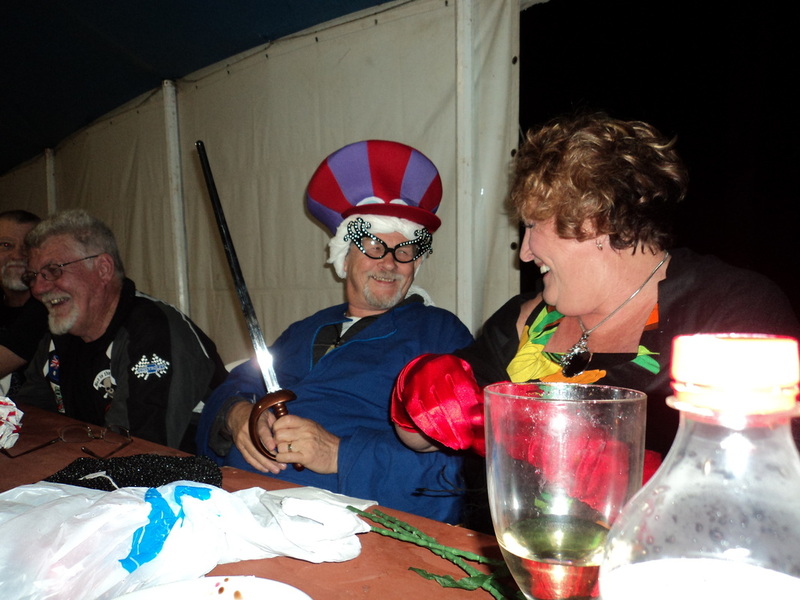 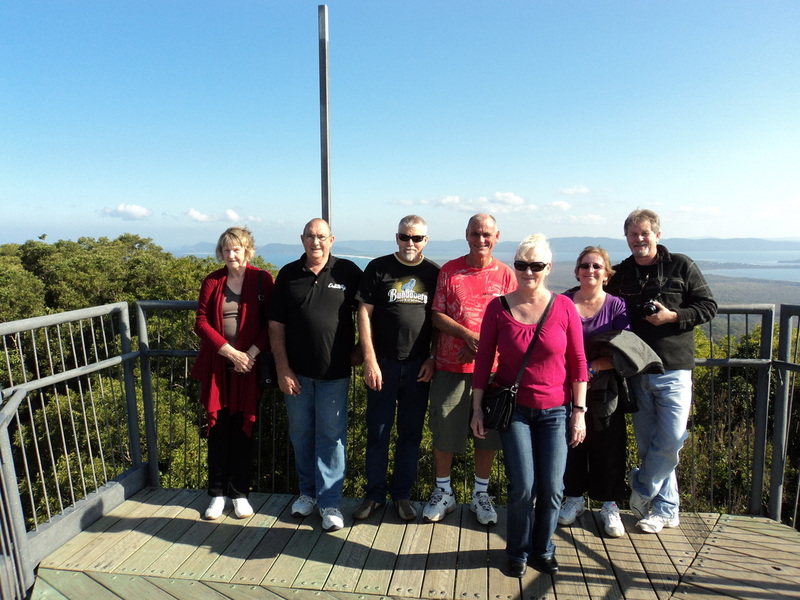 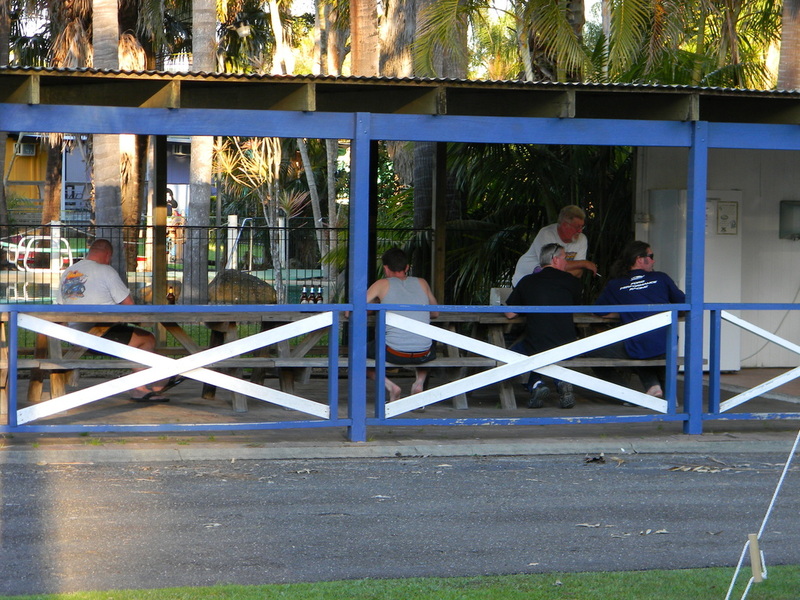 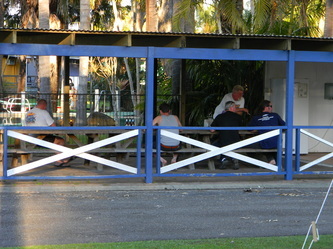 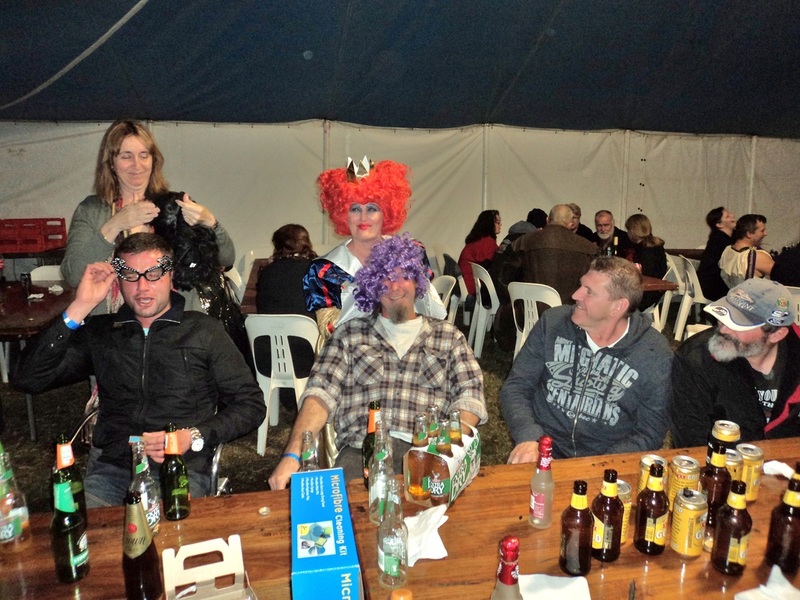 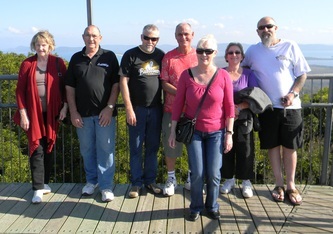 Twelve of our members attended the weekend run which started on a Friday night with a sausage sizzle and drinks. 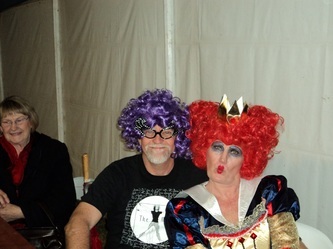 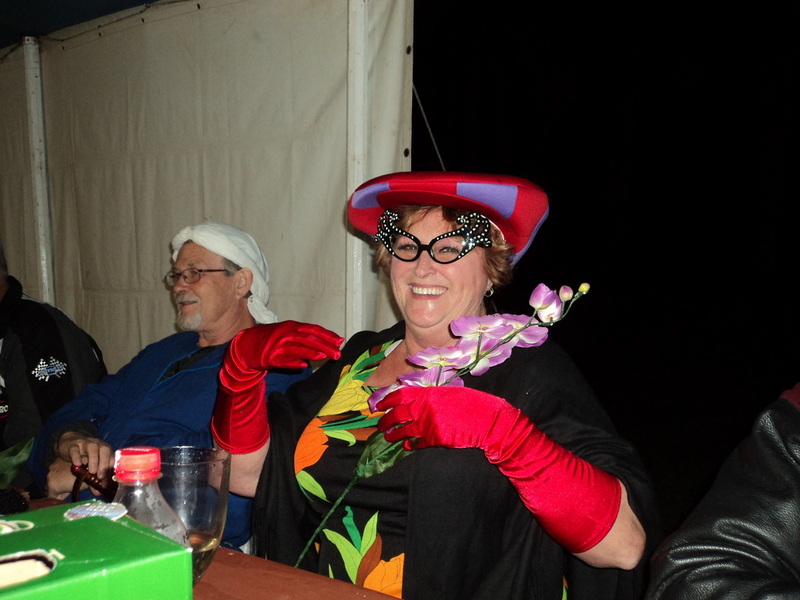 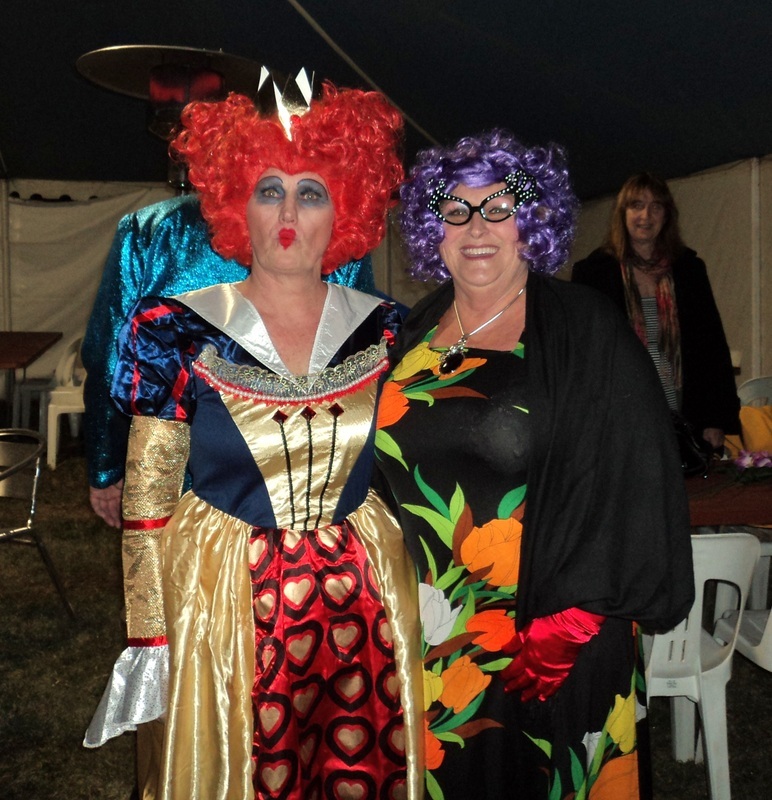 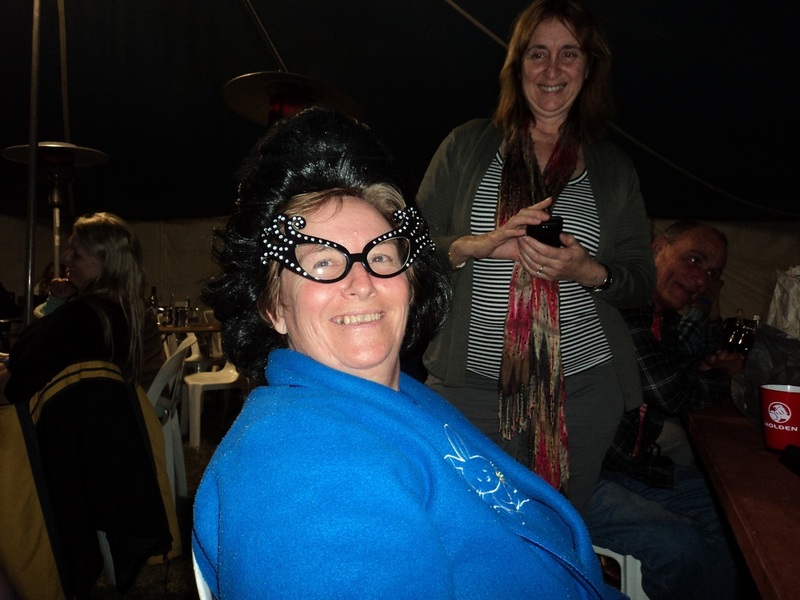 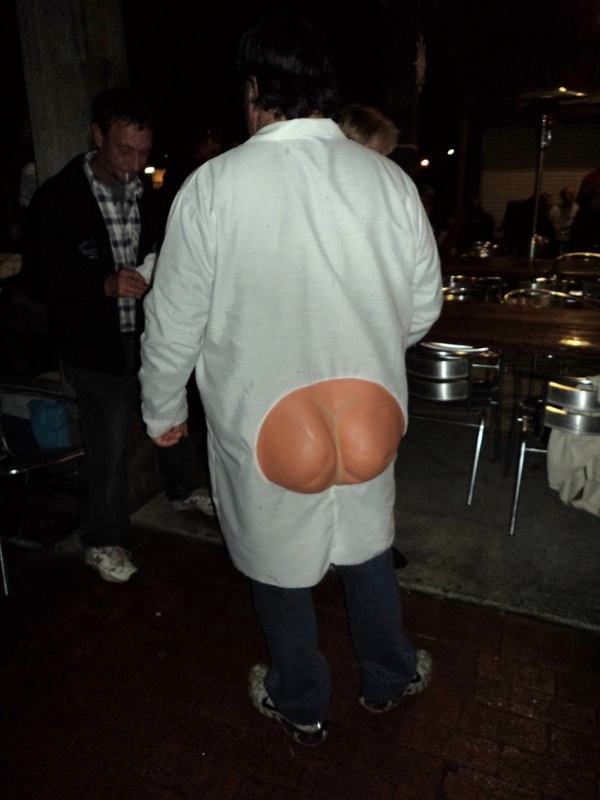 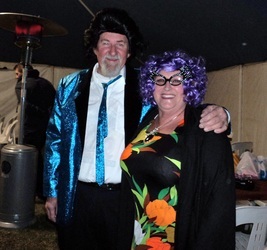 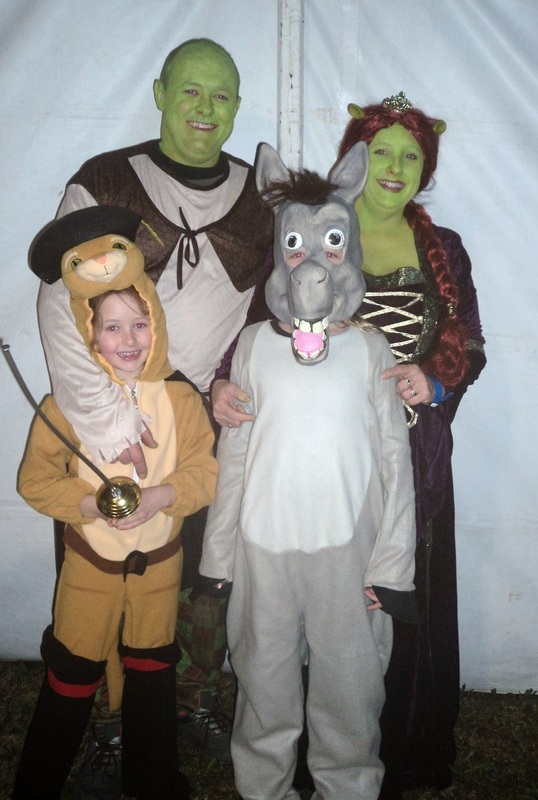 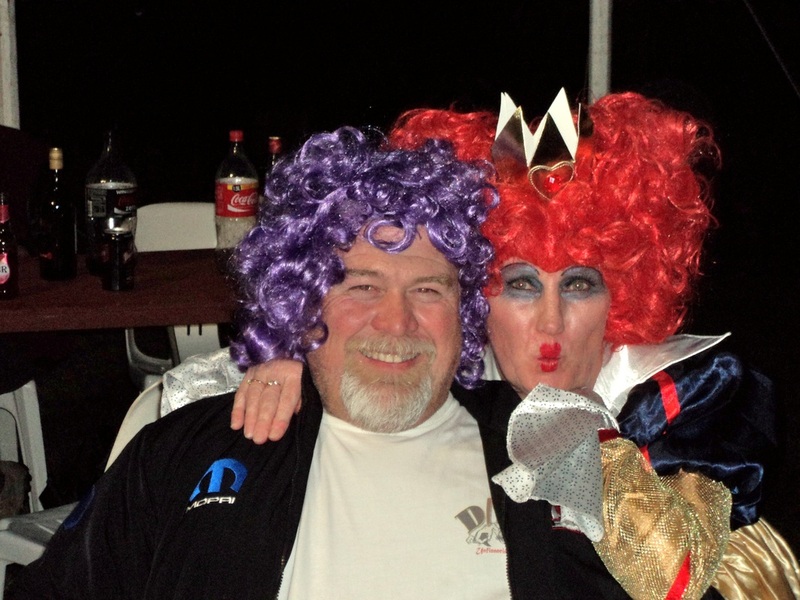 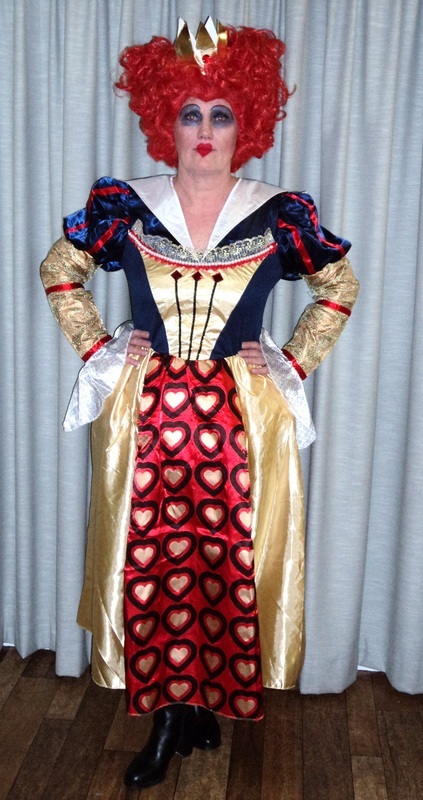 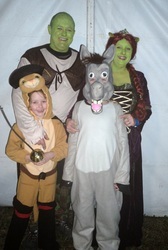 Breakfast was cooked for the entrants on Saturday and Sunday mornings and on Saturday night a great roast meal was served, entrants were in fancy dress and there was plenty of fun and dancing. 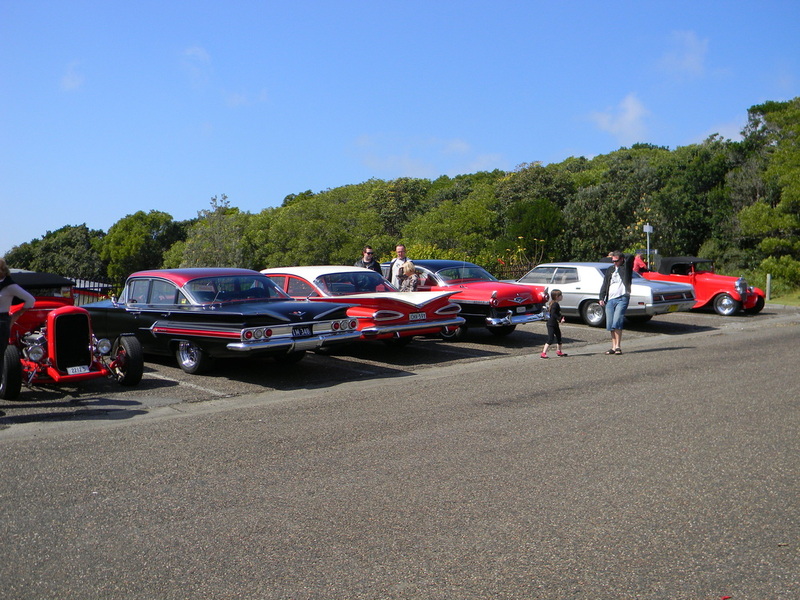 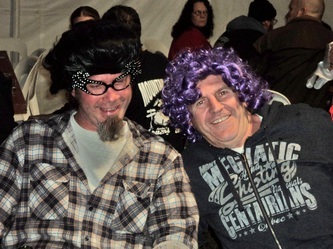 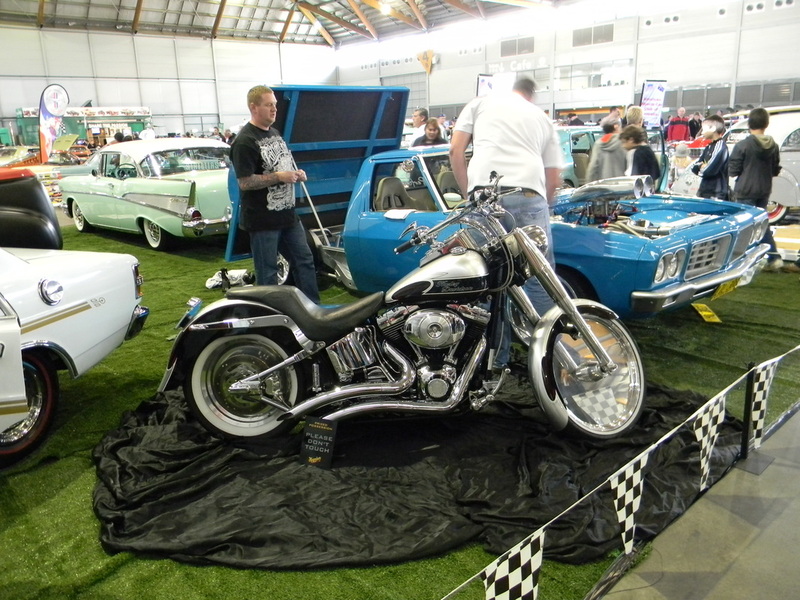 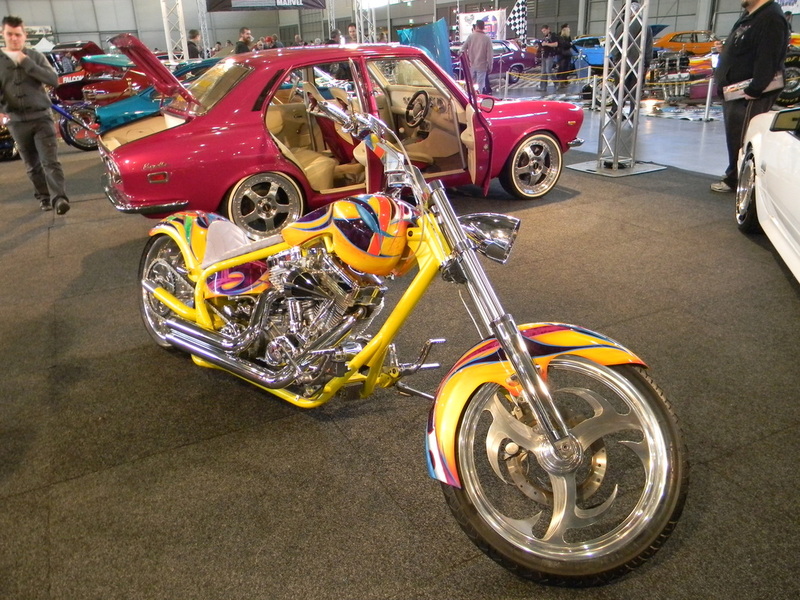 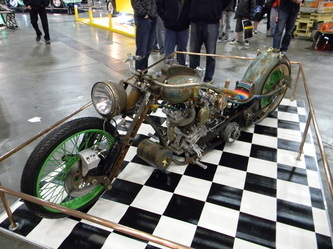 On Saturday morning you had a choice of two events, an observation run to Pacific Palms or trip to the Motor Cycle museum at Nabiac, both were well attended and very good events. The show and shine that followed was in a great location but the rain came and it would have kept the number of spectators down, never the less there were over 120 entrants and plenty to look at for a few hours. 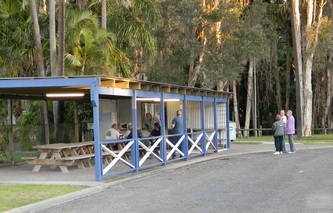 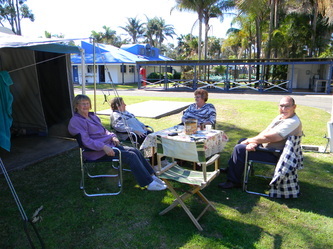 Sundays barefoot bowls and lunch at Blackhead bowling club was a terrific way to finish off the weekend. 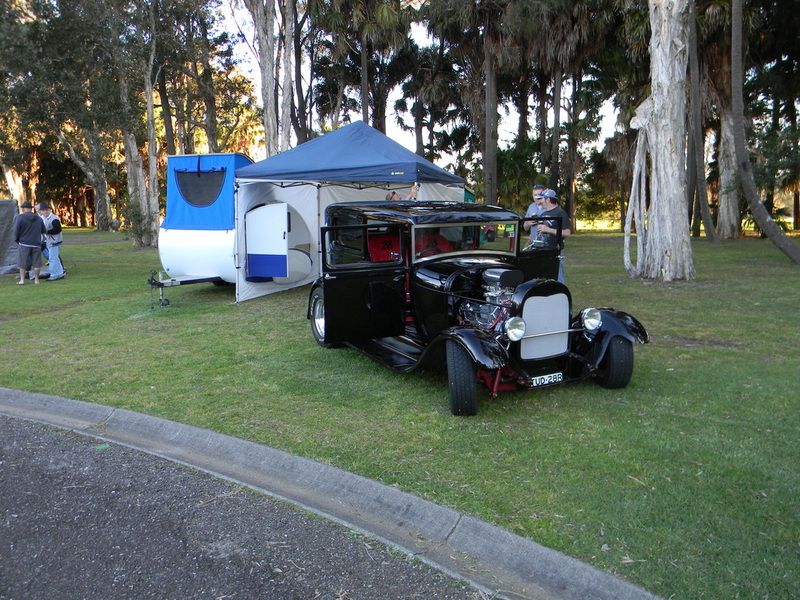 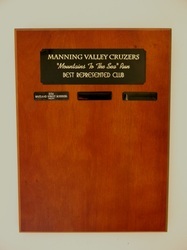 To top the weekend off our club won the "Best Represented Club" trophy and Dan's Morris 8 was in the top ten.